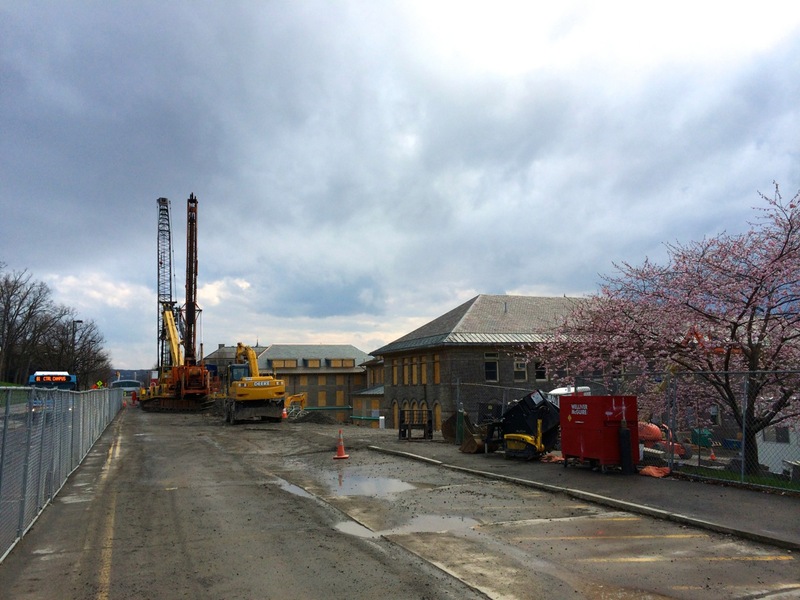 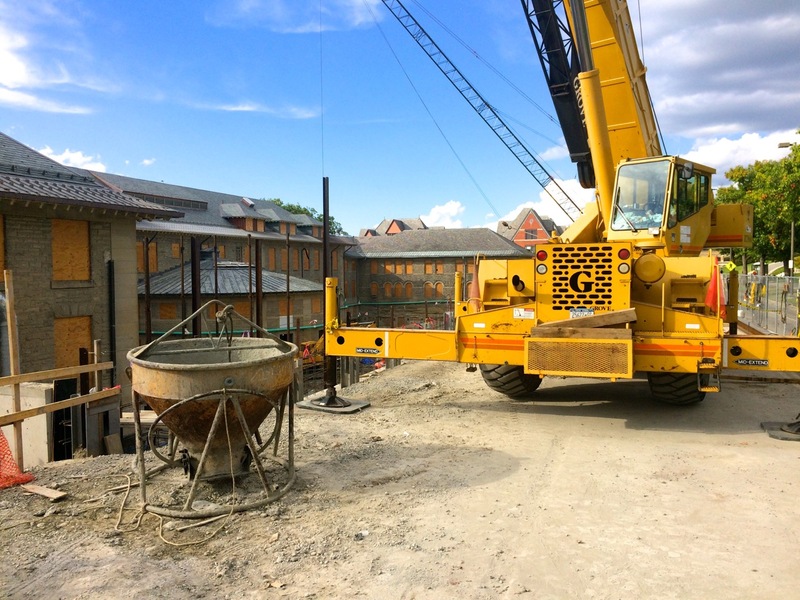 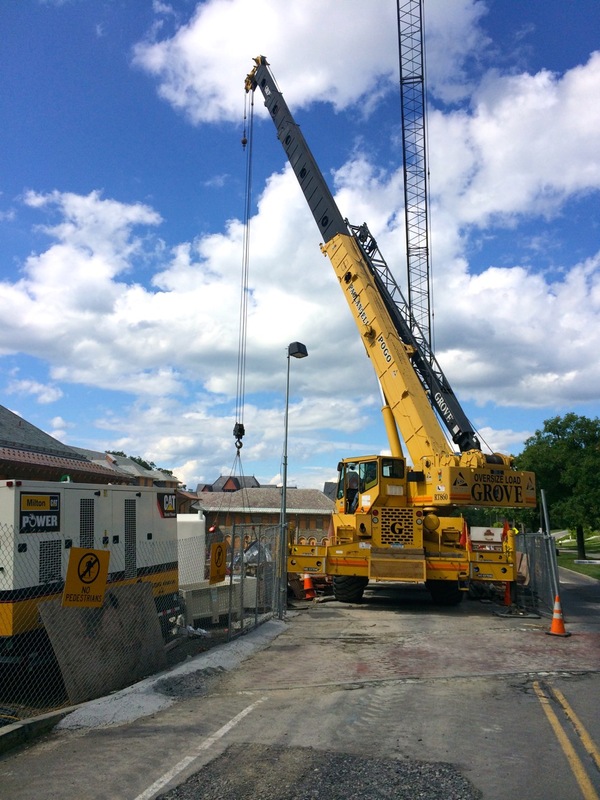 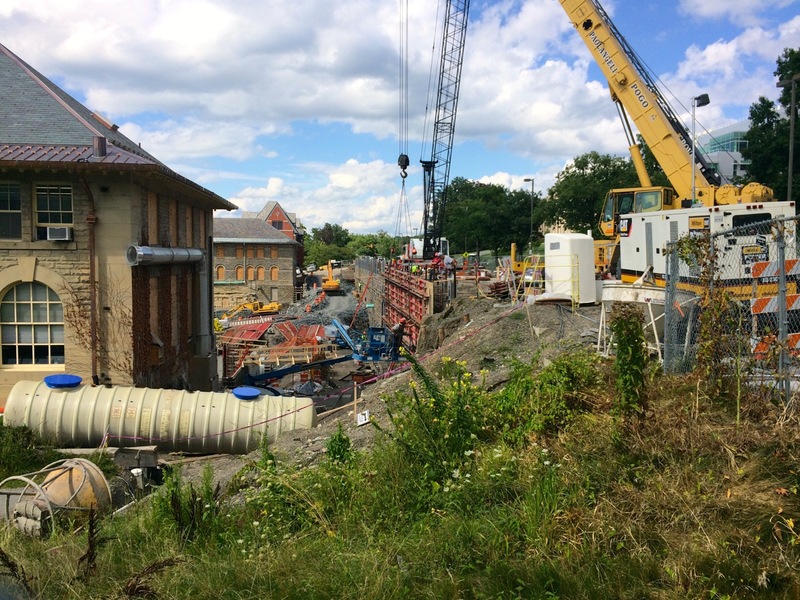 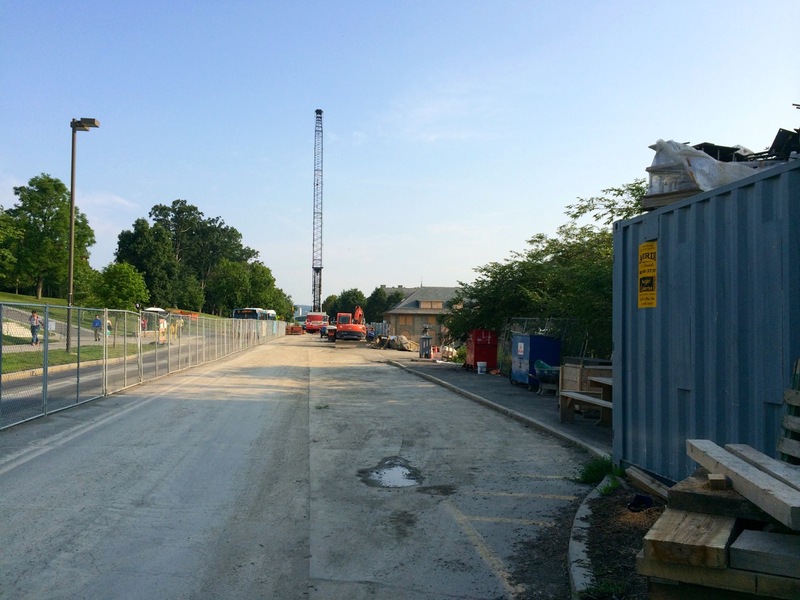 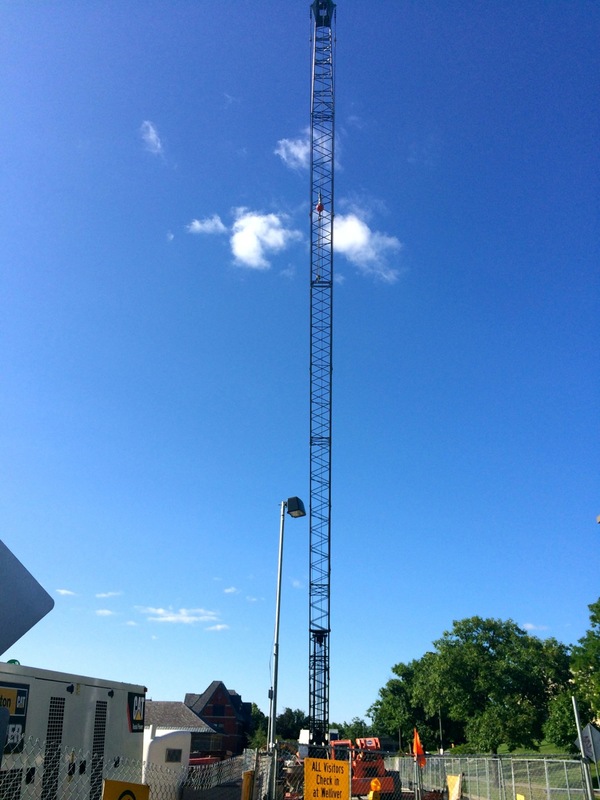 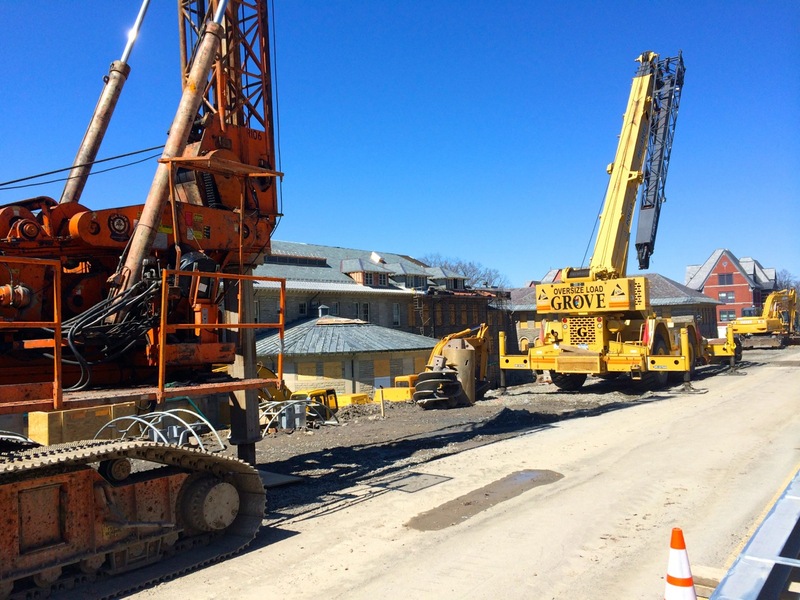 There’s been some considerable equipment mobilization on this site since late March with the addition of a boom crane and a pile hammer, possibly a vibratory model for noise and speed considerations. 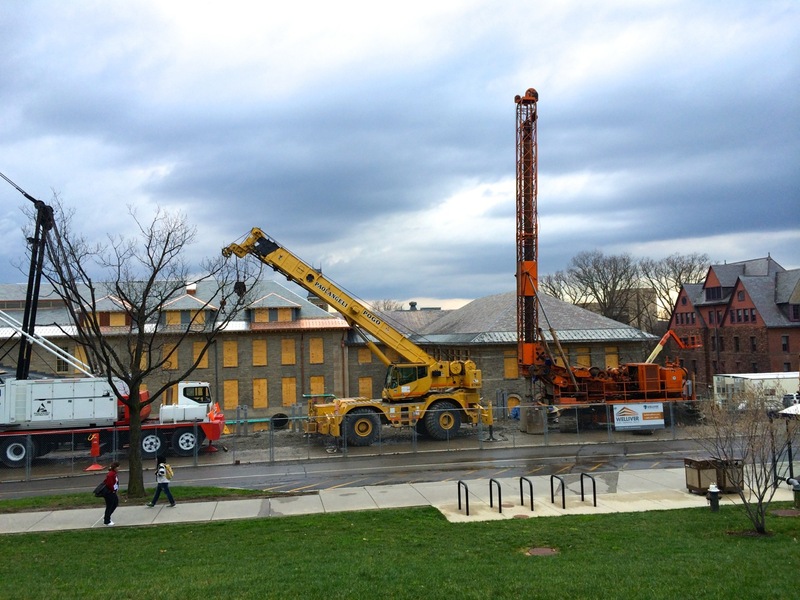 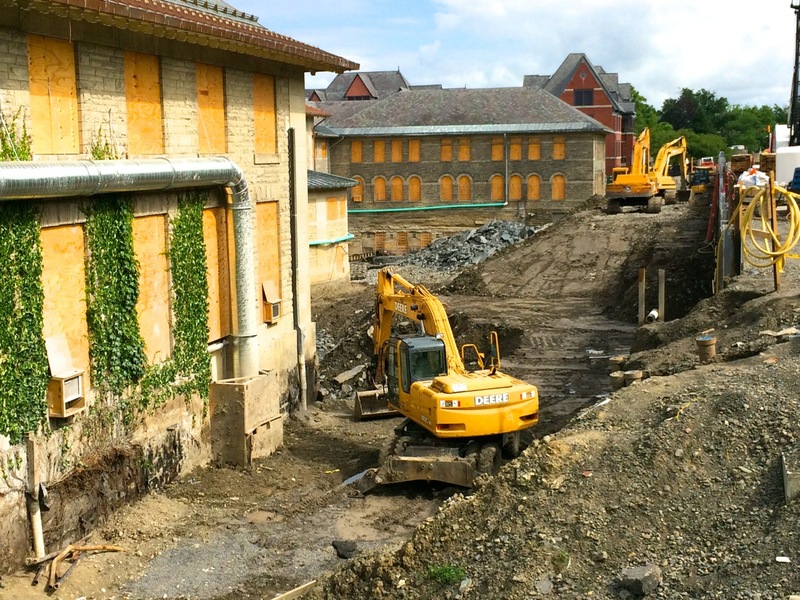 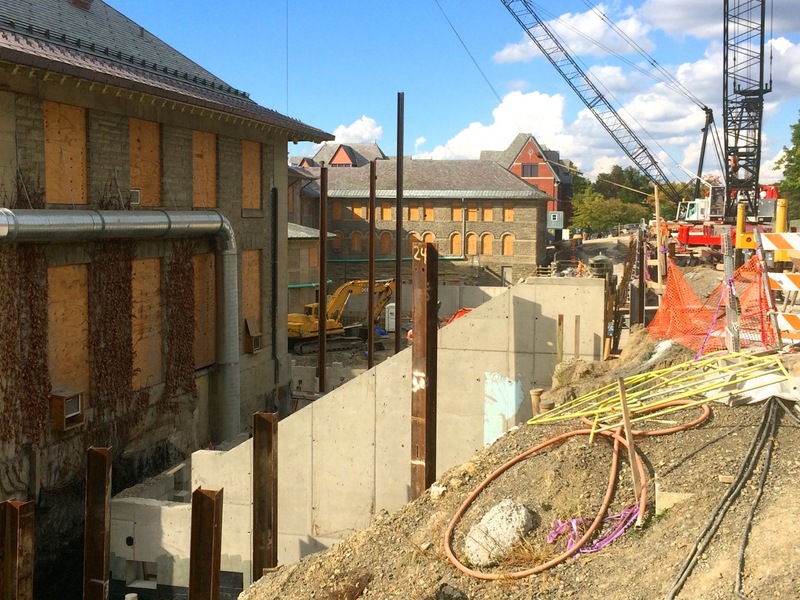 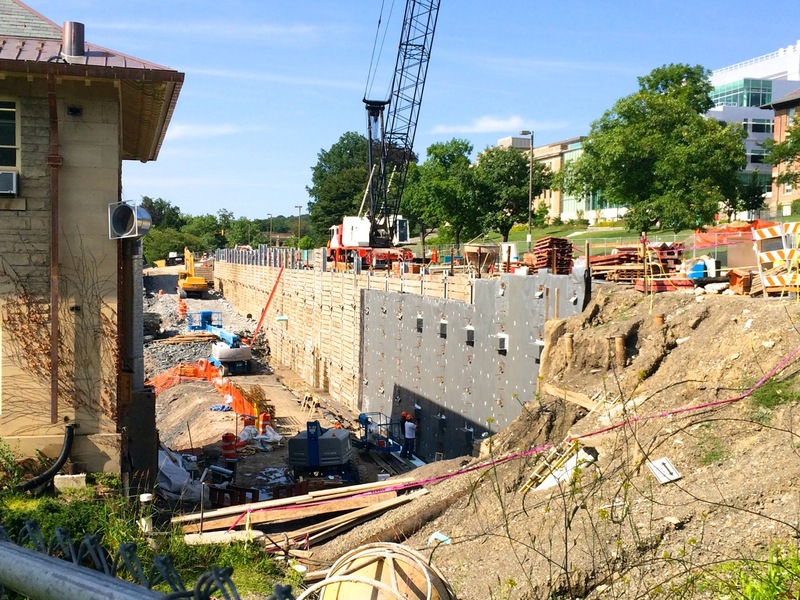 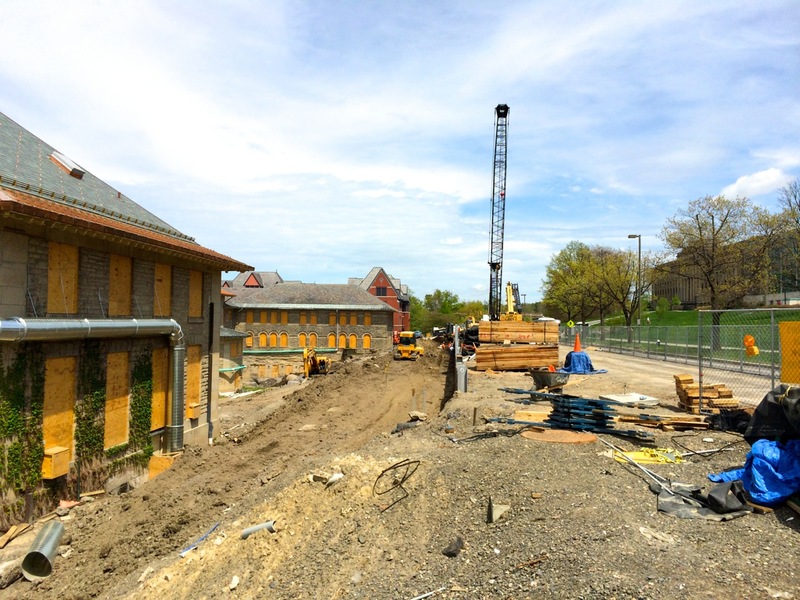 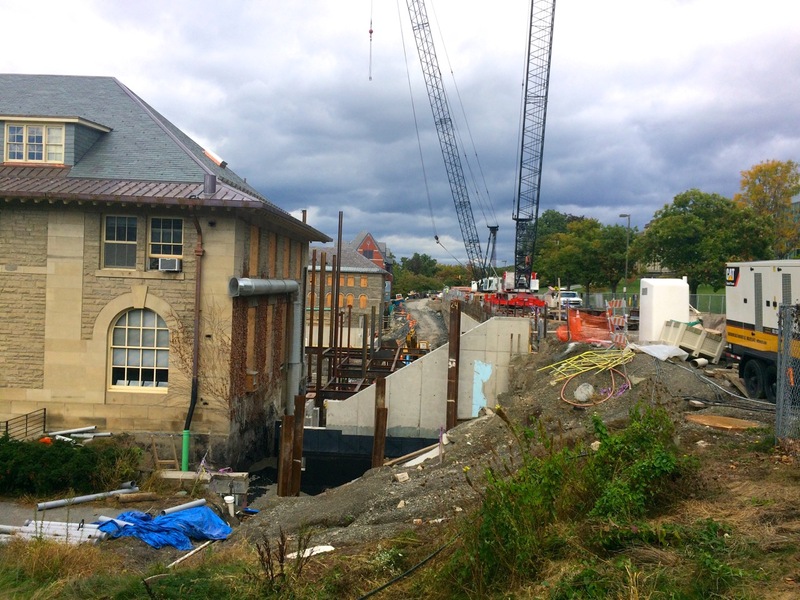 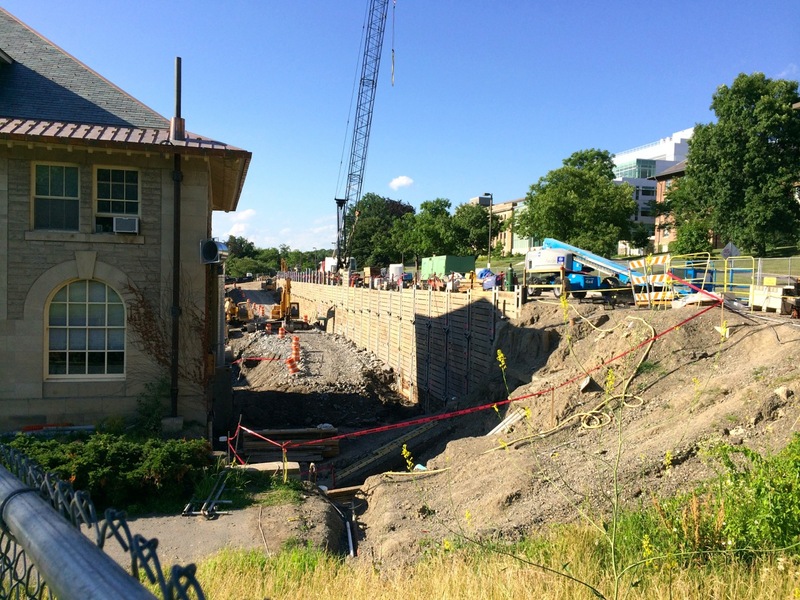 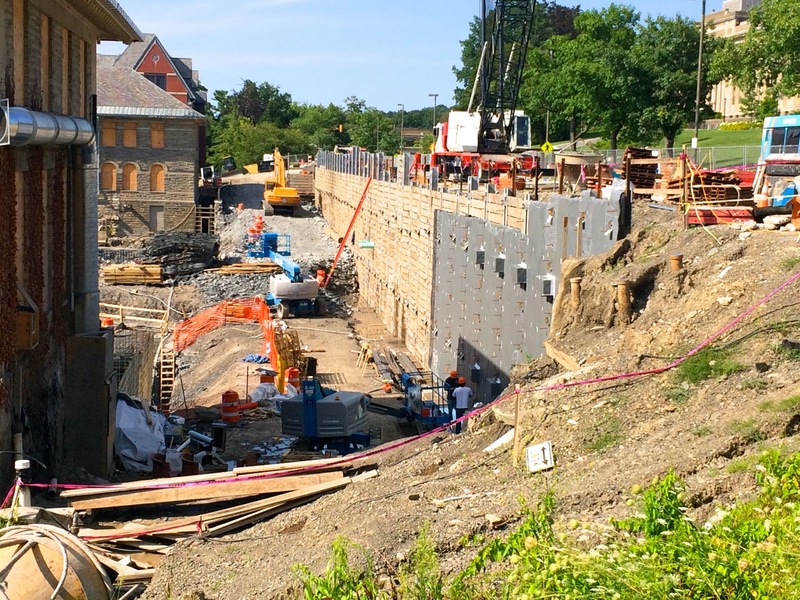 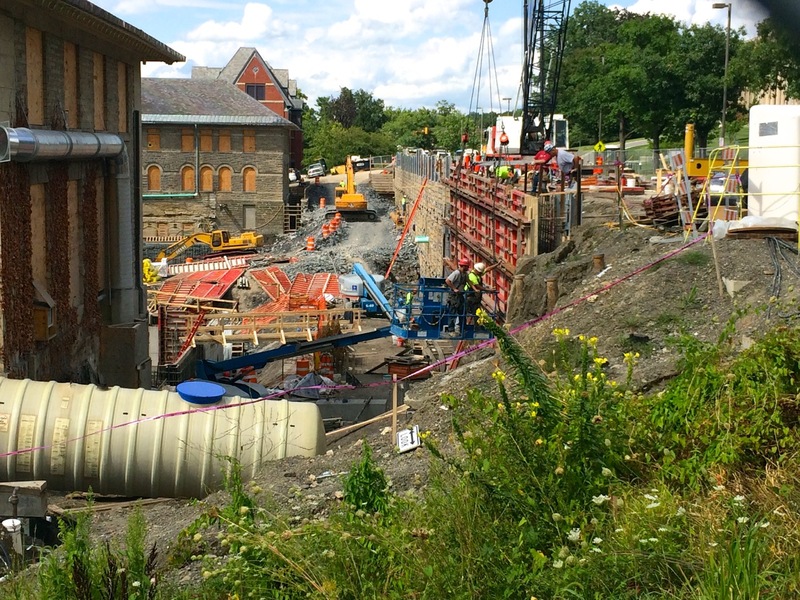 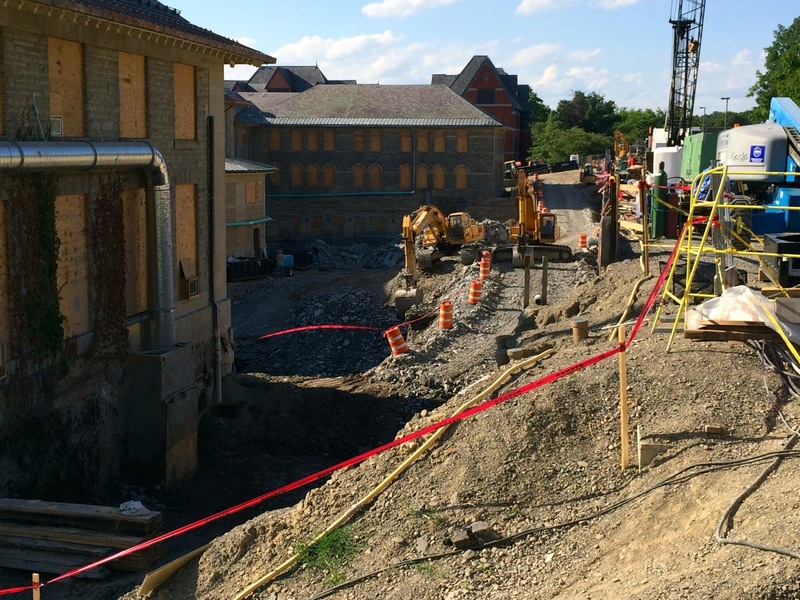 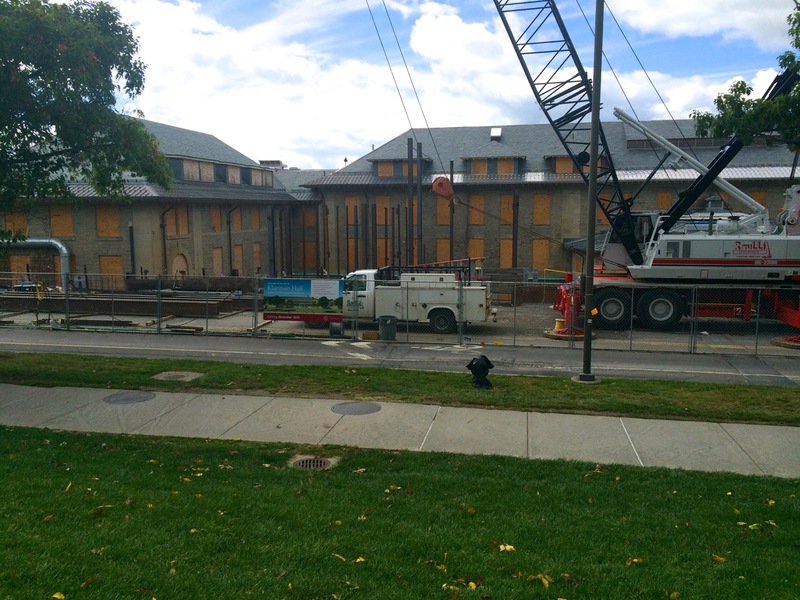 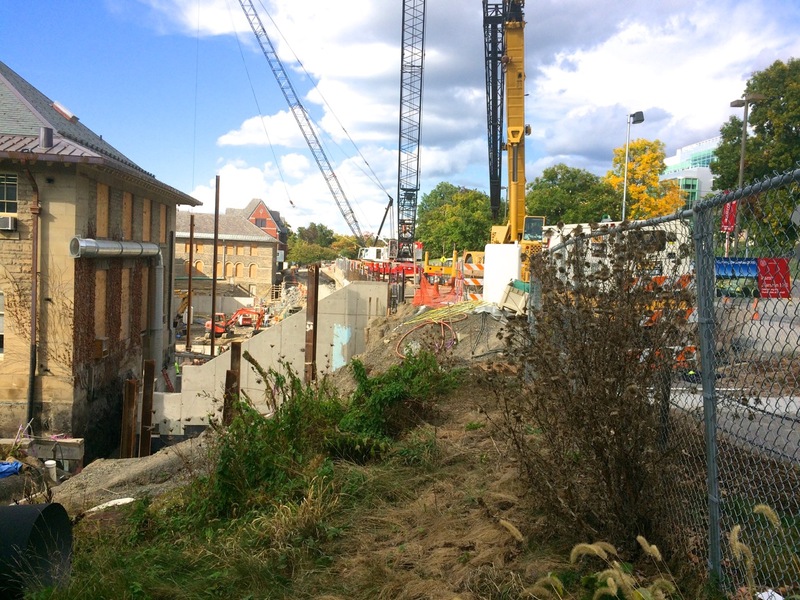 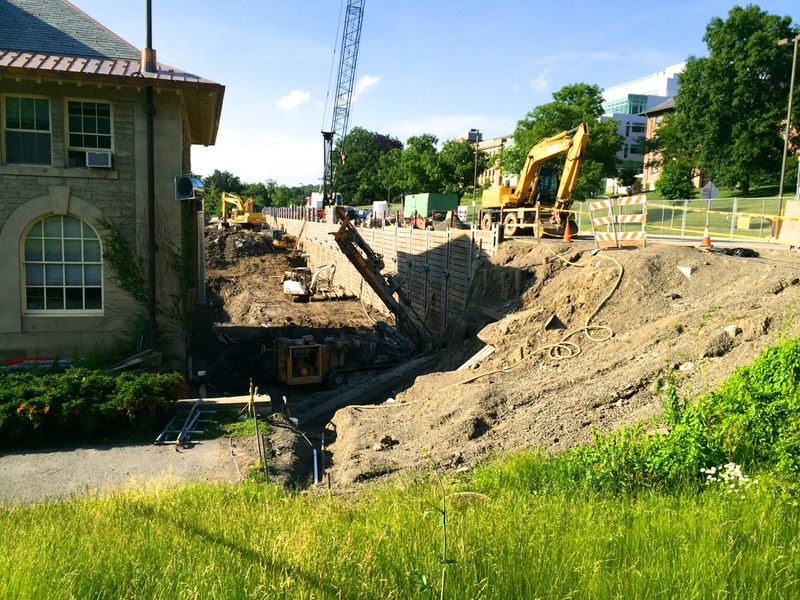 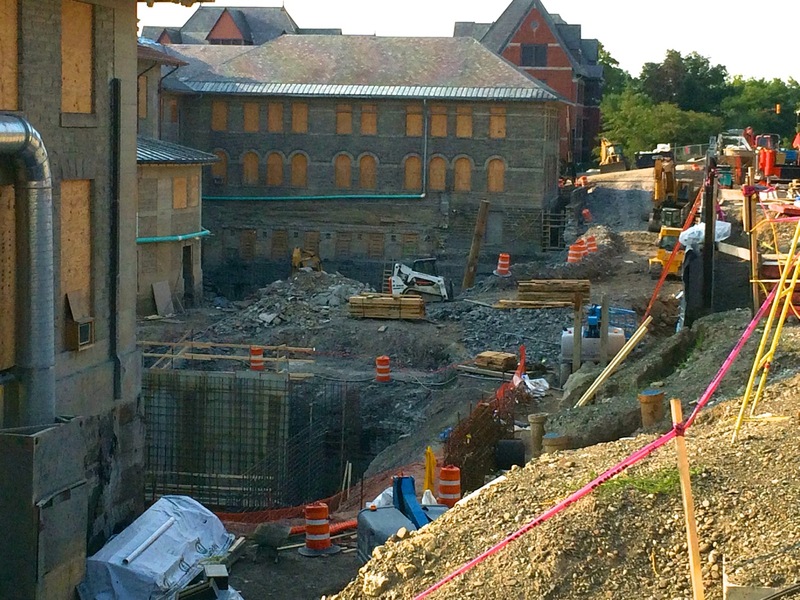 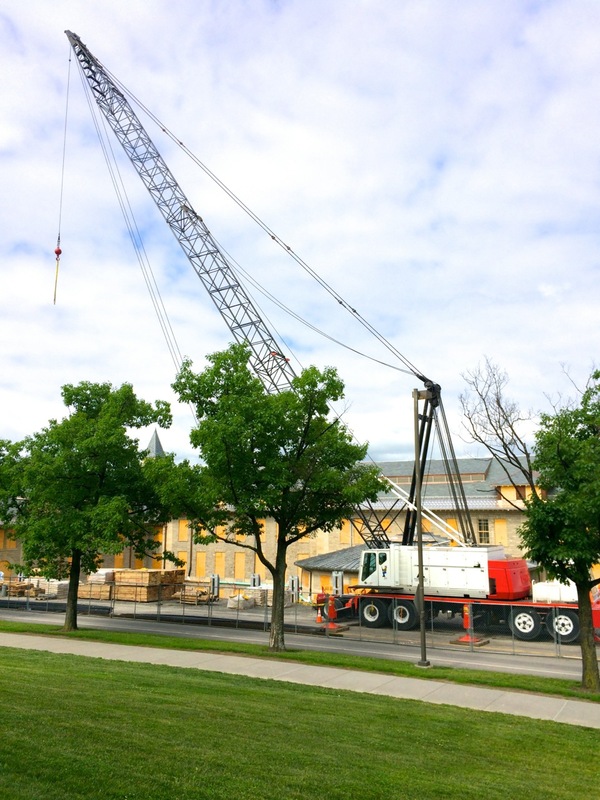 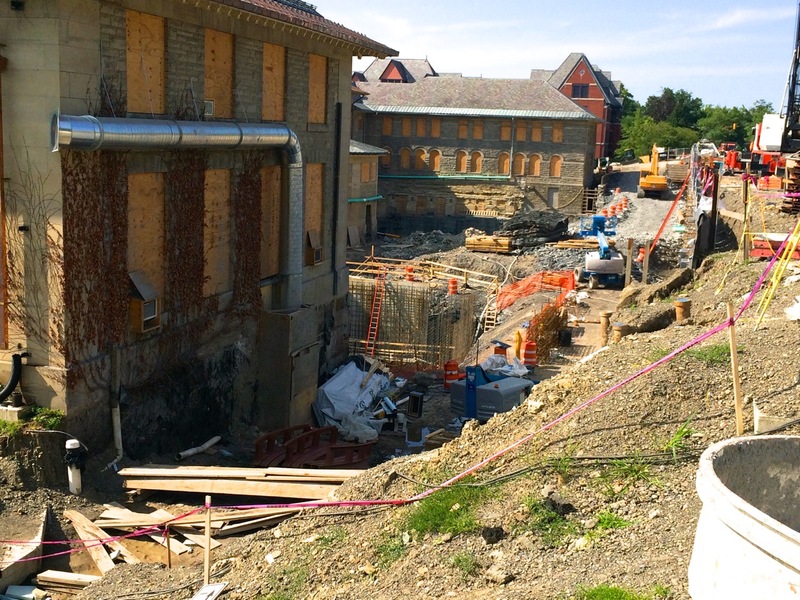 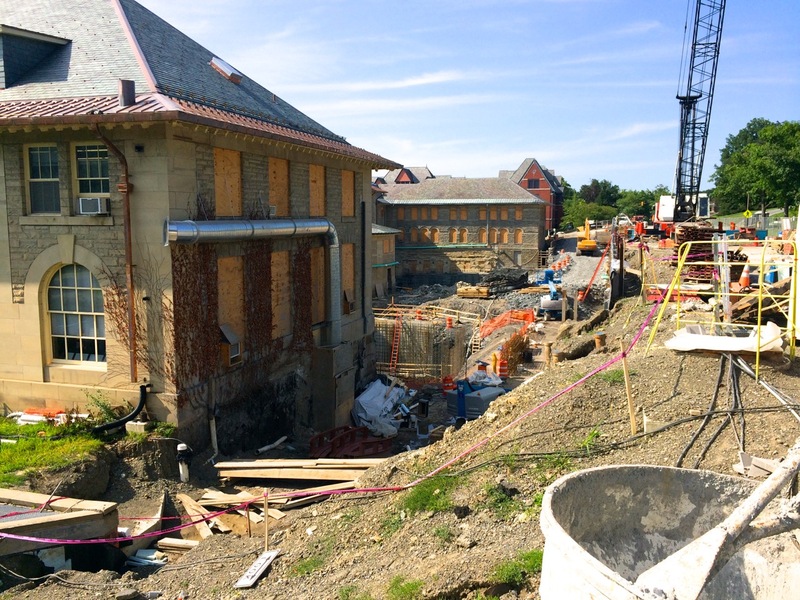 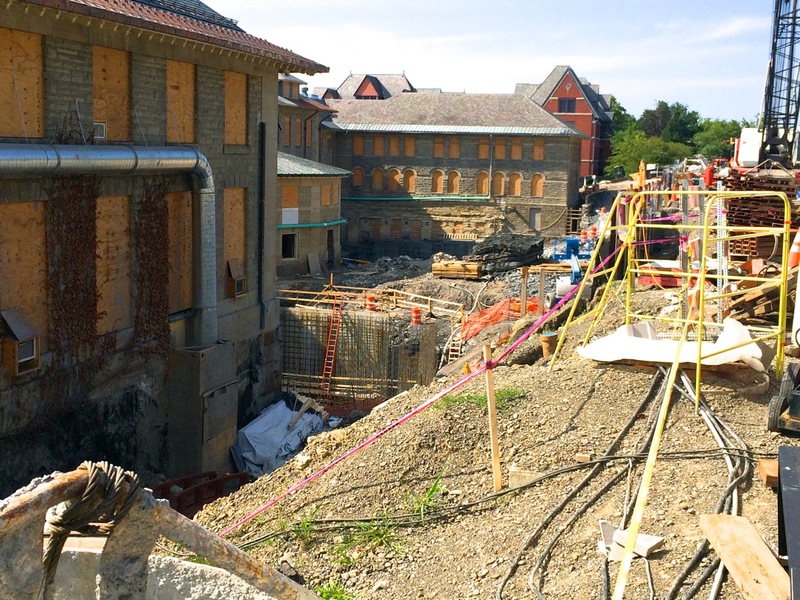 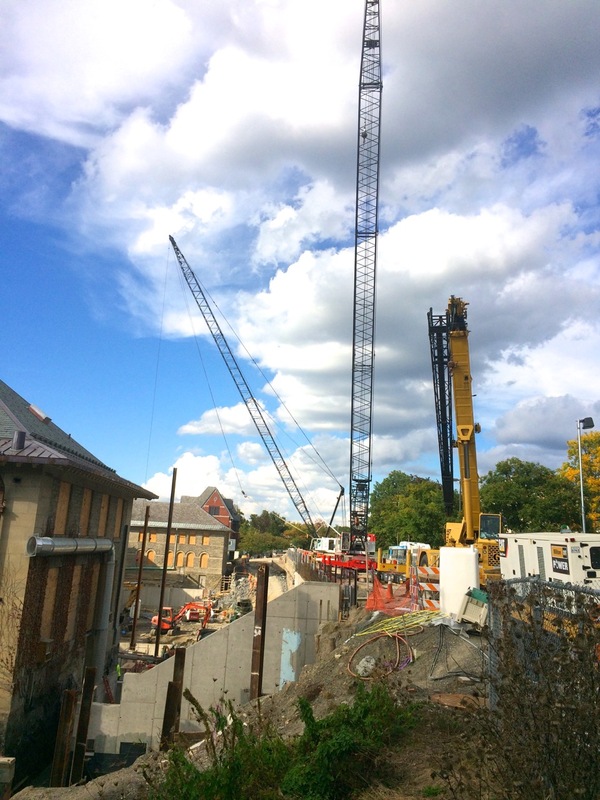 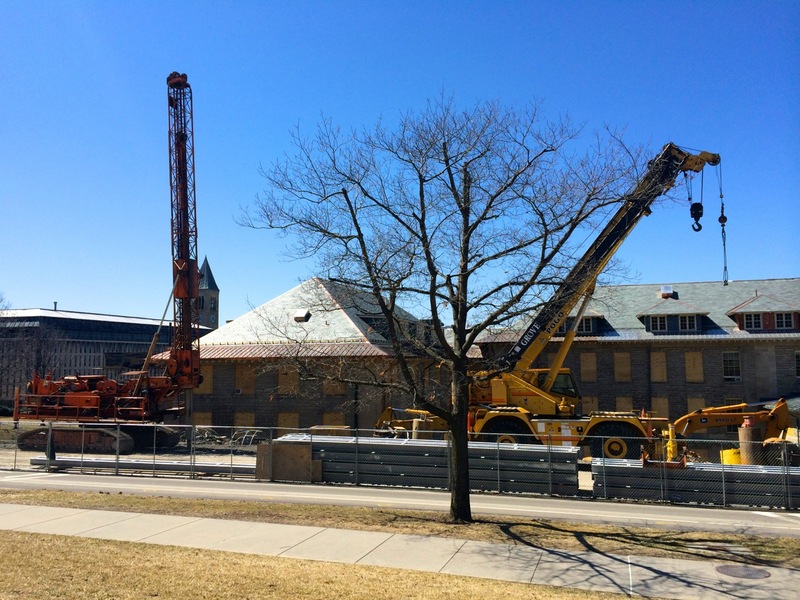 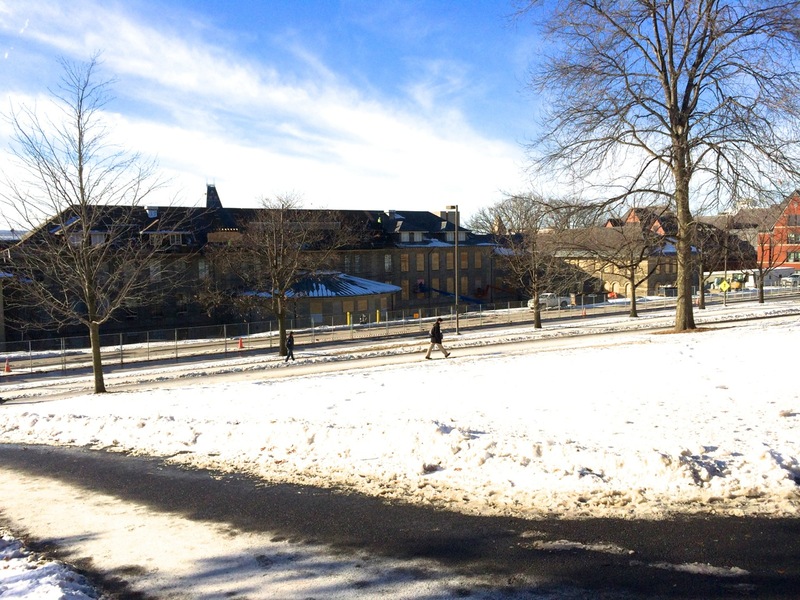 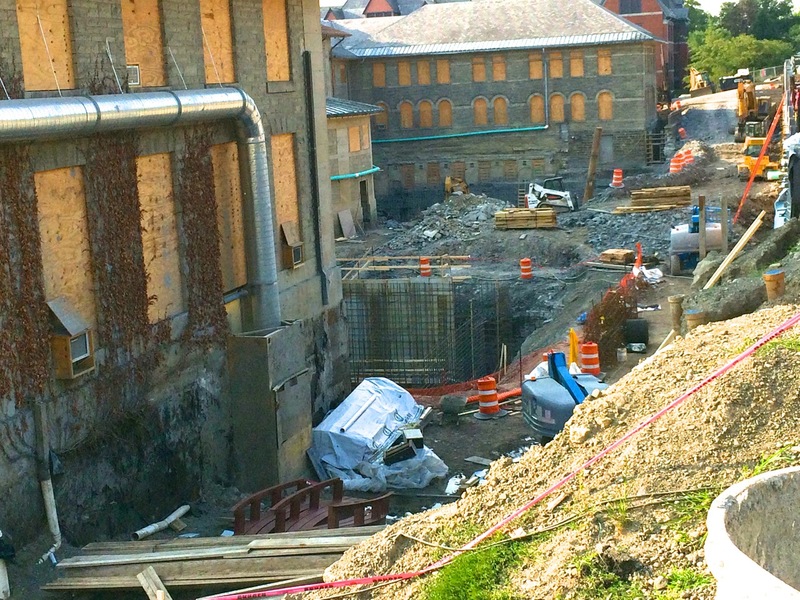 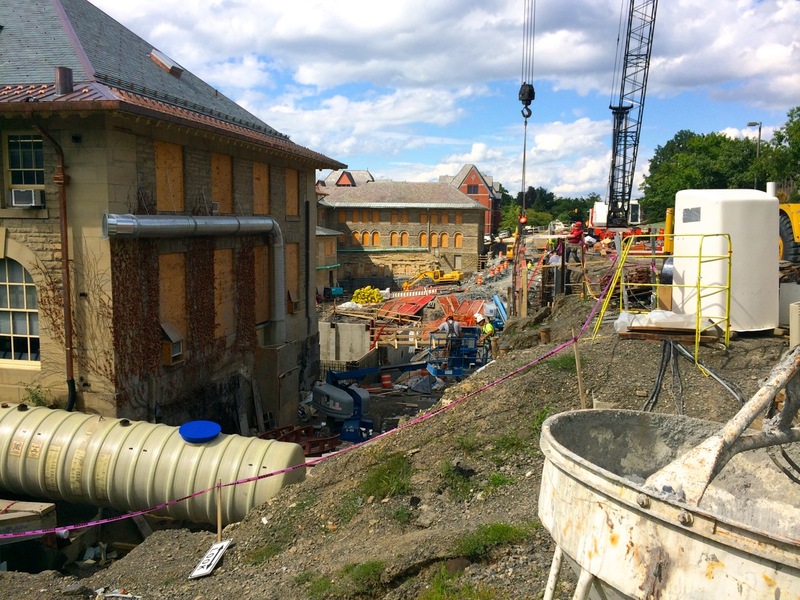 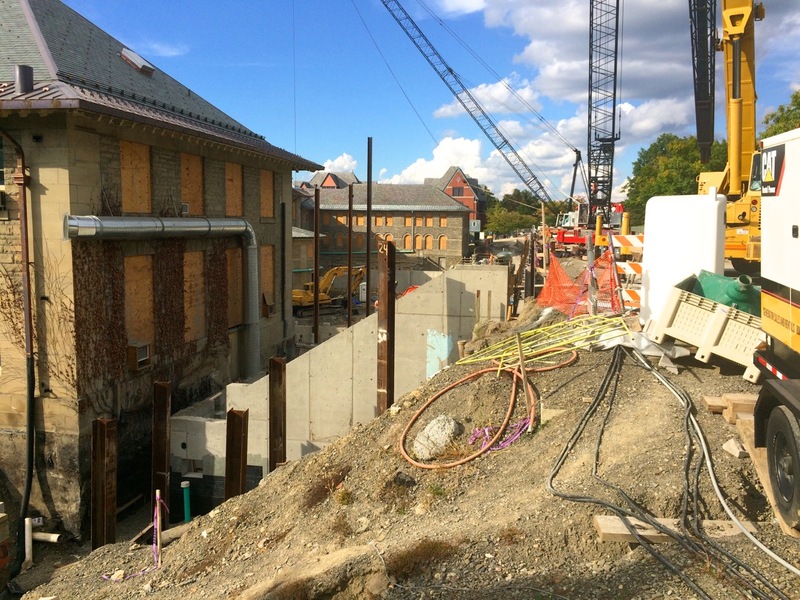 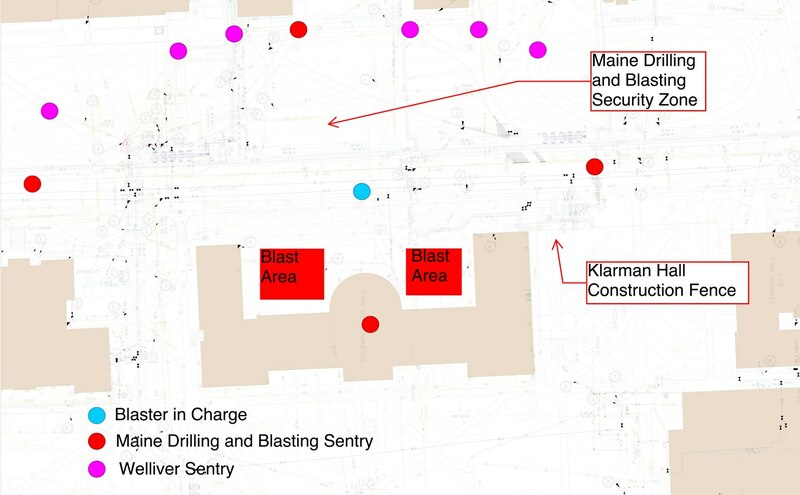 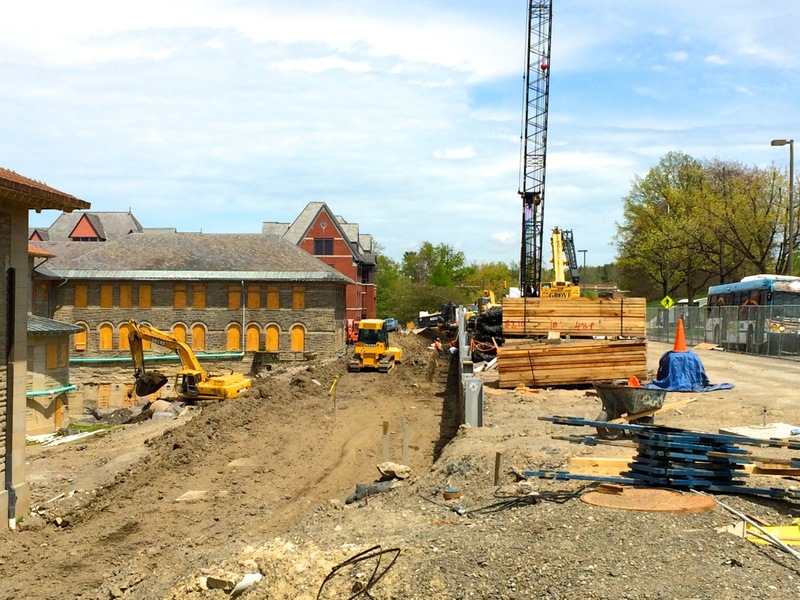 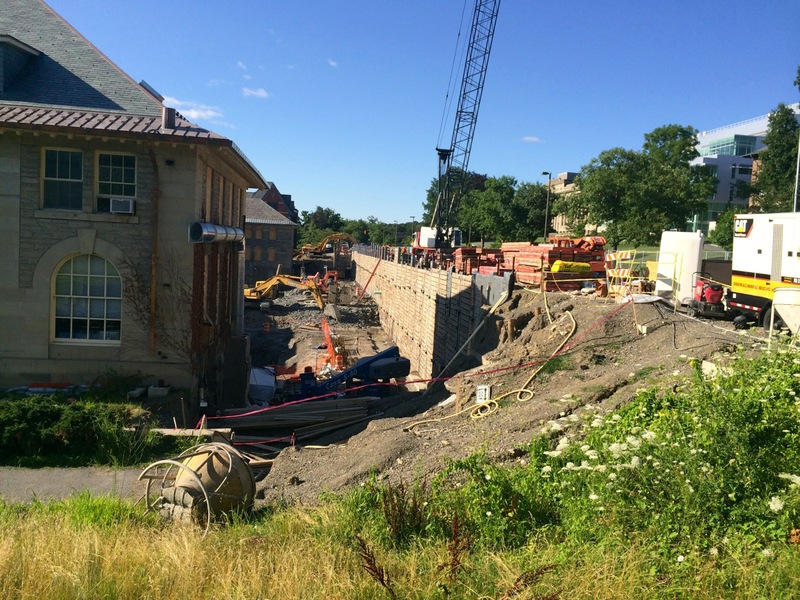 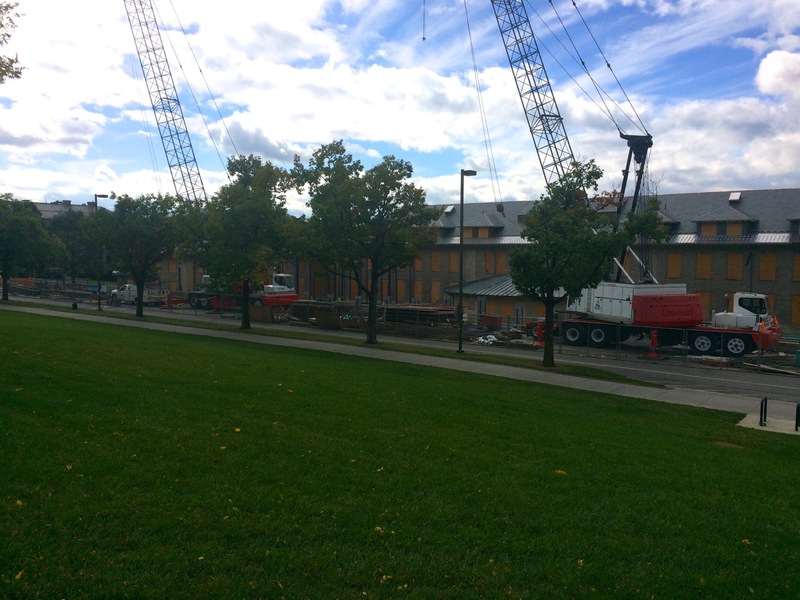 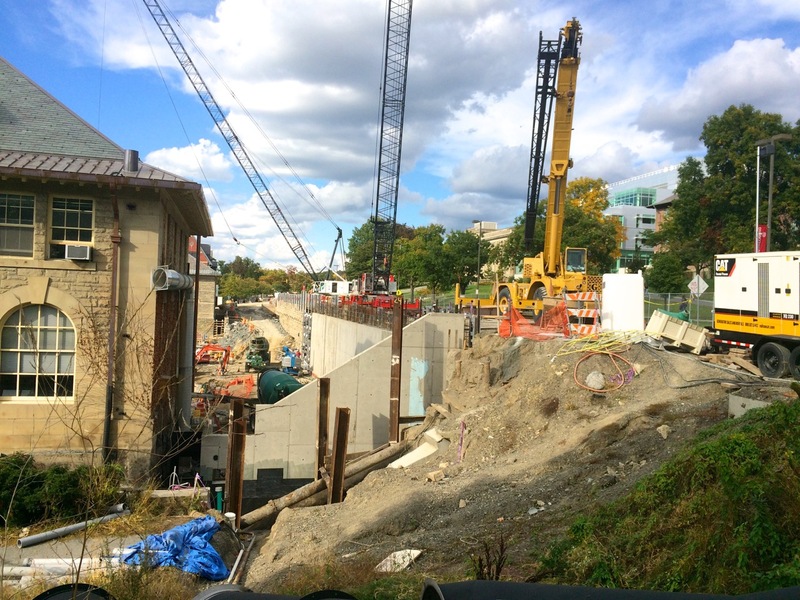 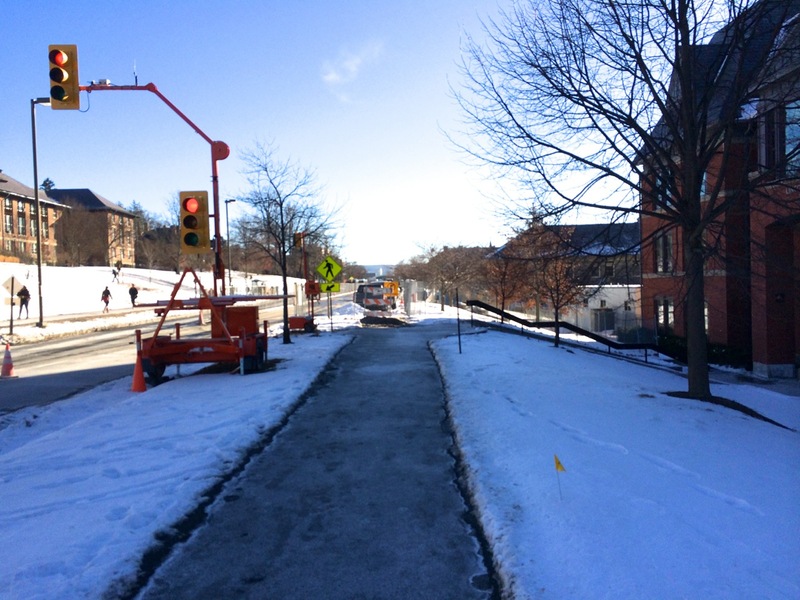 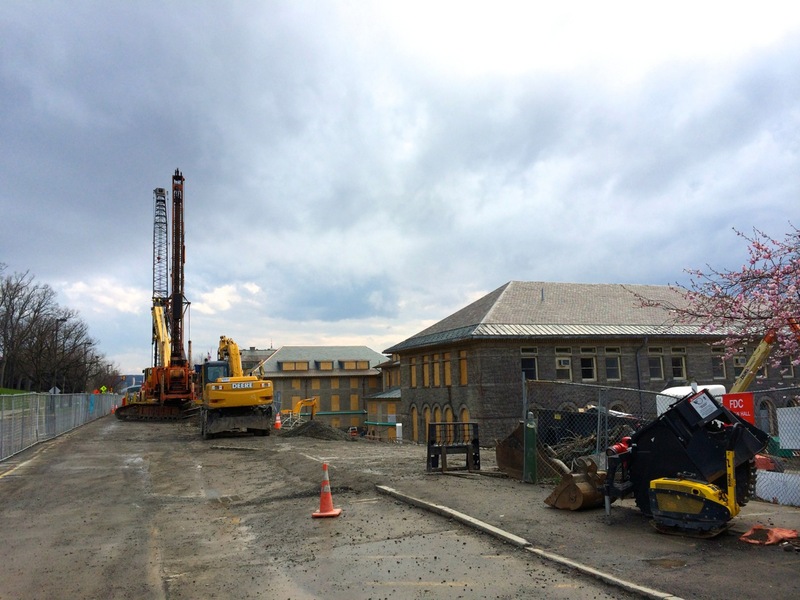 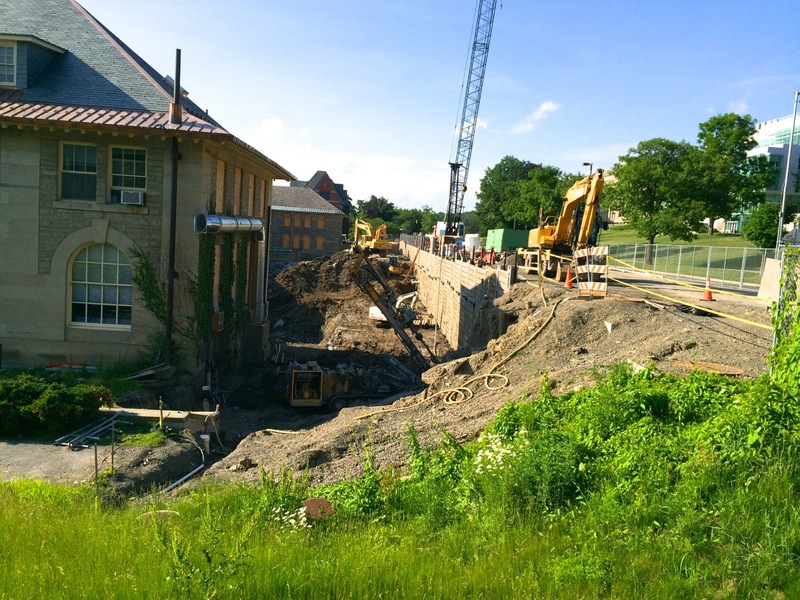 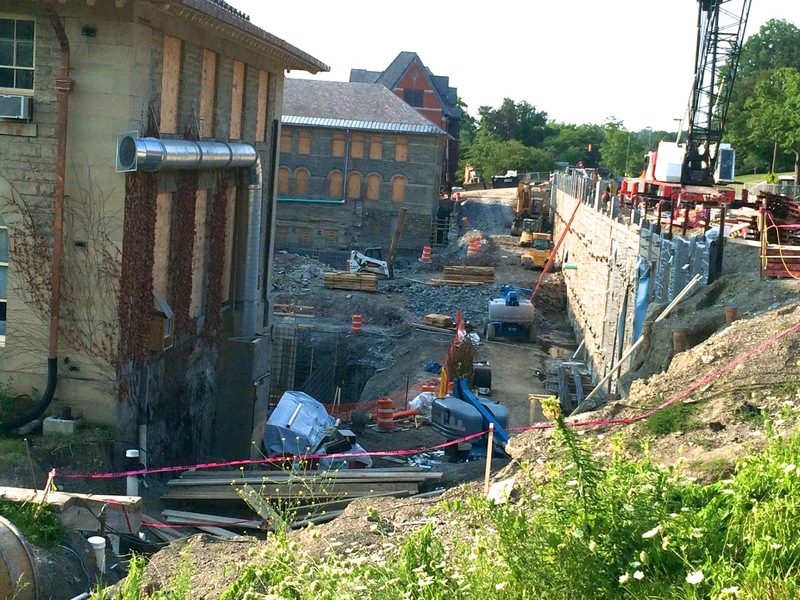 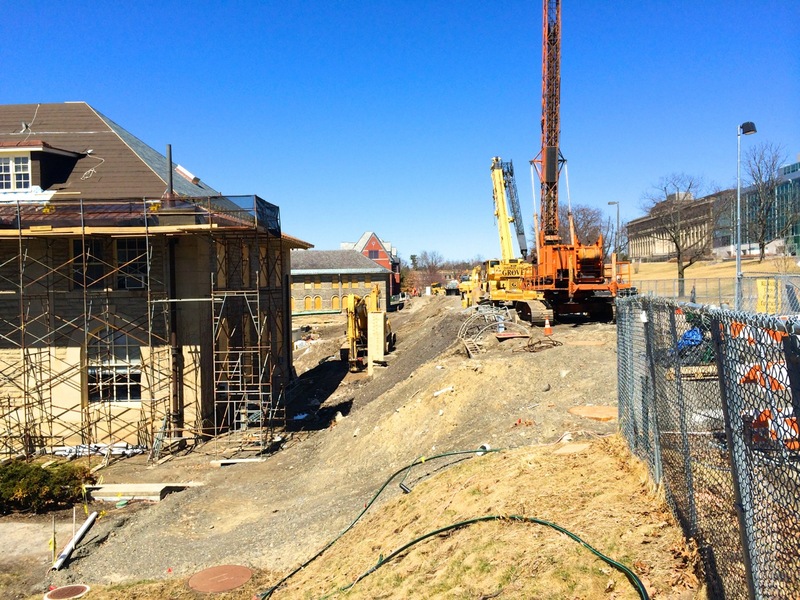 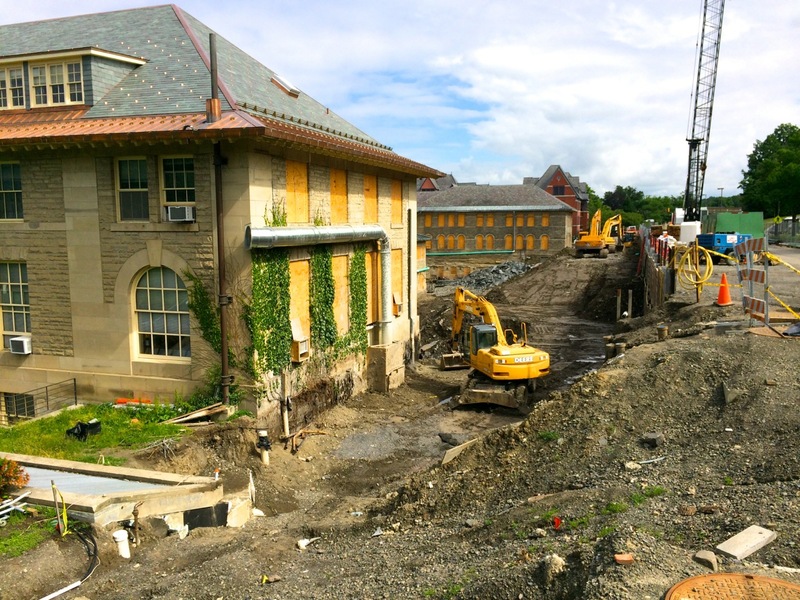 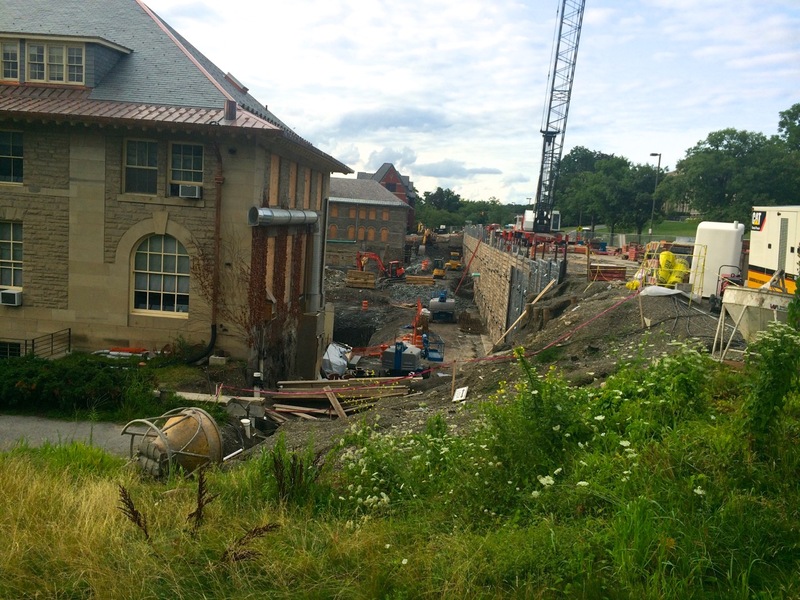 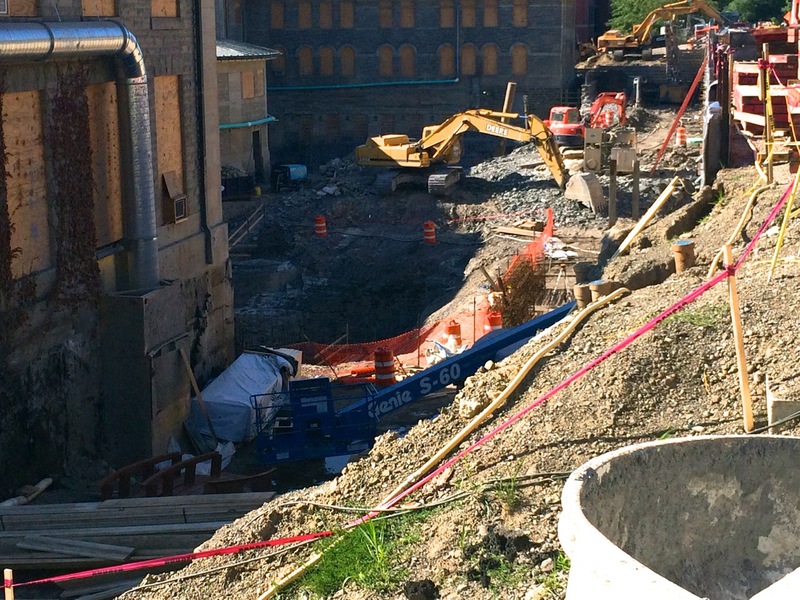 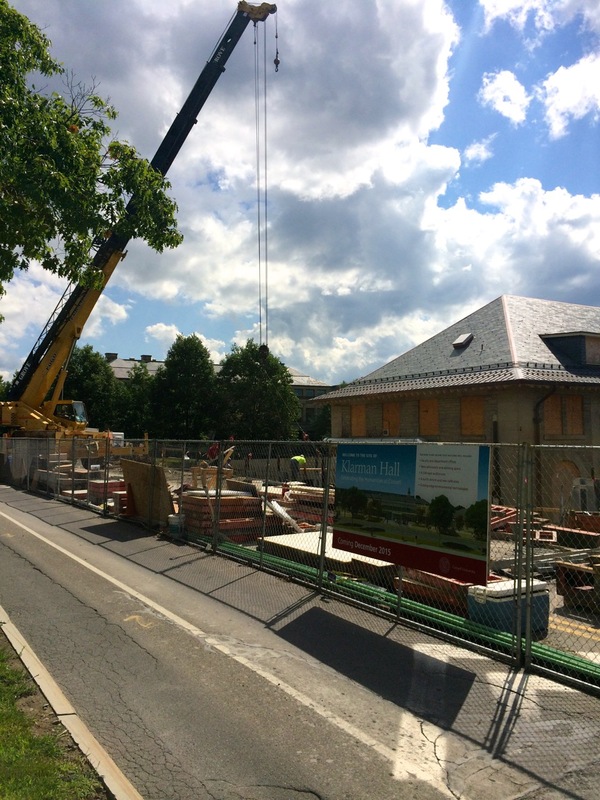 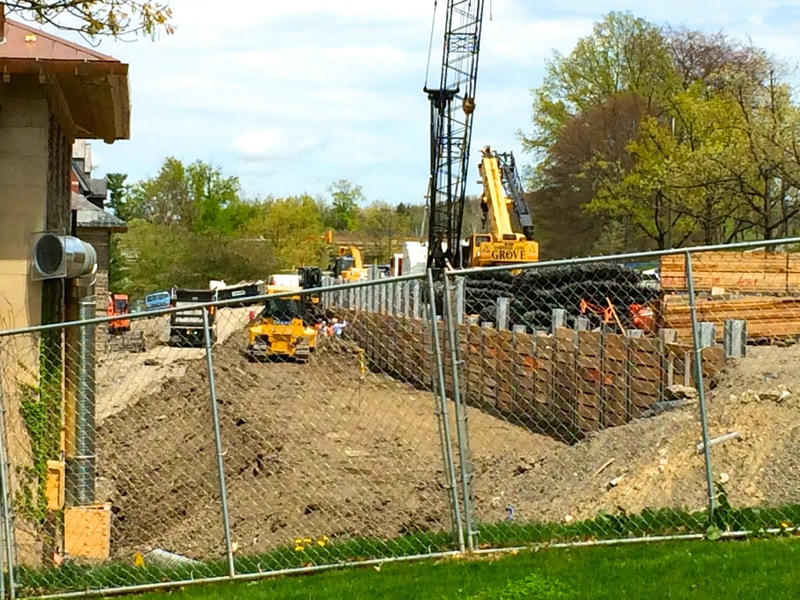 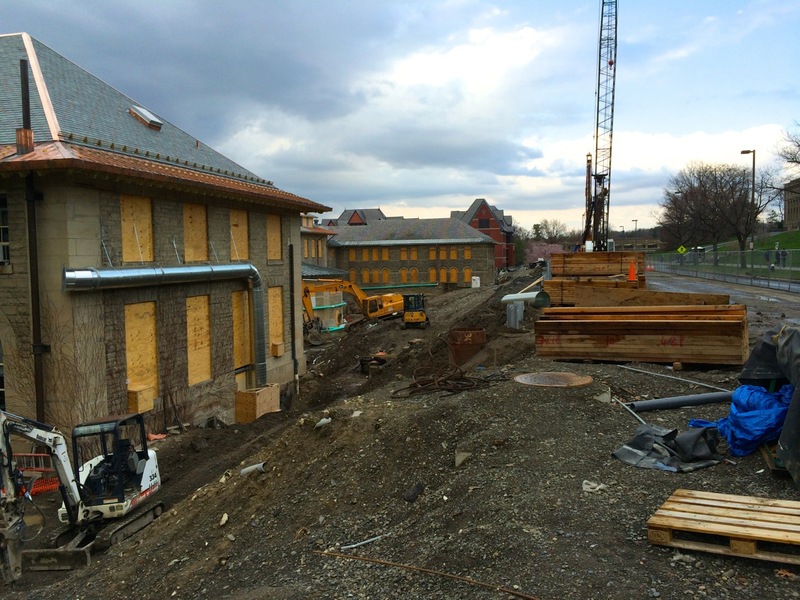 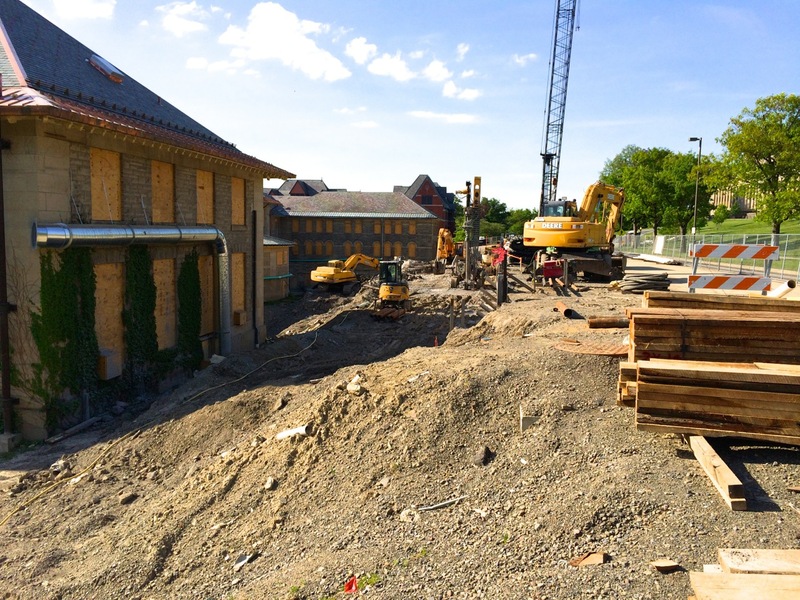 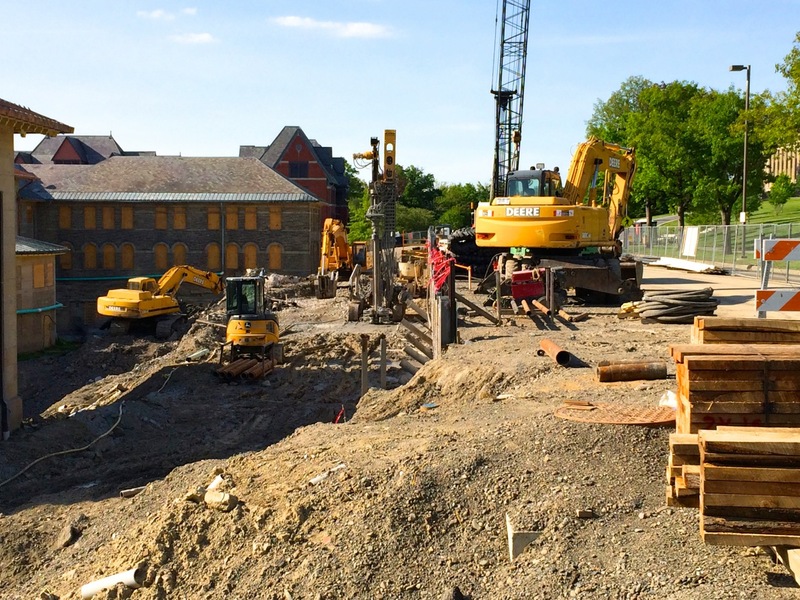 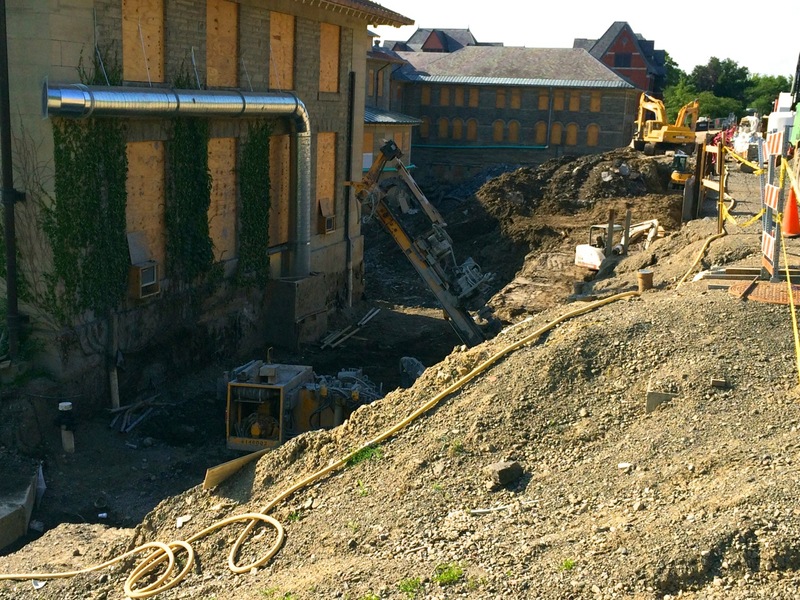 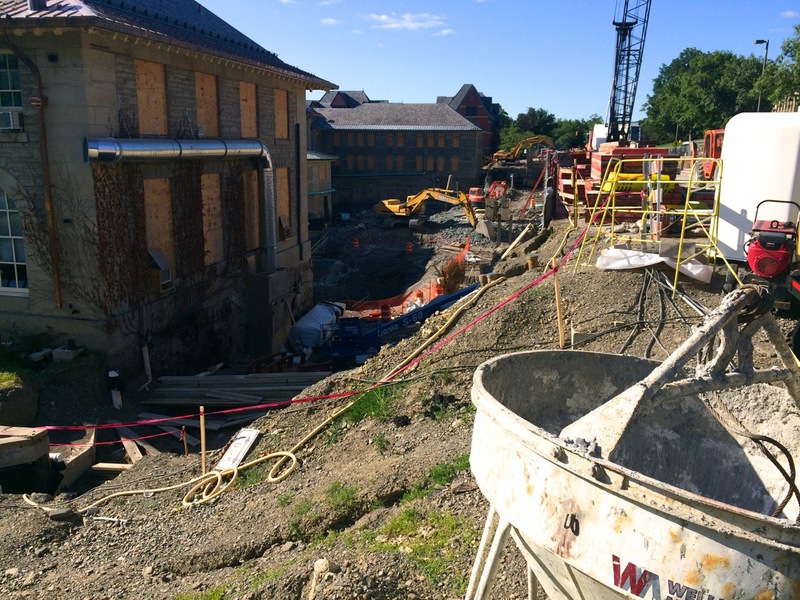 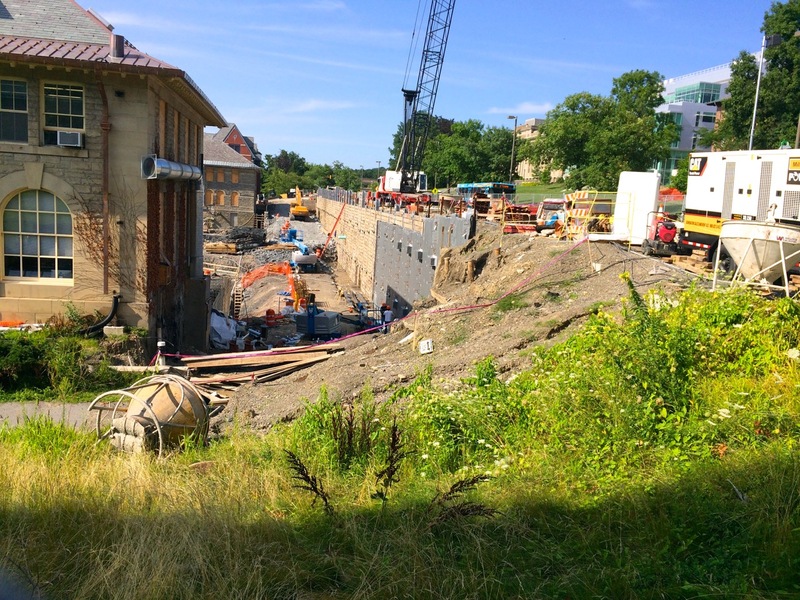 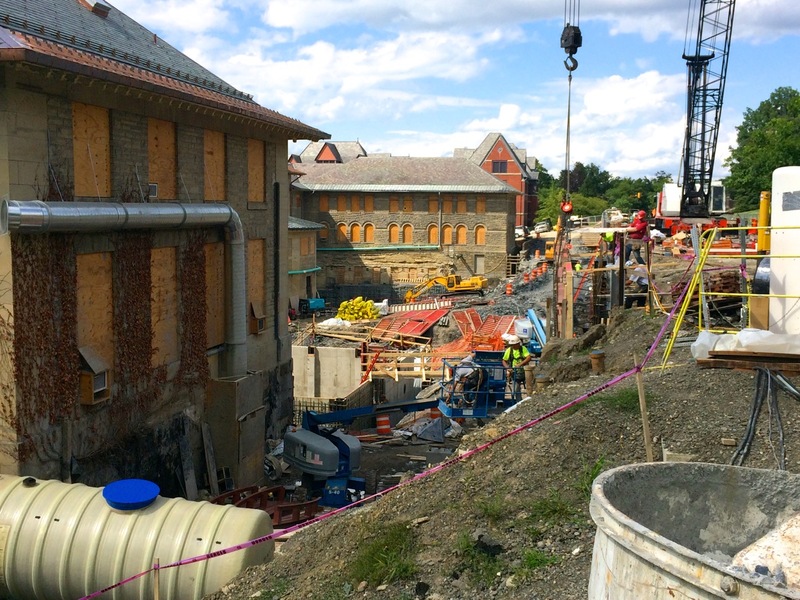 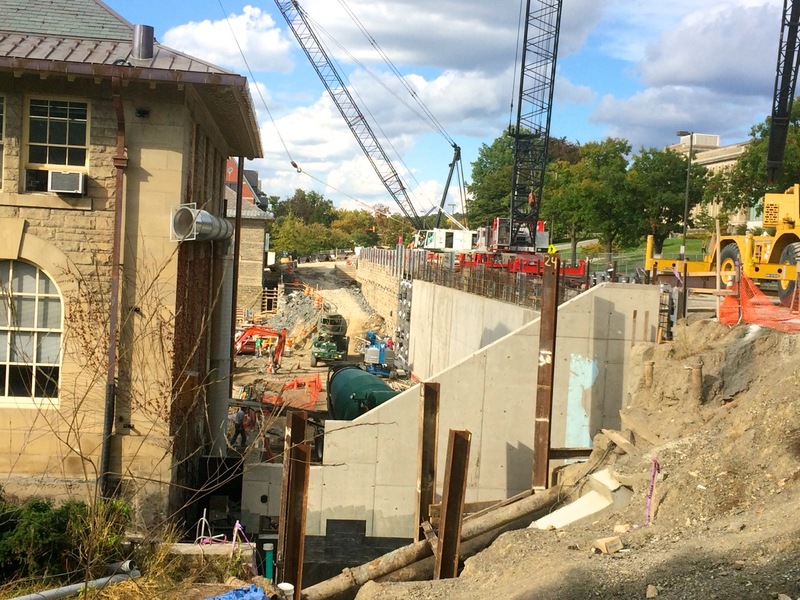 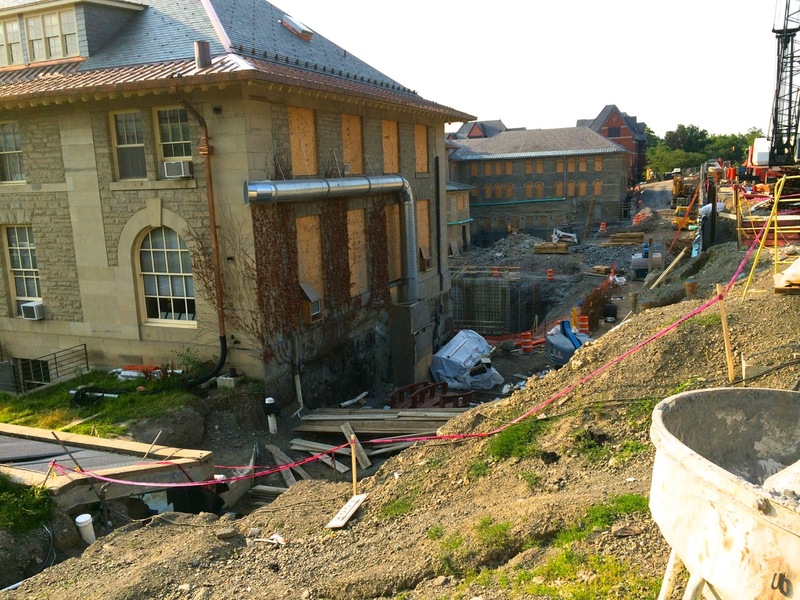 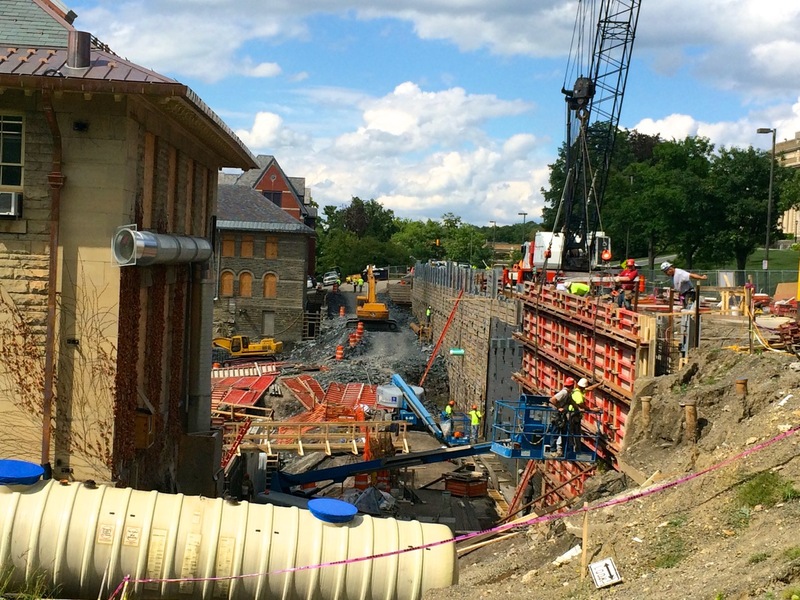 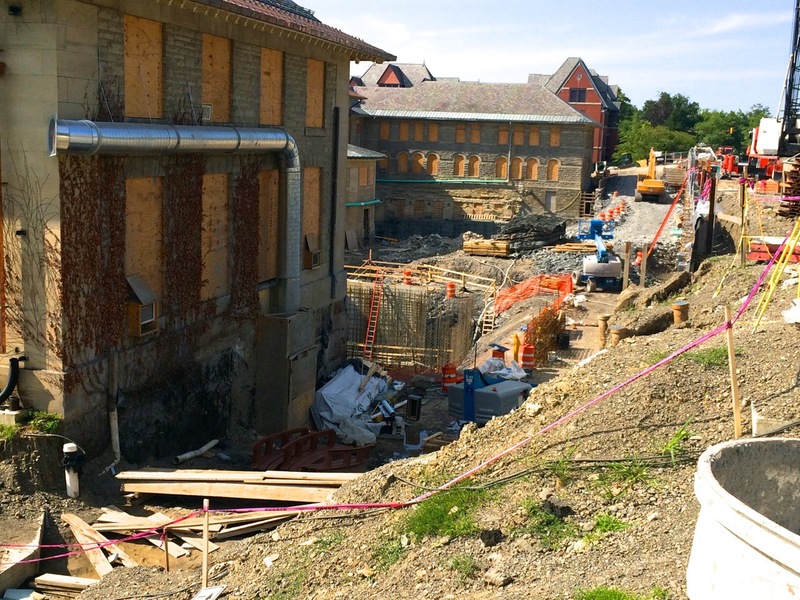 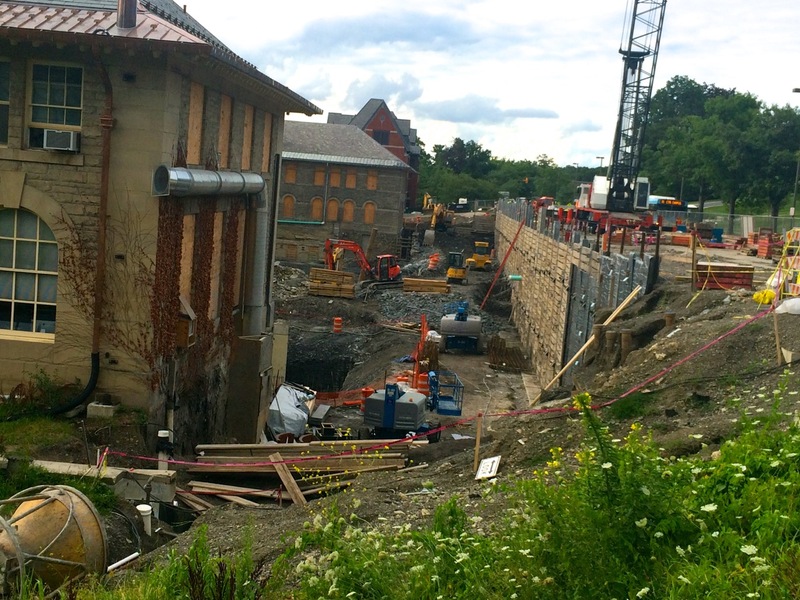 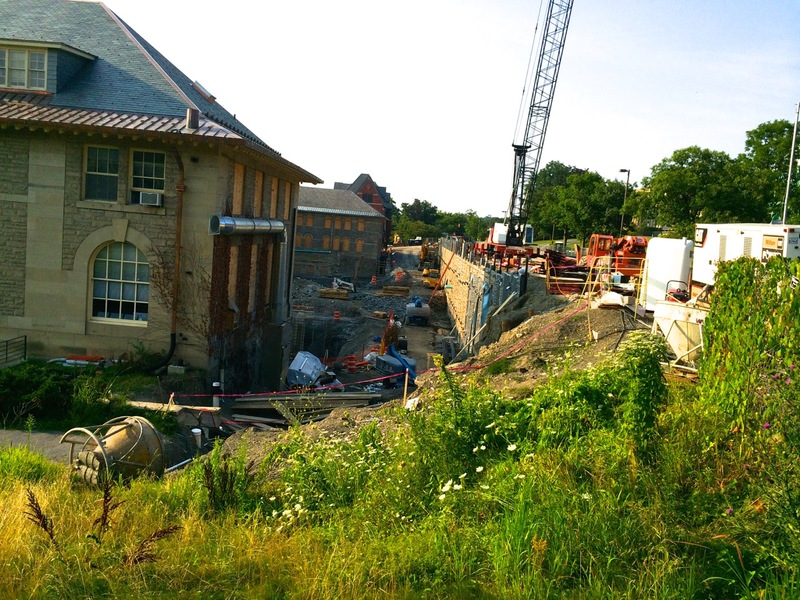 The pile hammer is for beam shoring (geo-shoring) along East Avenue, in order to hold the hill together once the site is dug out quite far down for Klarman’s footprint. 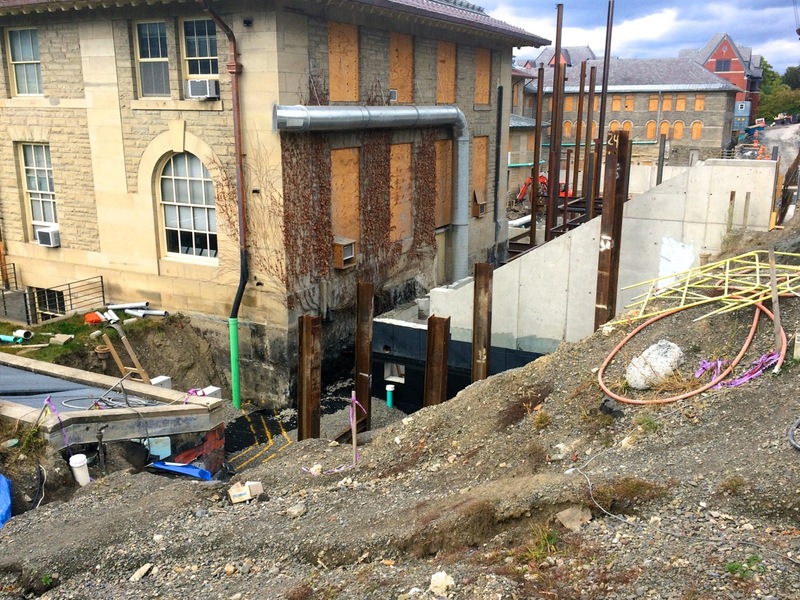 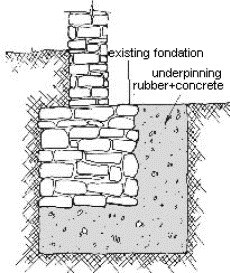 After the steel beams are in ground, they are followed-up with lagging boards, which are affixed to the beams for soil retention. 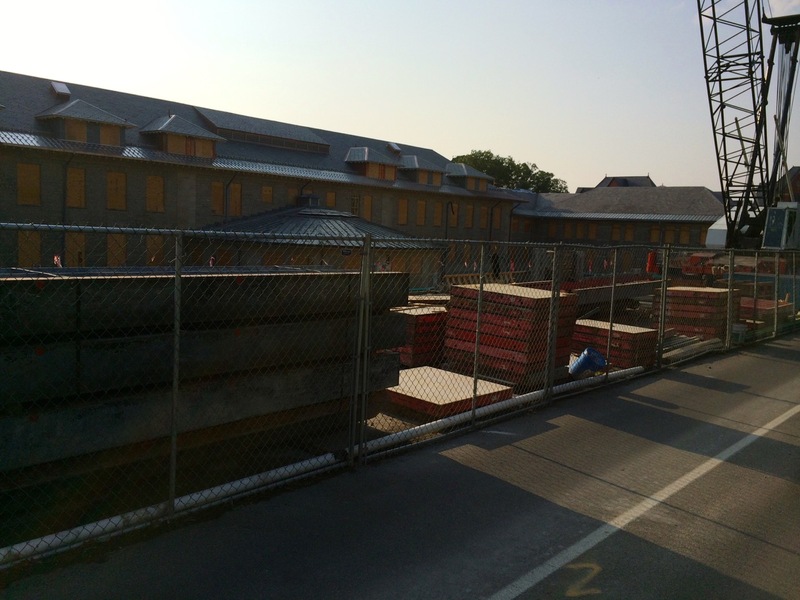 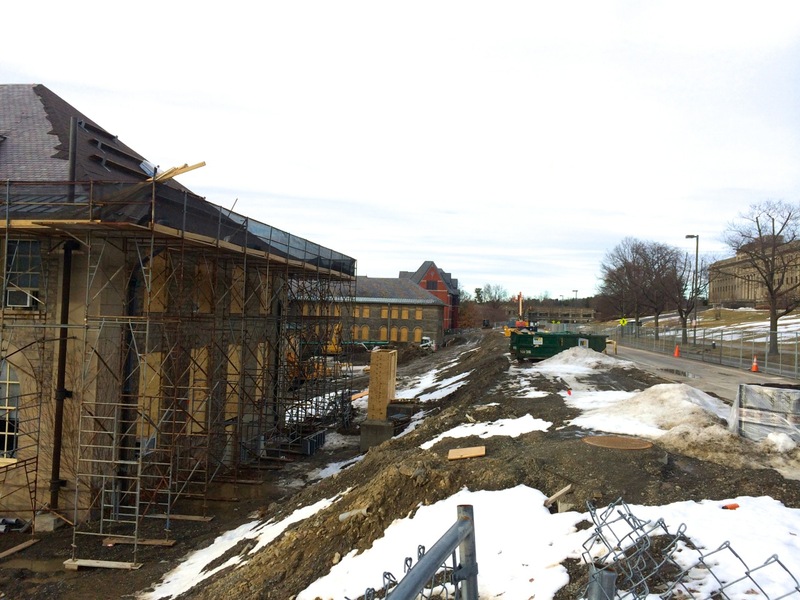 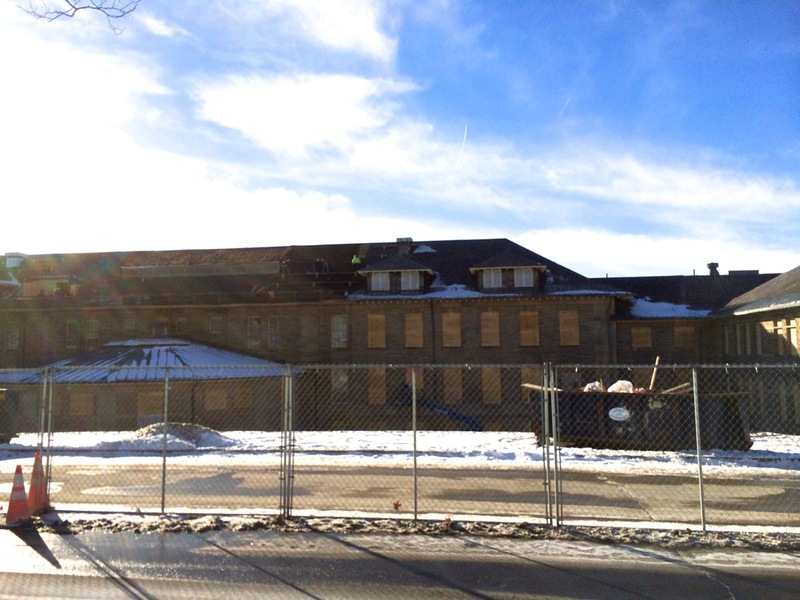 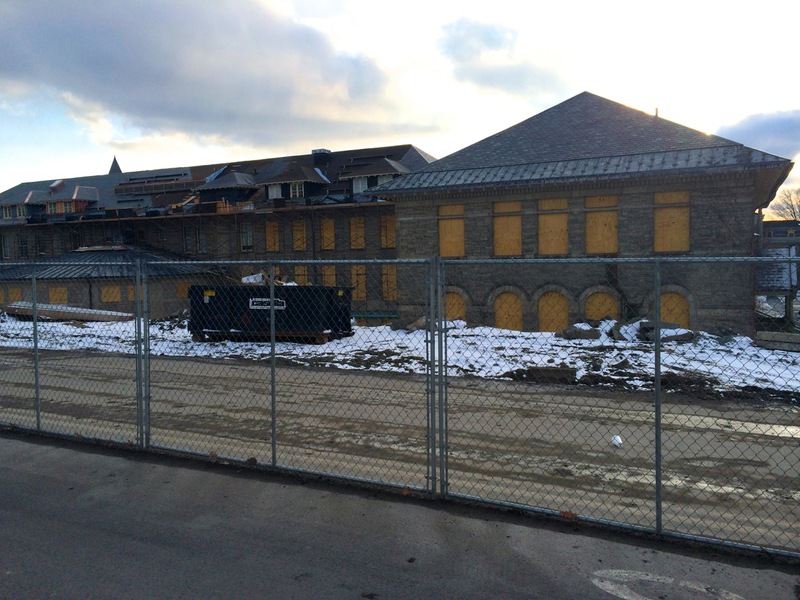 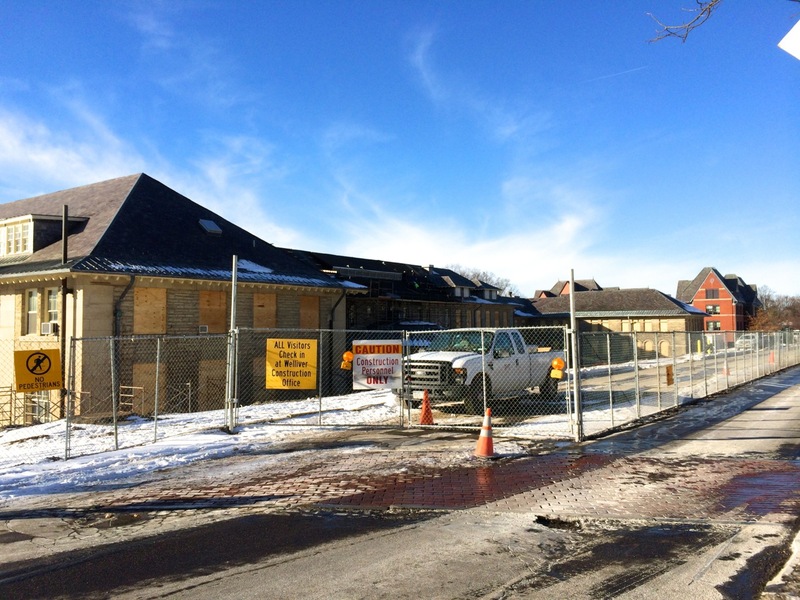 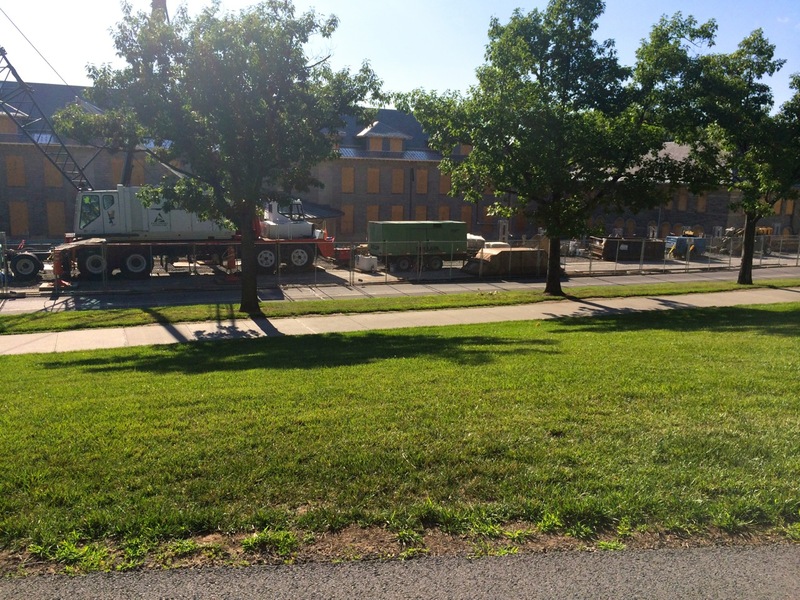 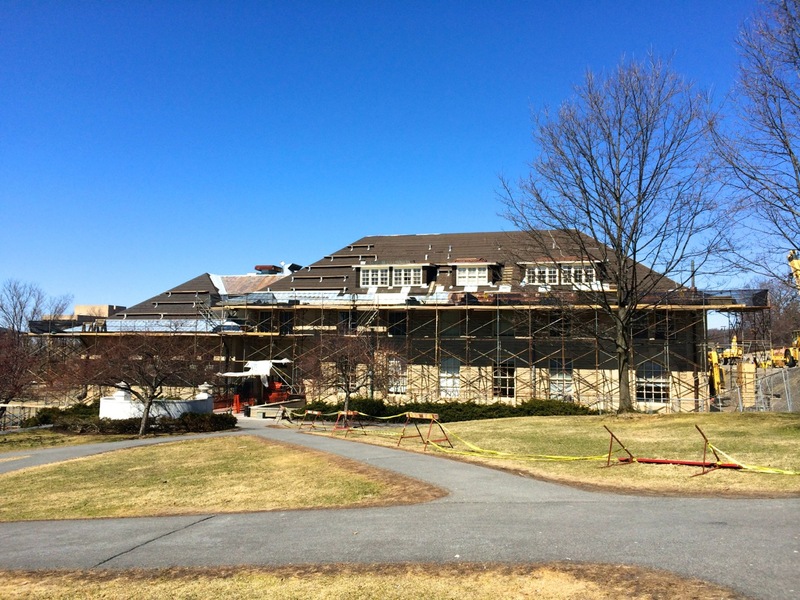 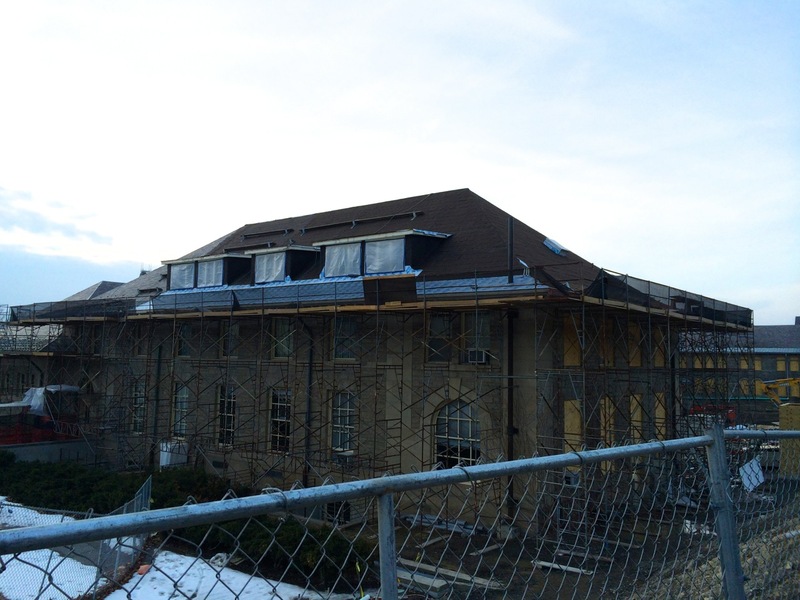 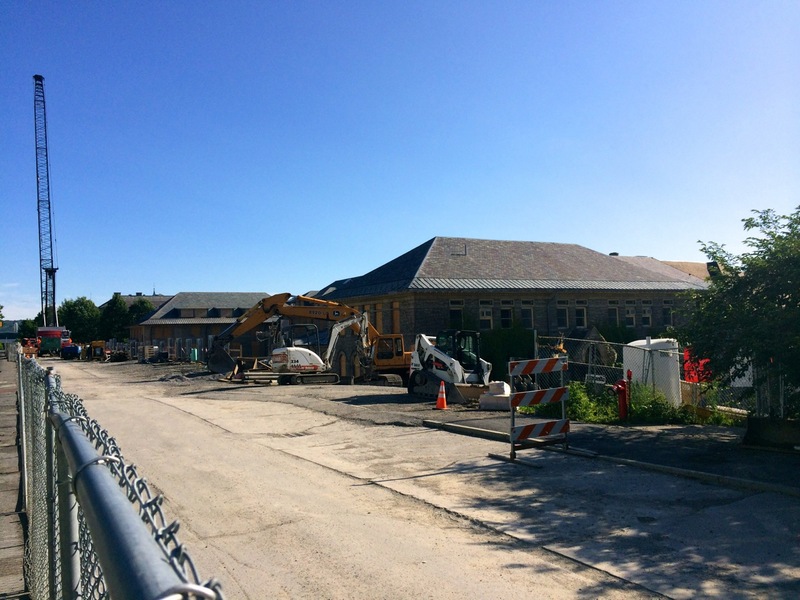 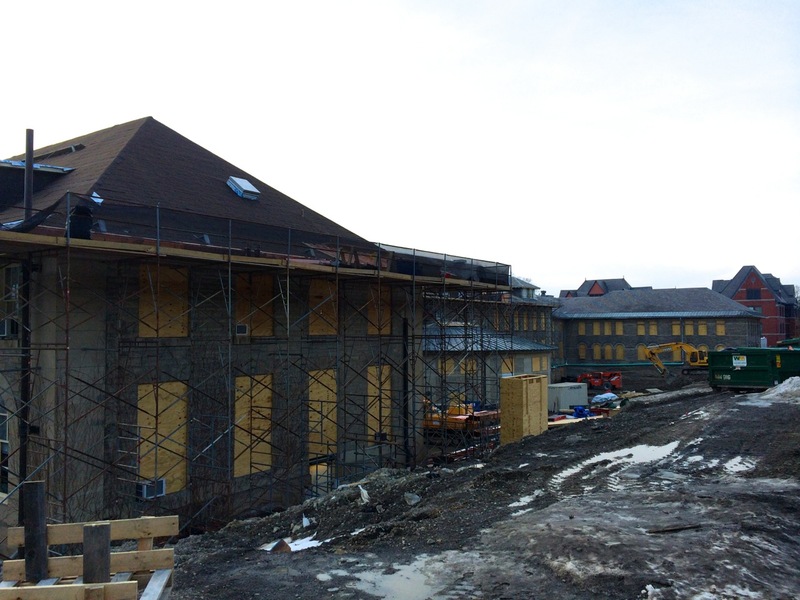 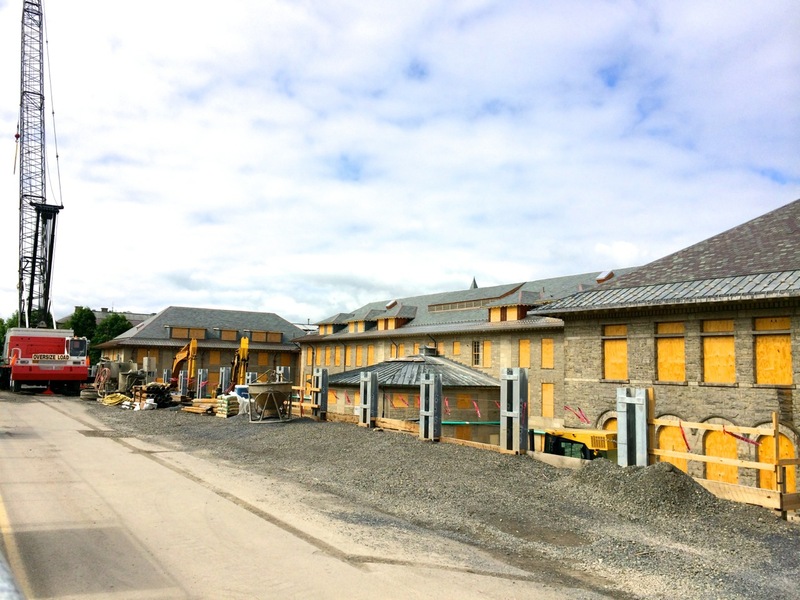 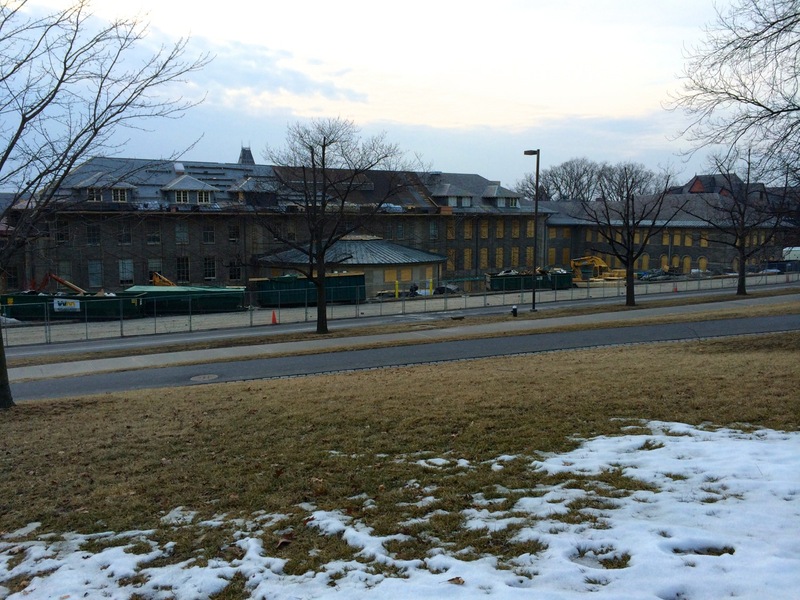 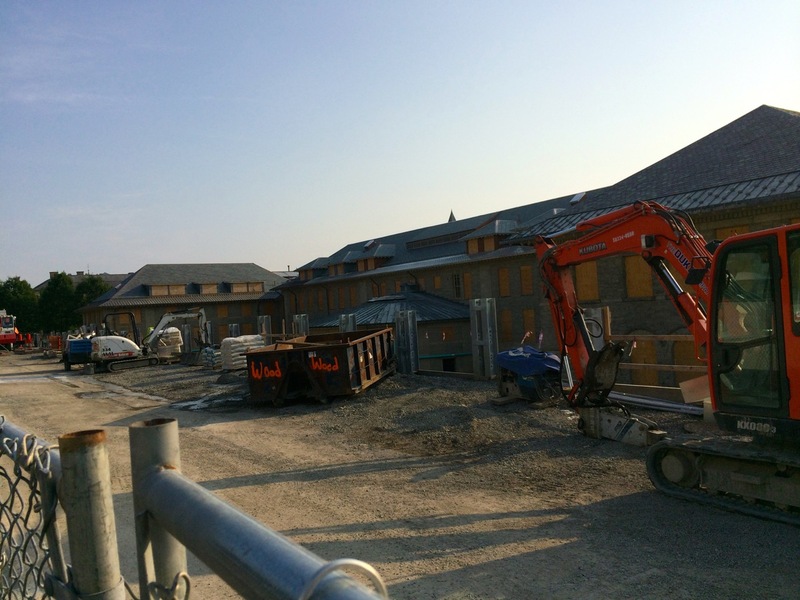 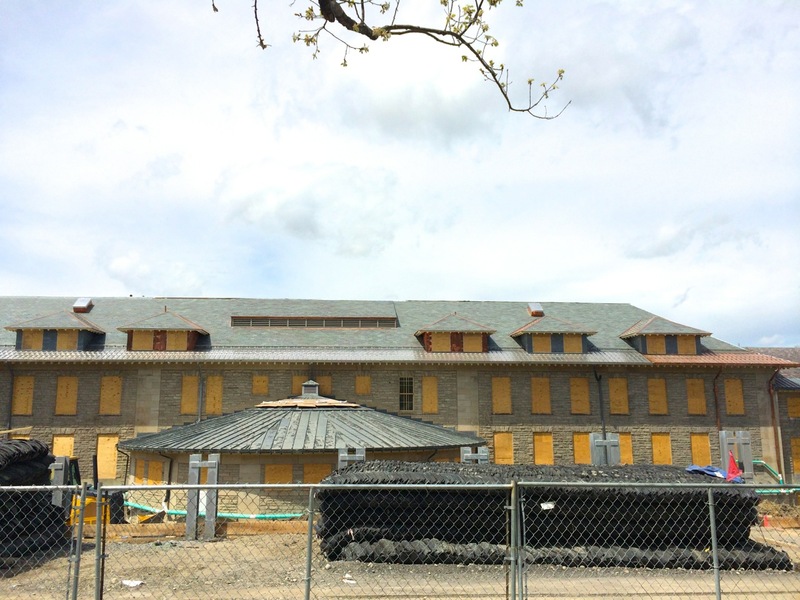 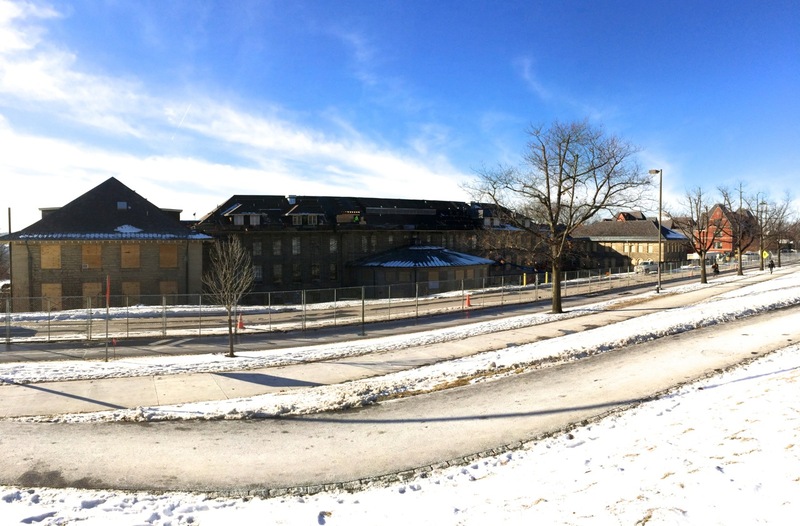 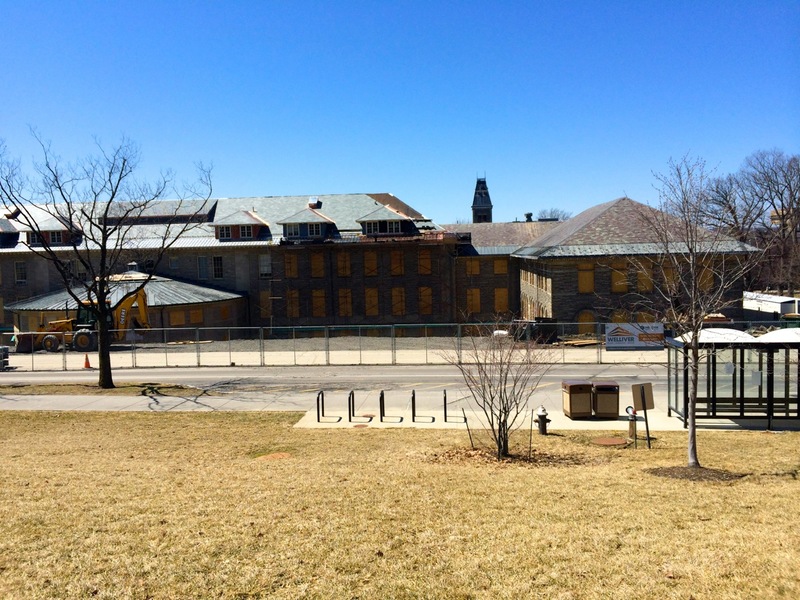 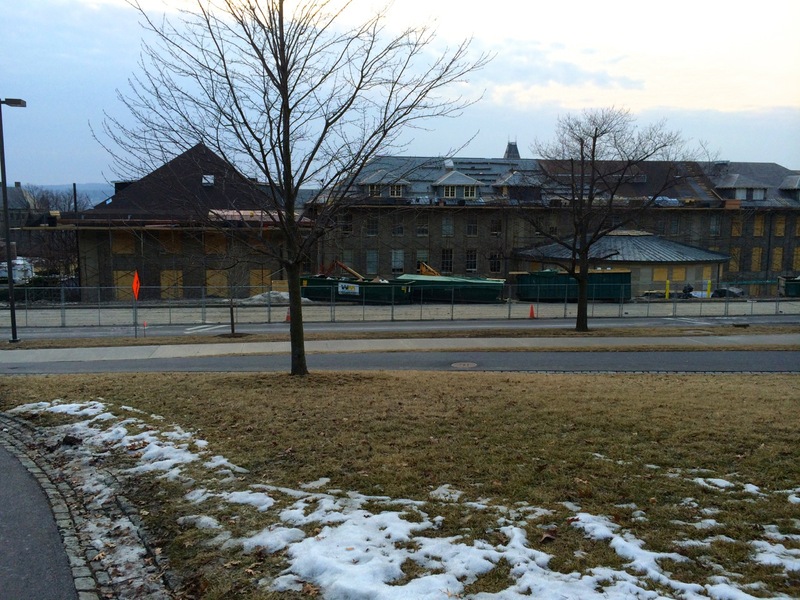 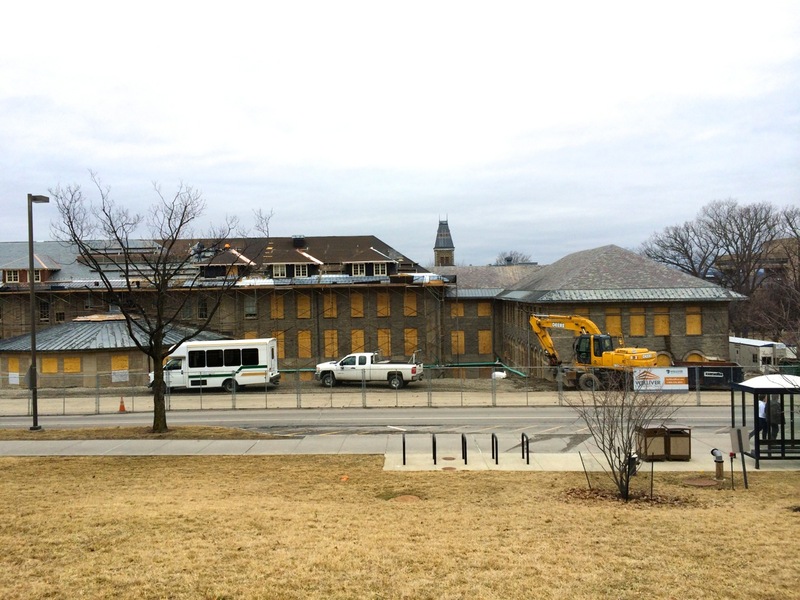 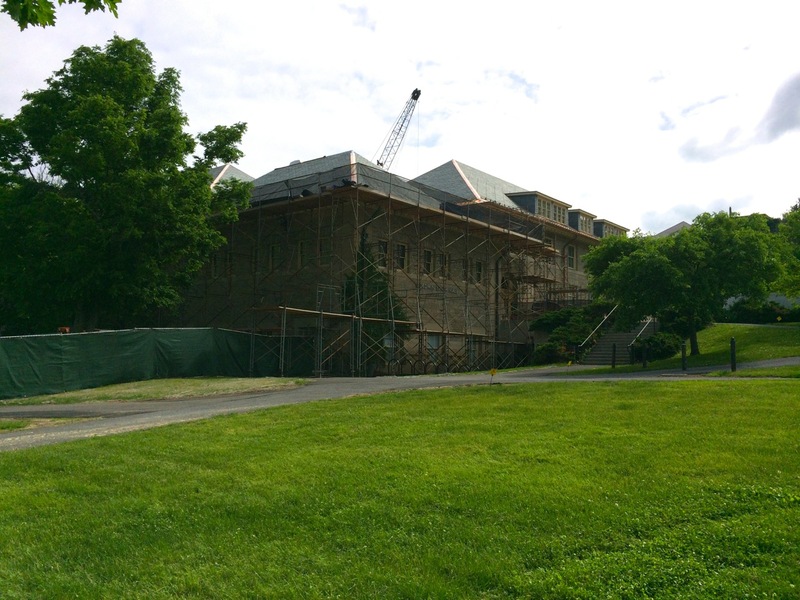 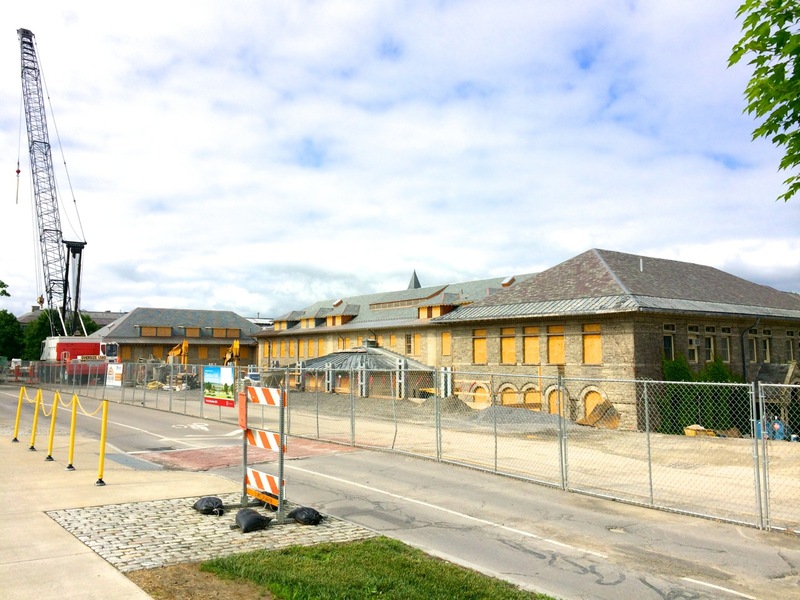 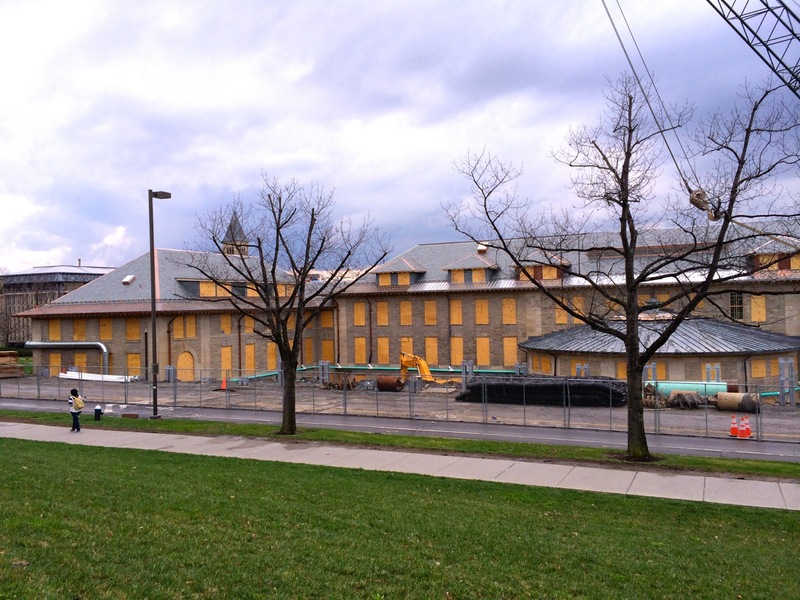 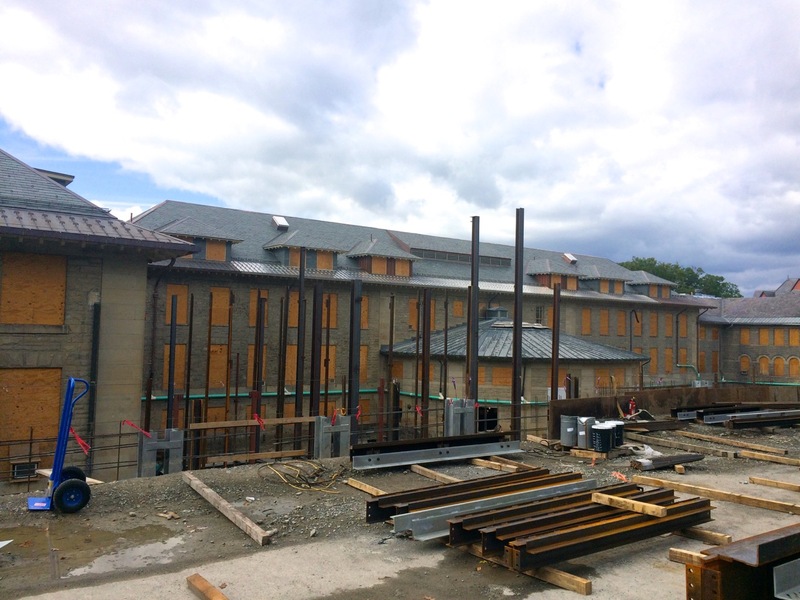 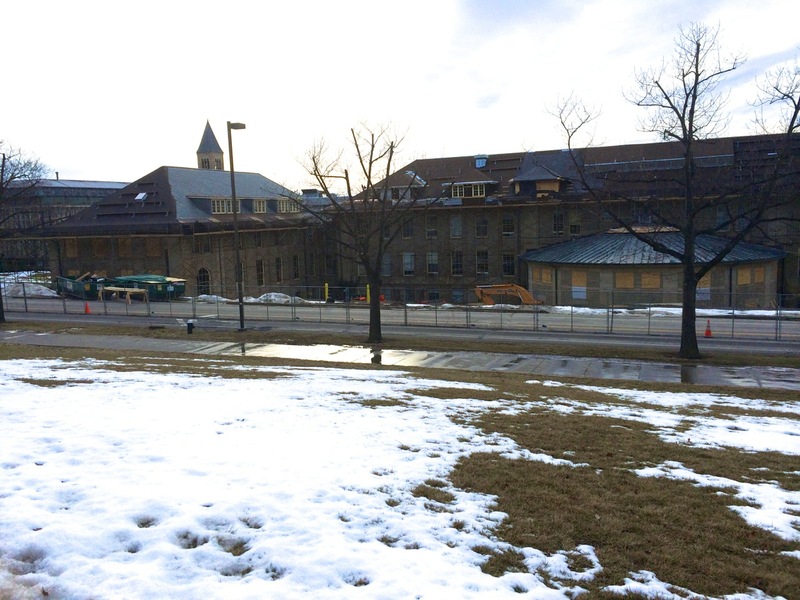 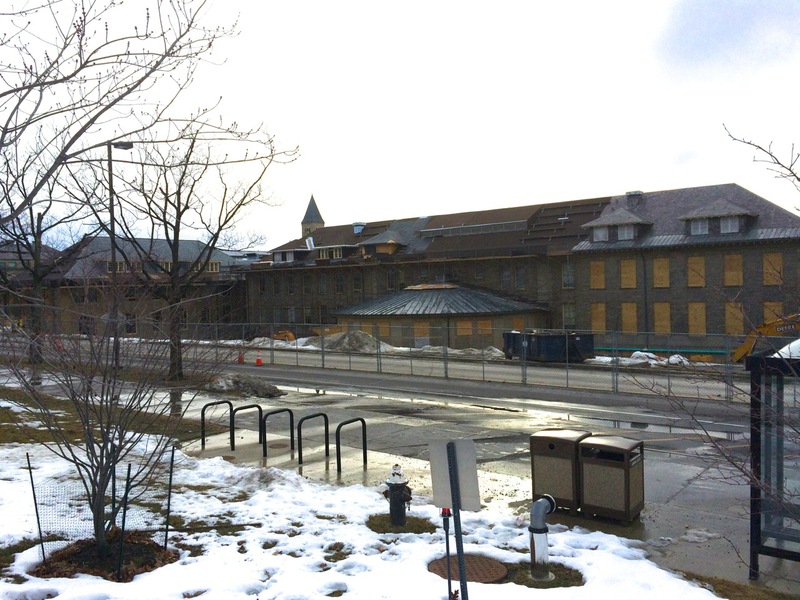 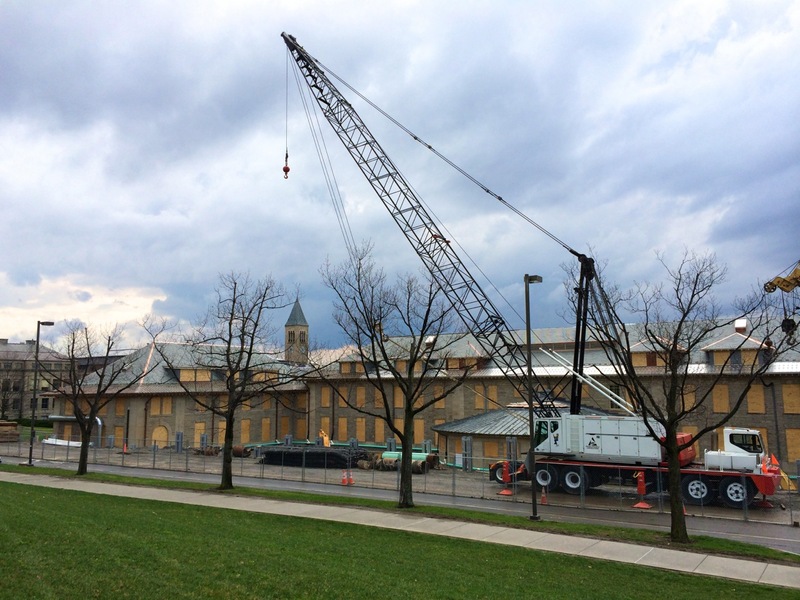 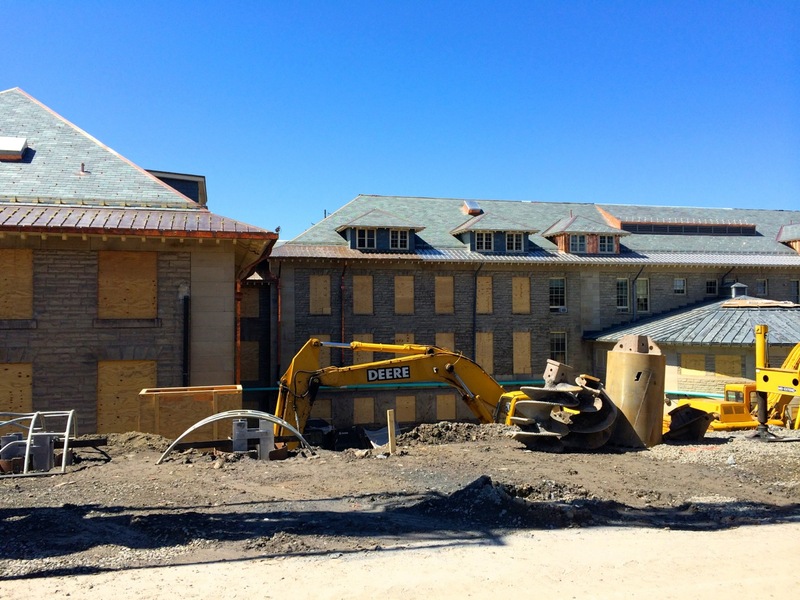 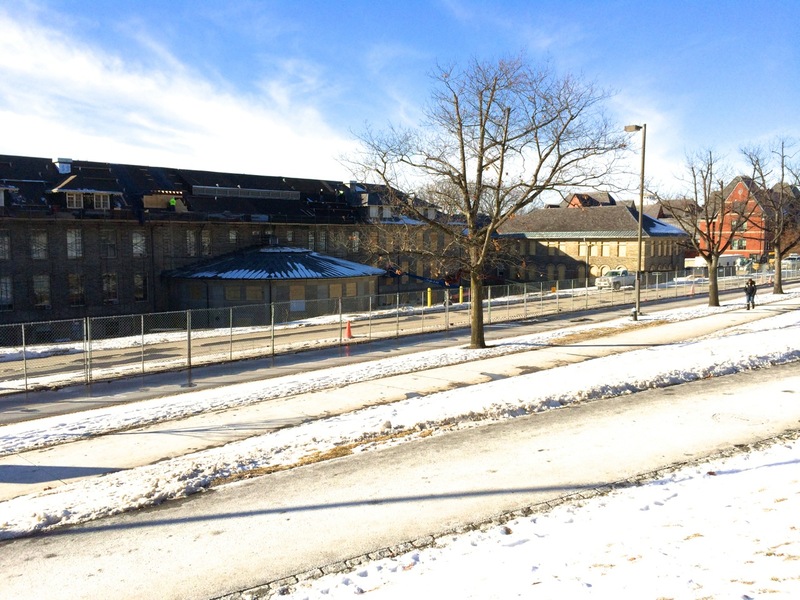 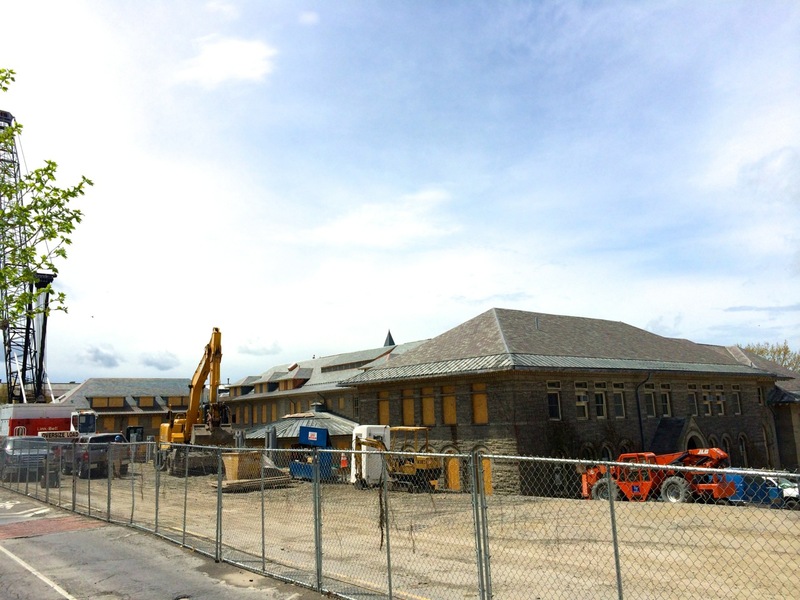 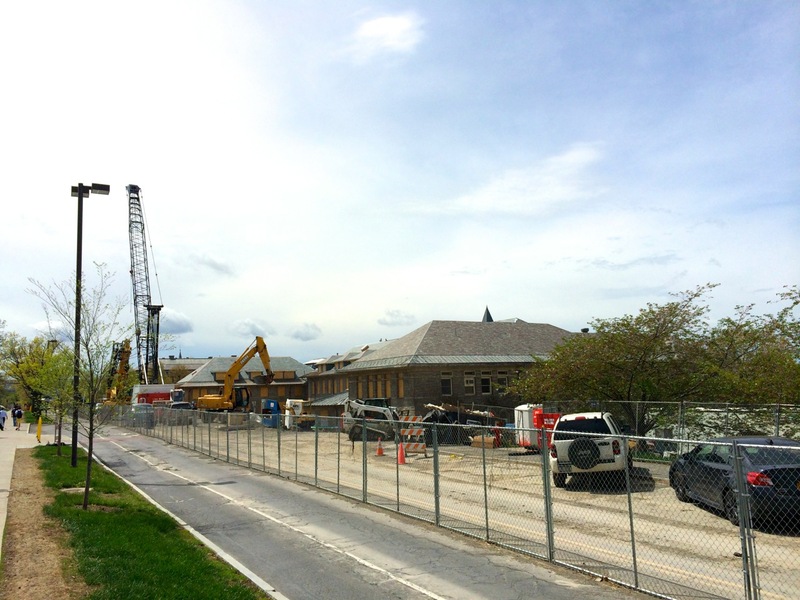 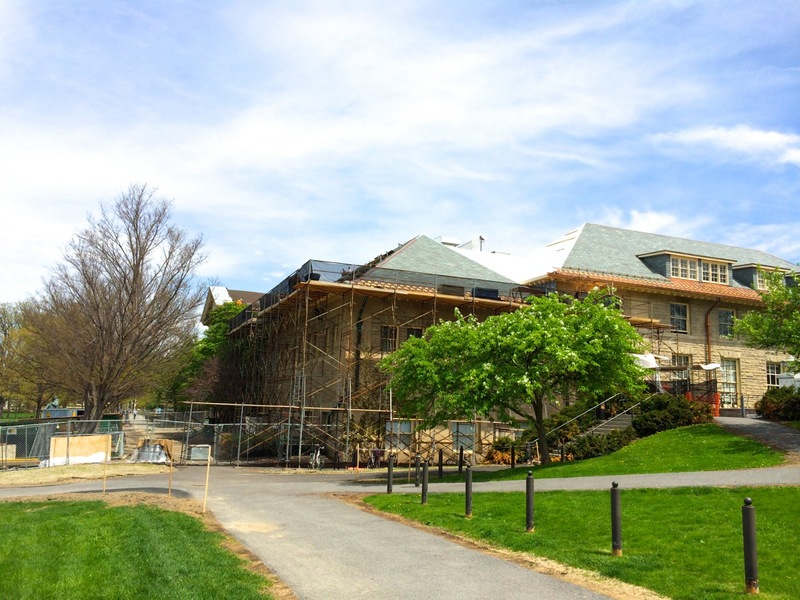 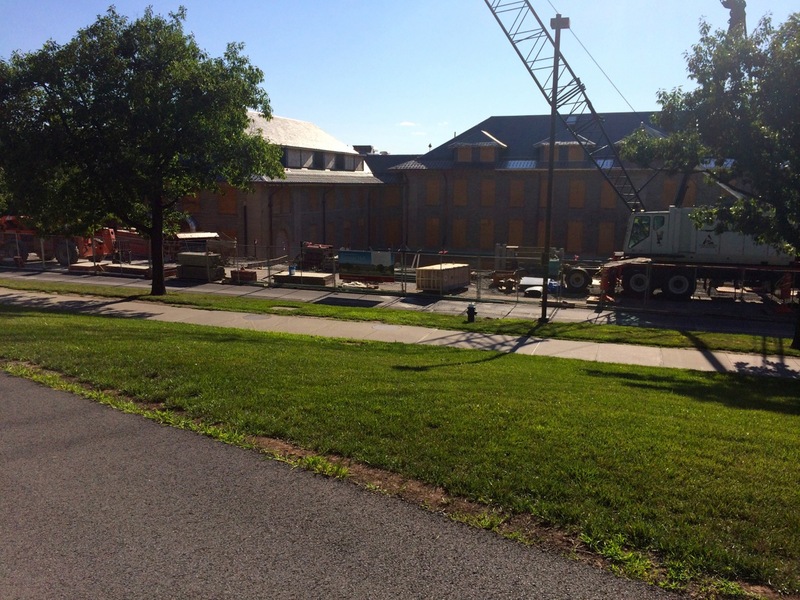 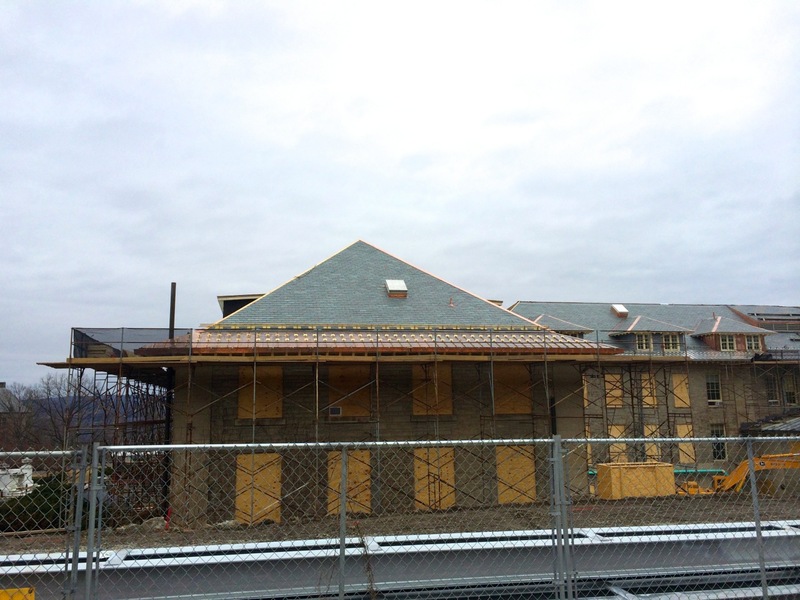 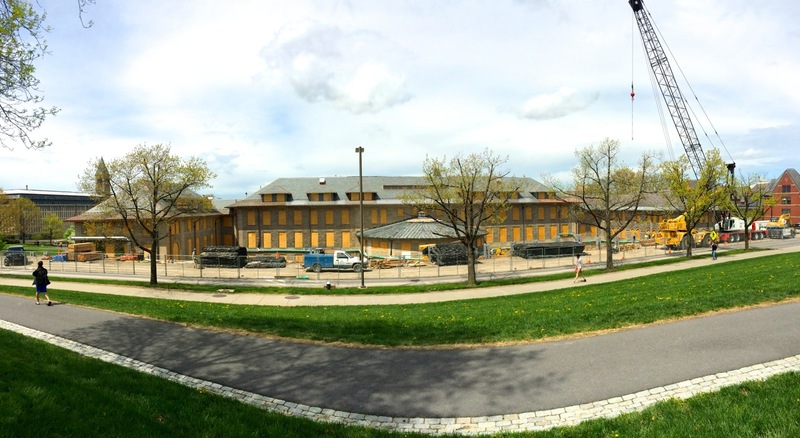 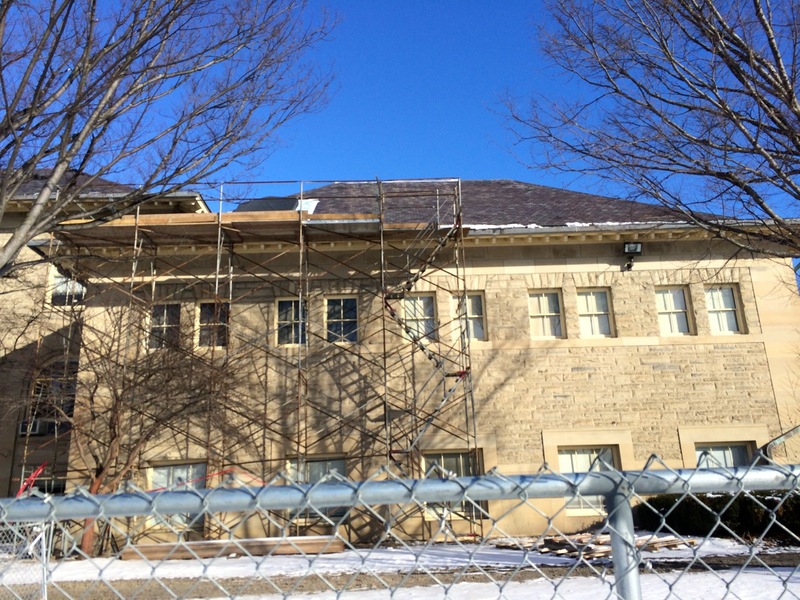 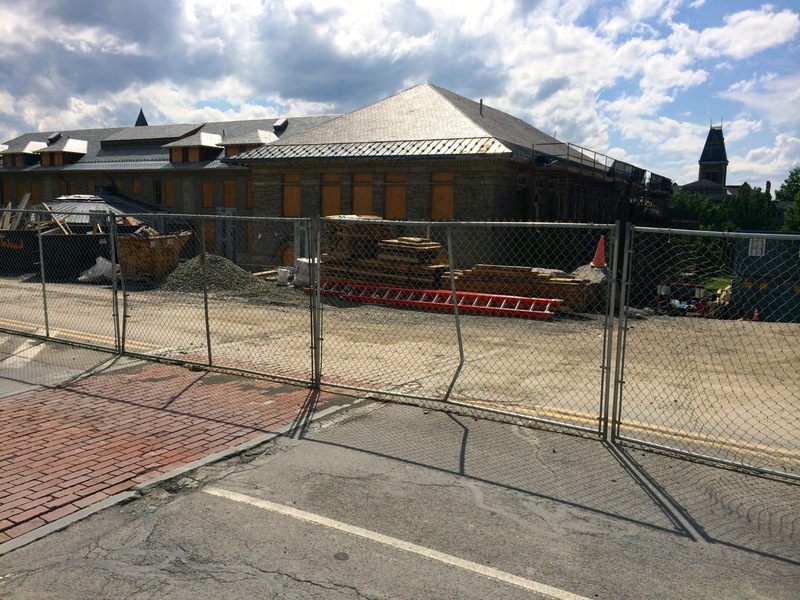 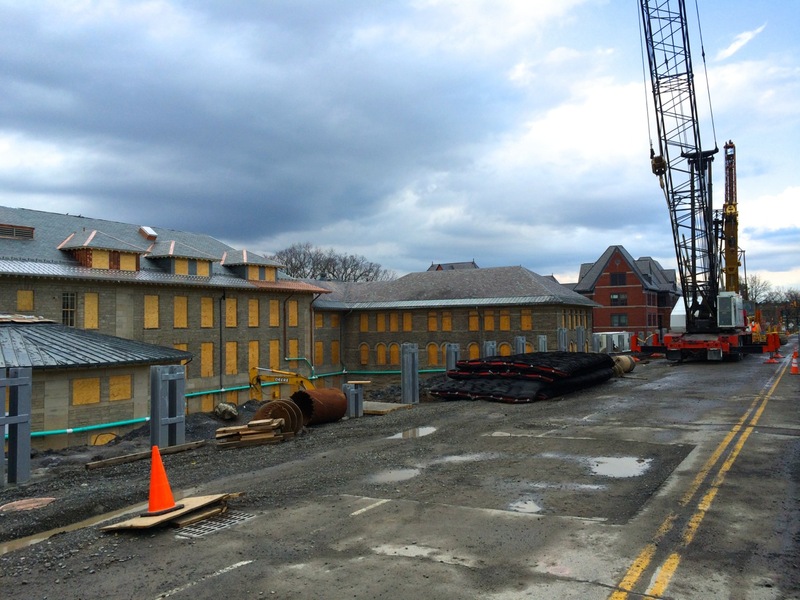 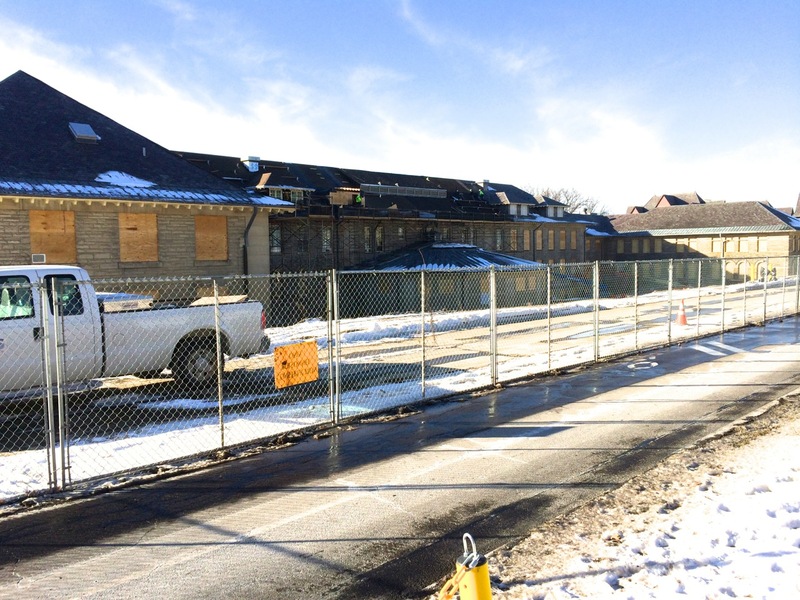 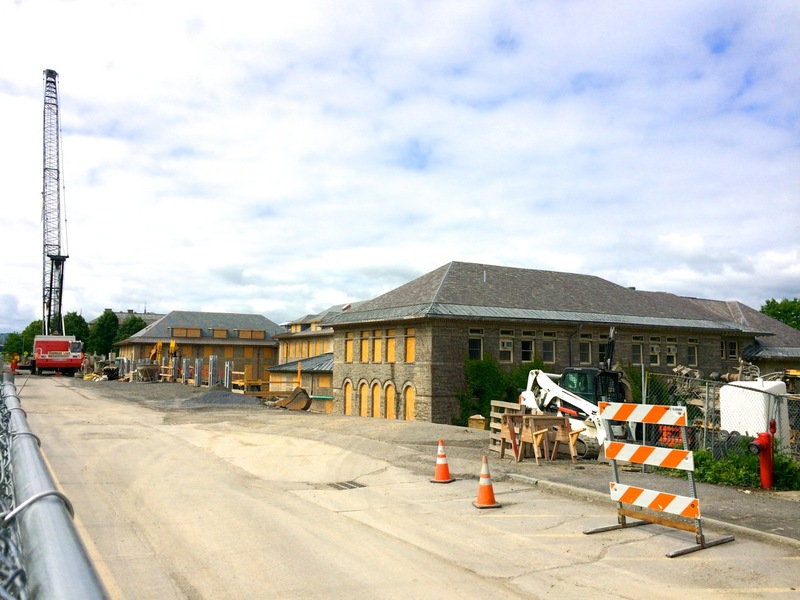 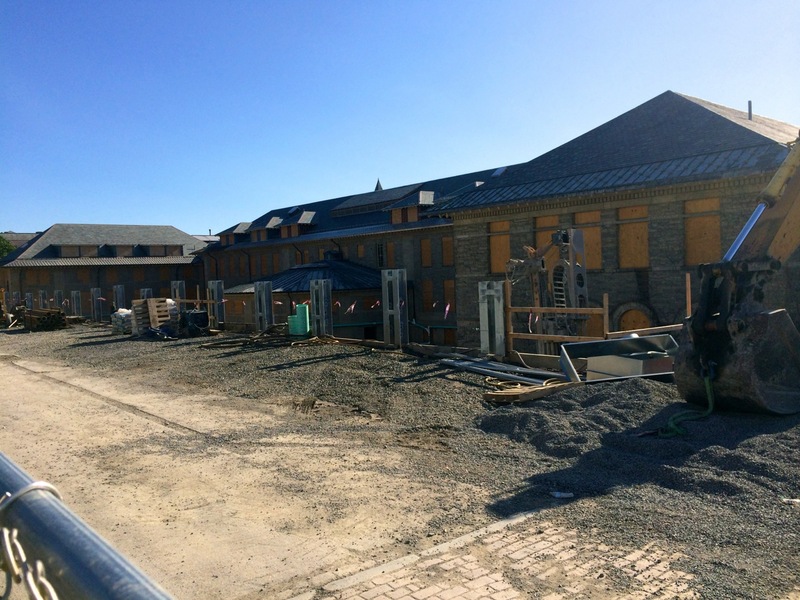 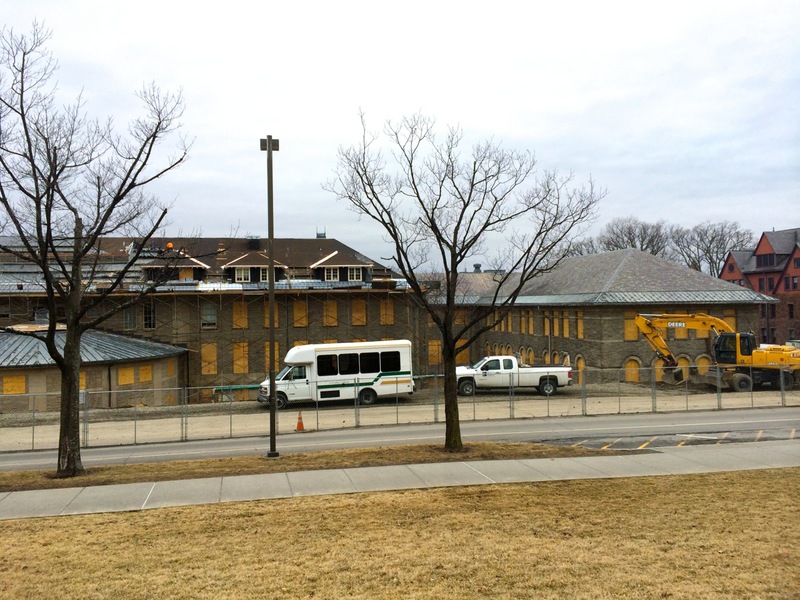 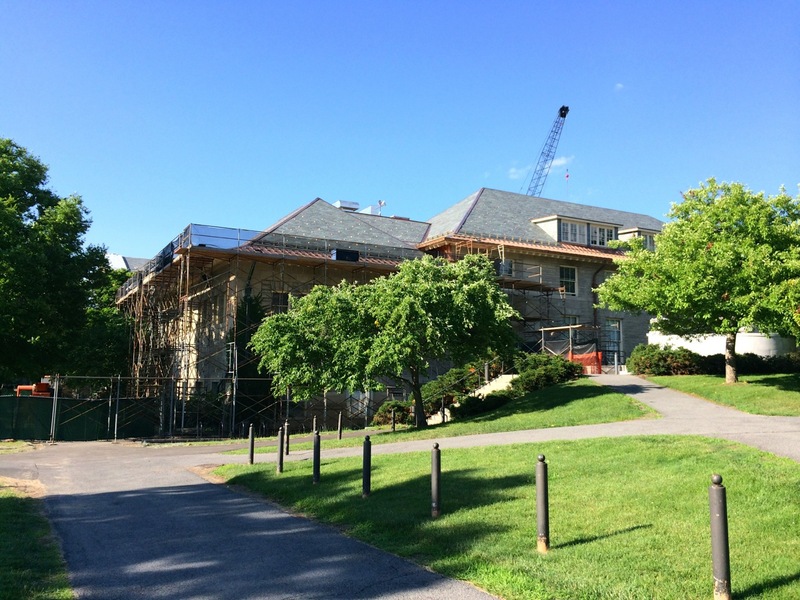 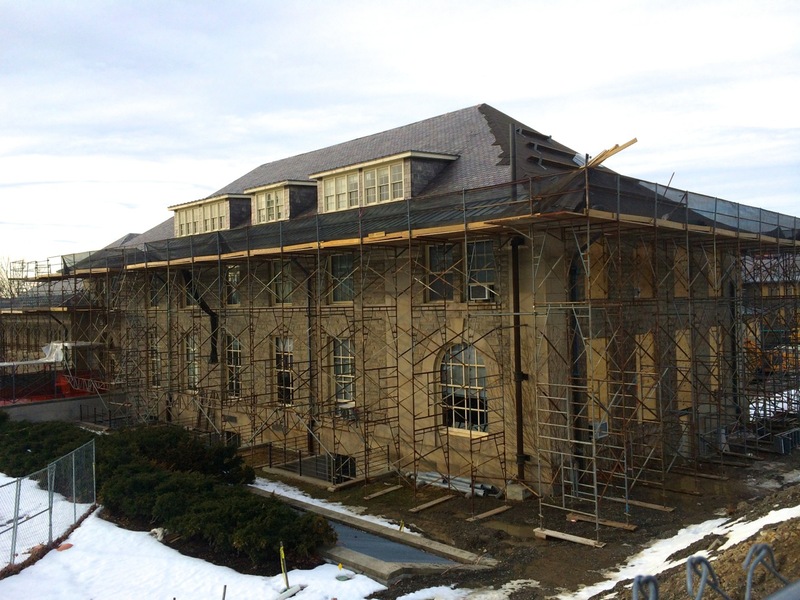 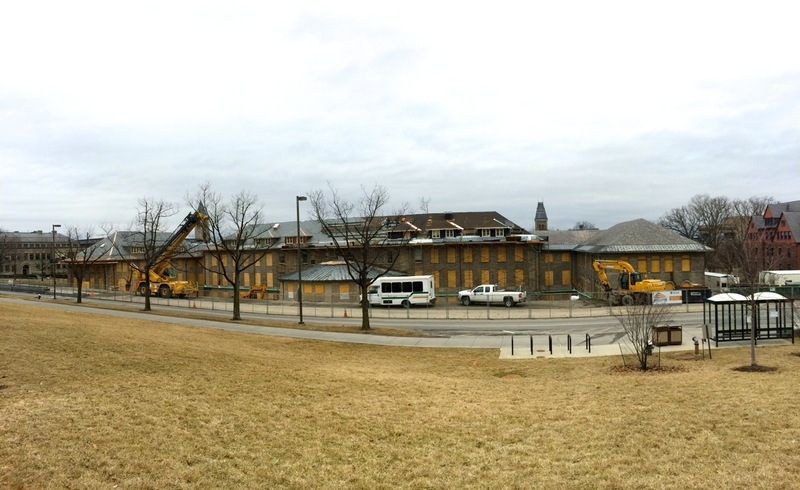 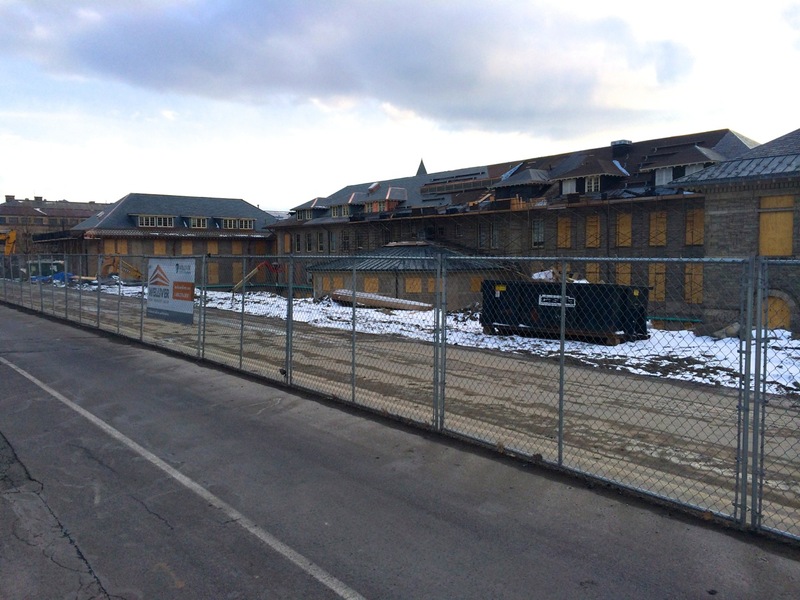 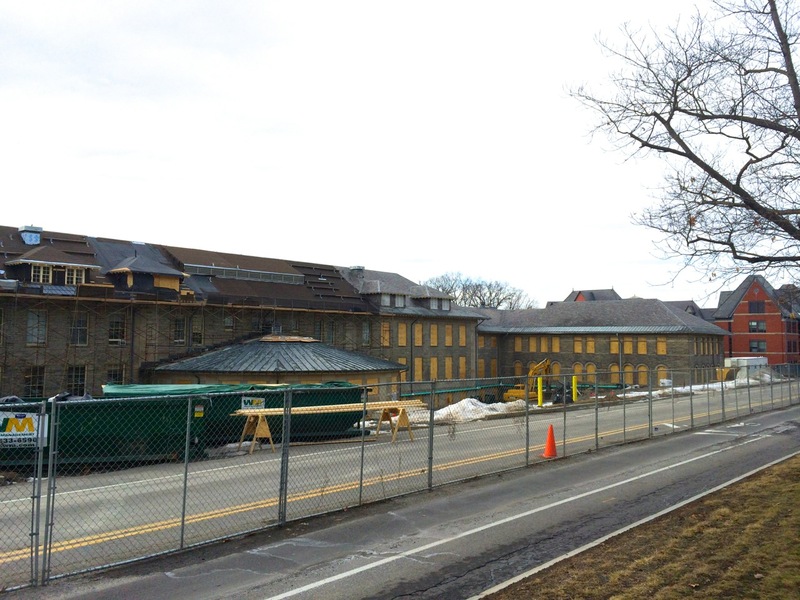 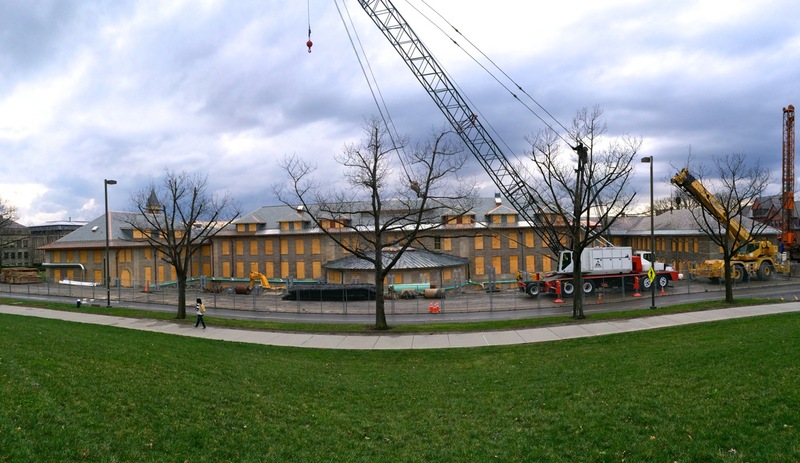 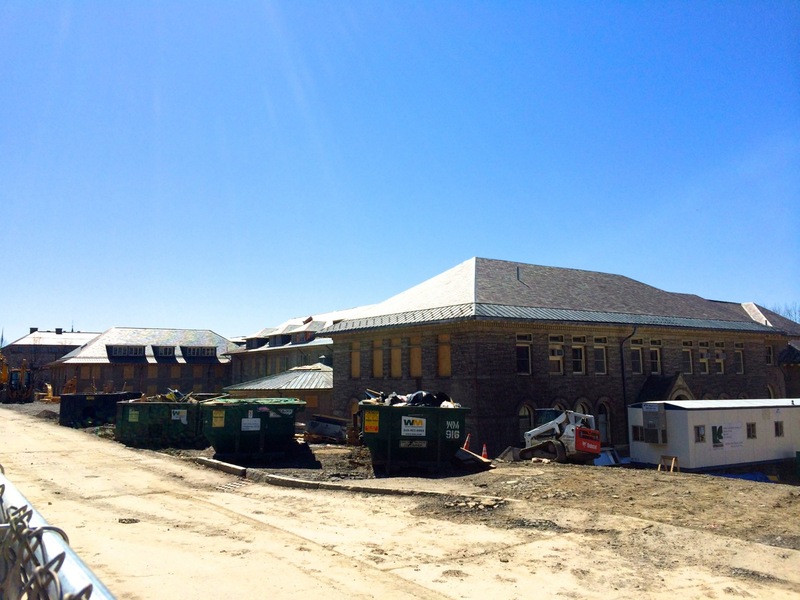 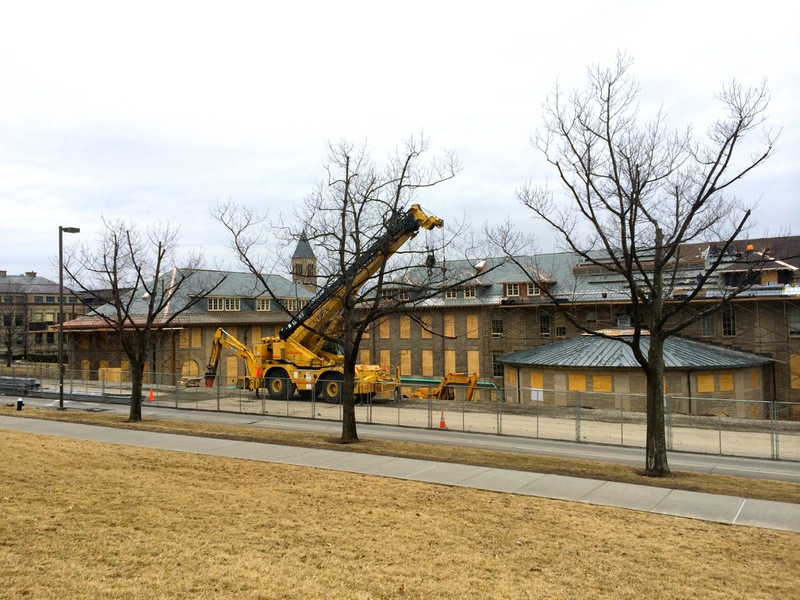 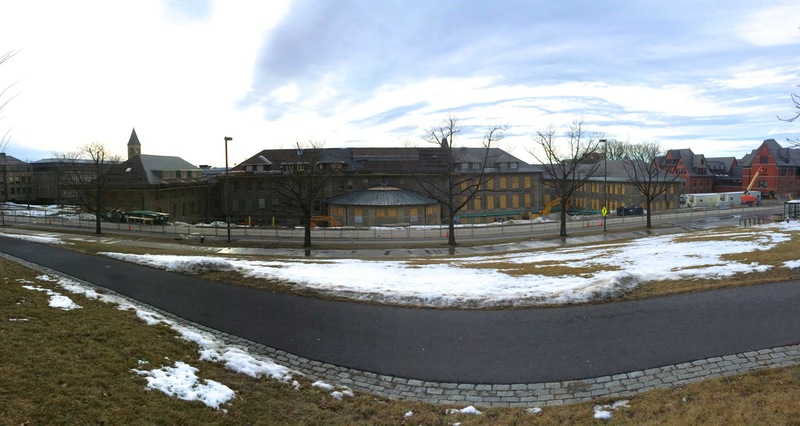 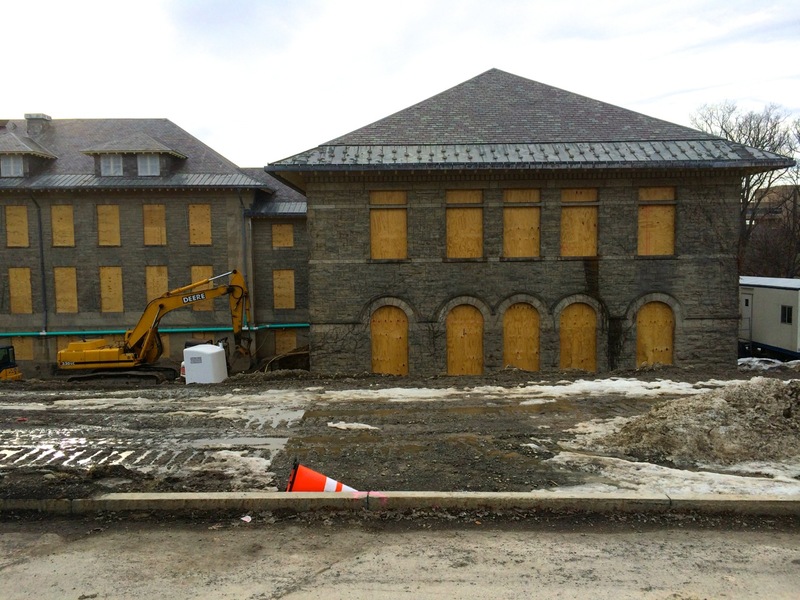 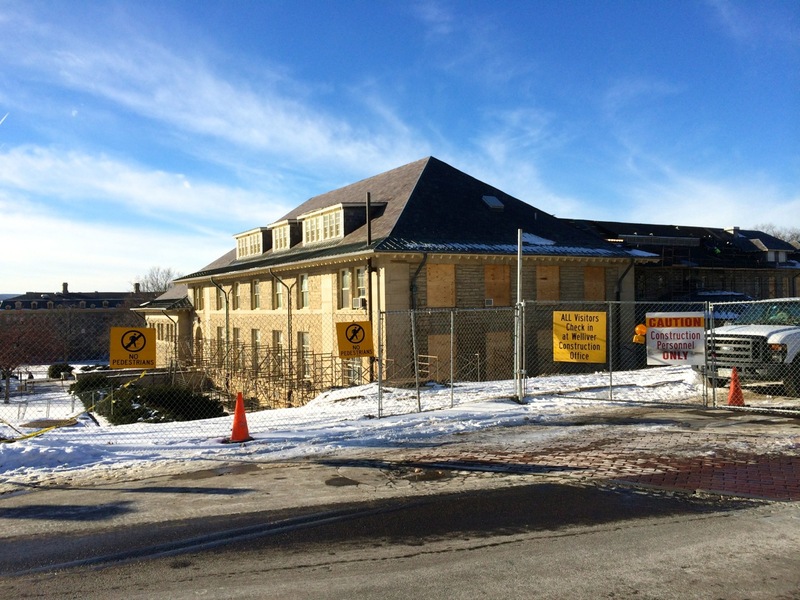 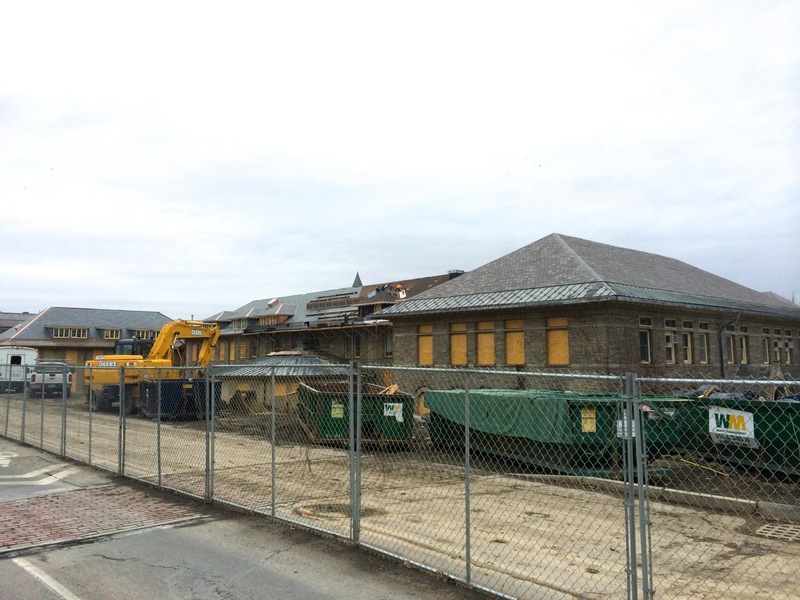 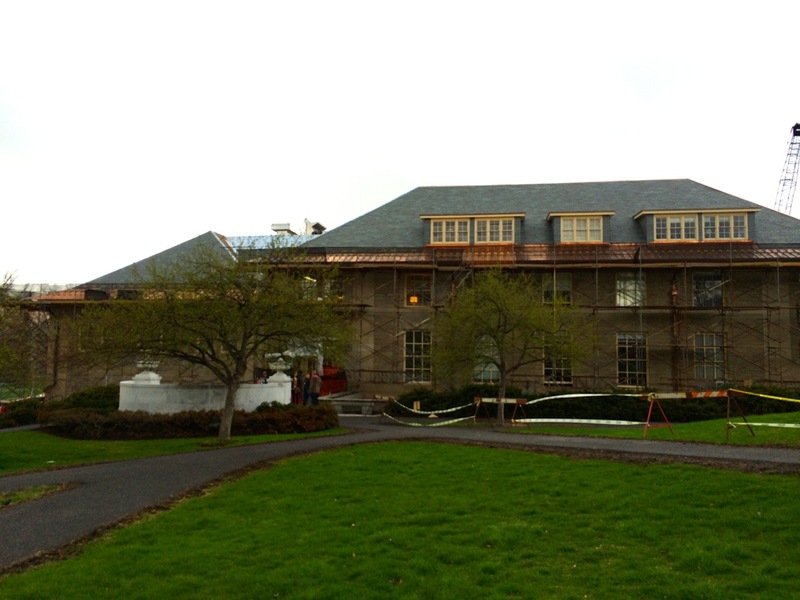 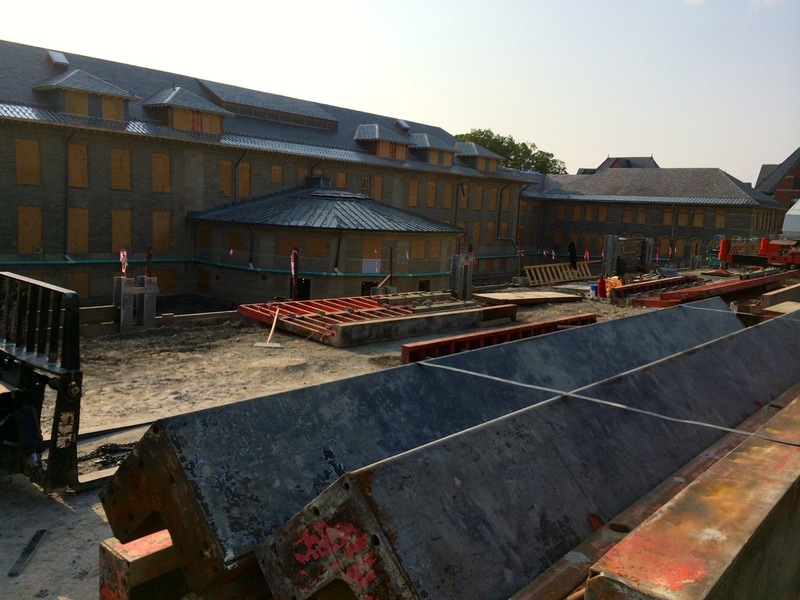 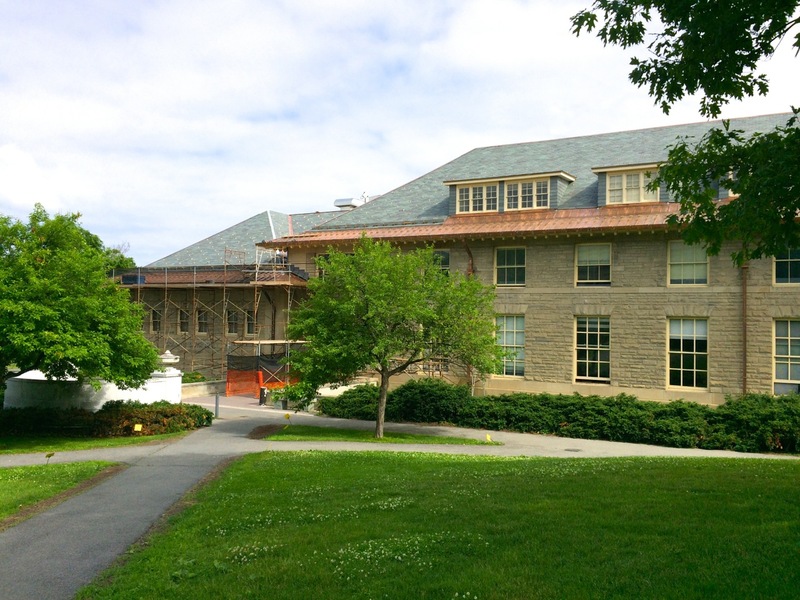 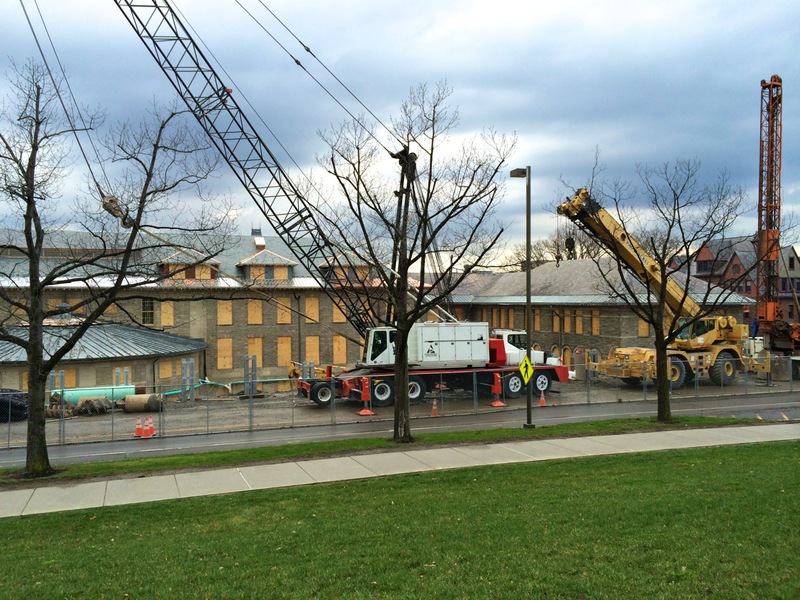 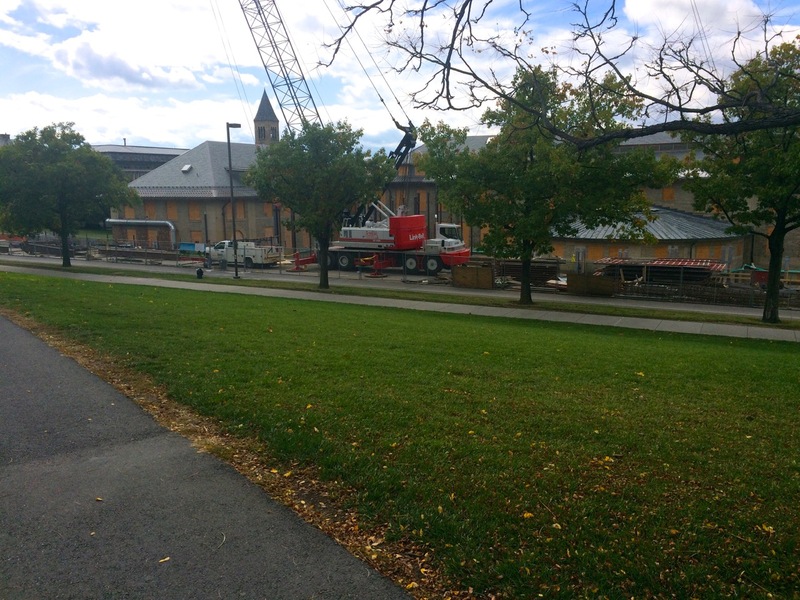 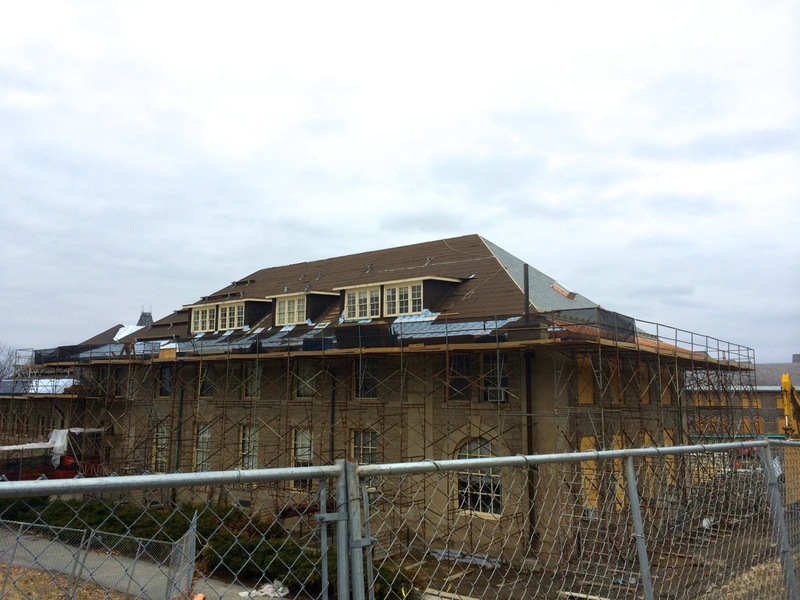 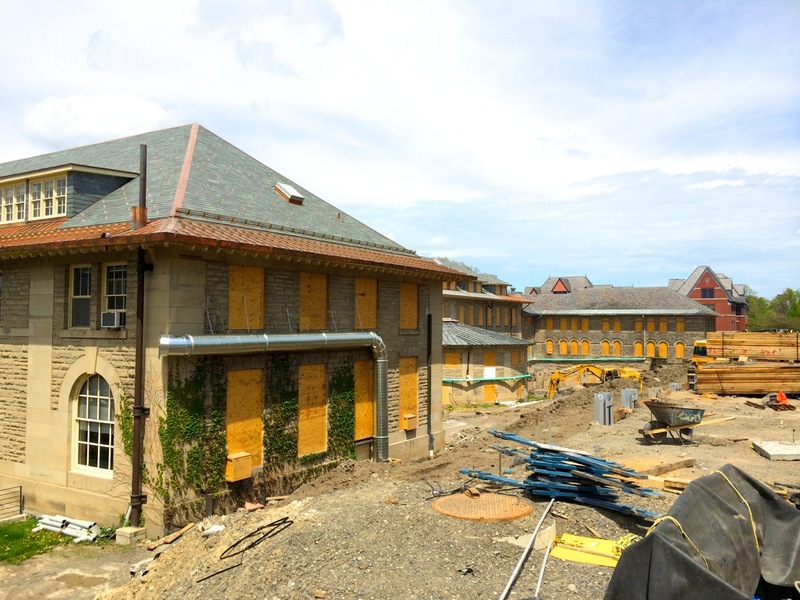 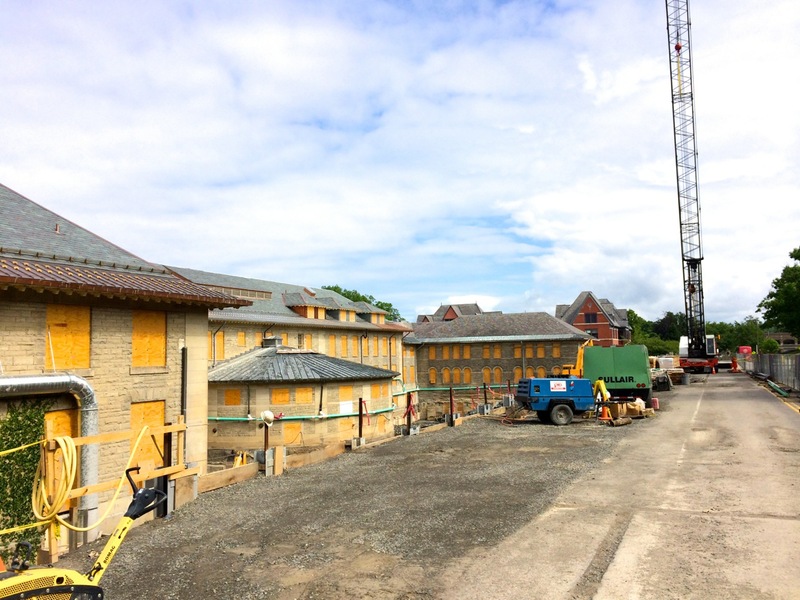 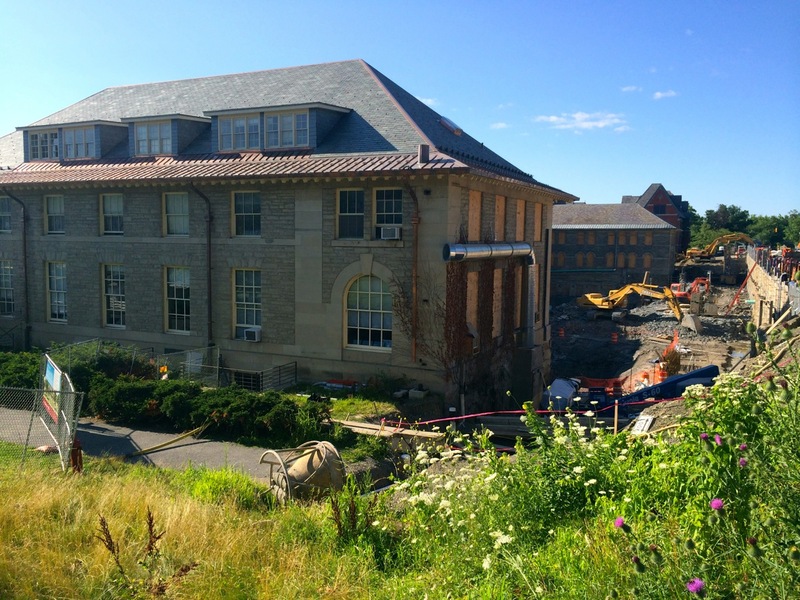 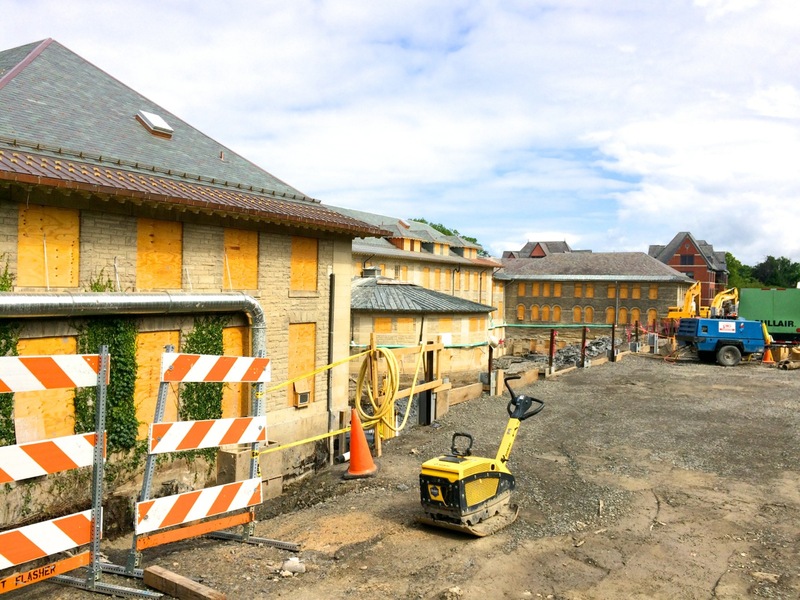 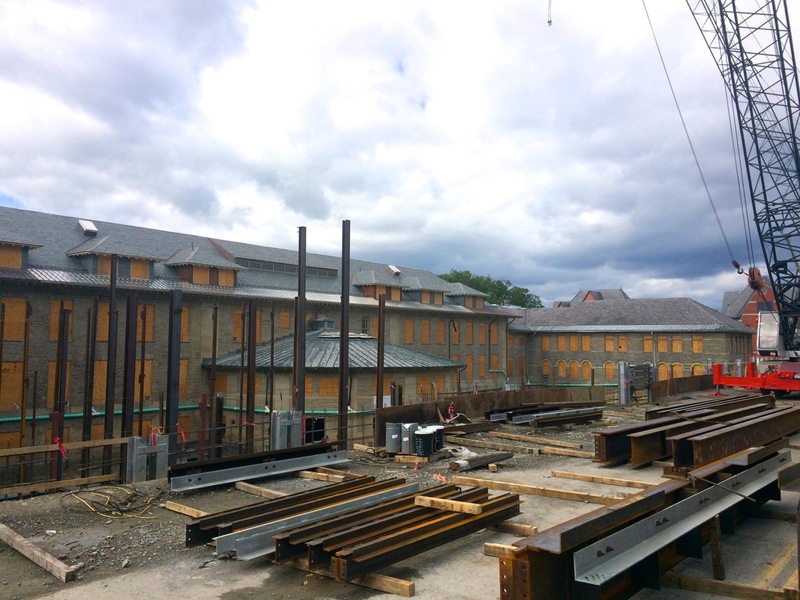 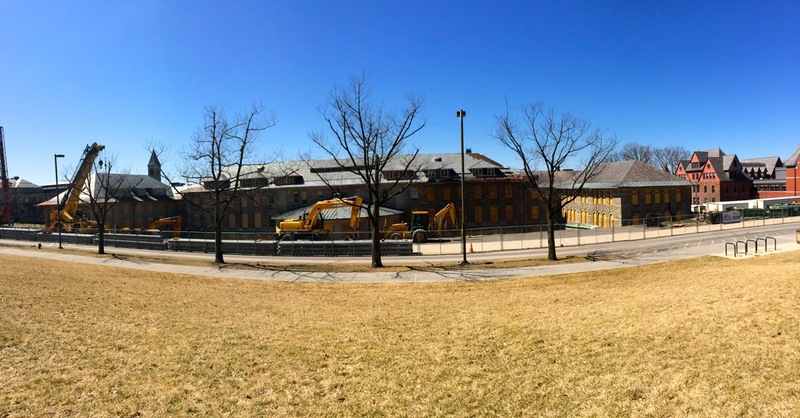 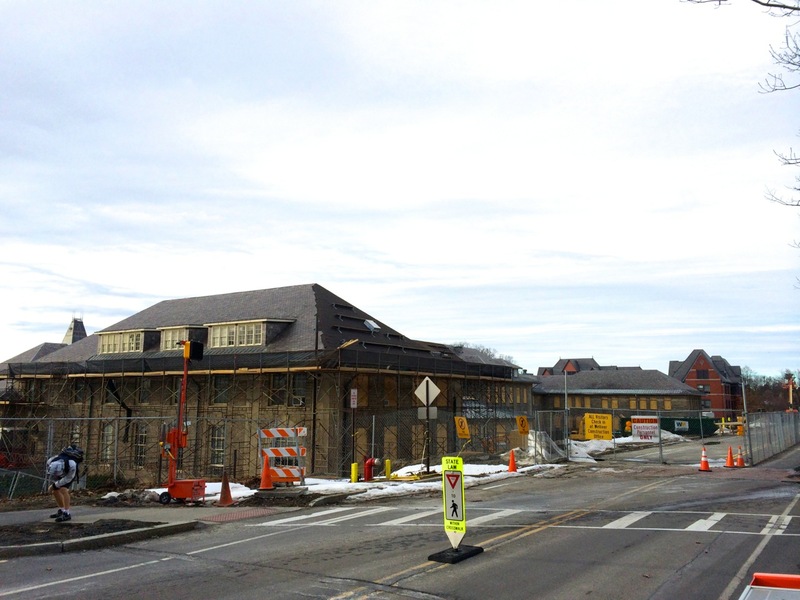 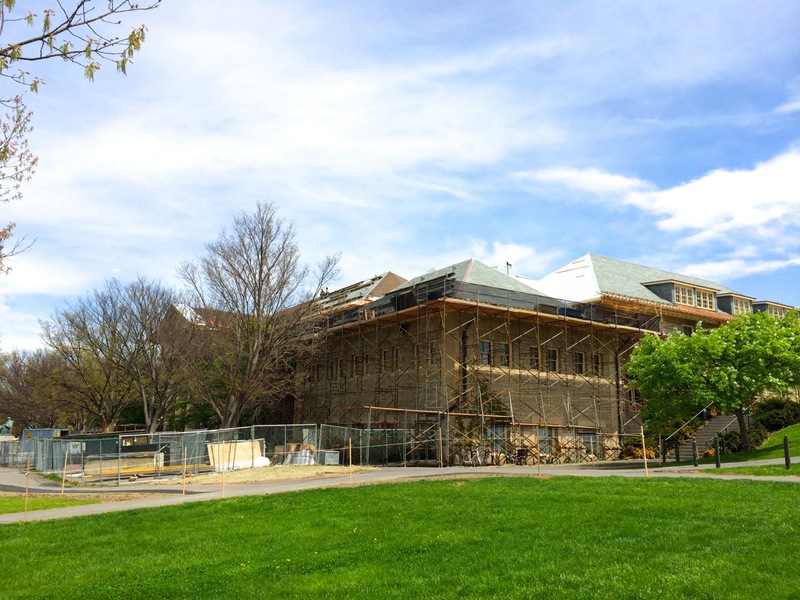 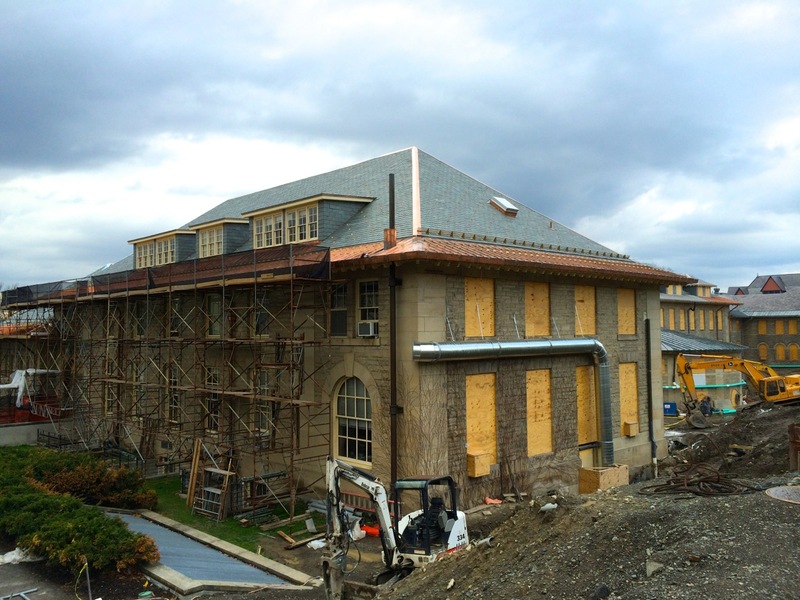 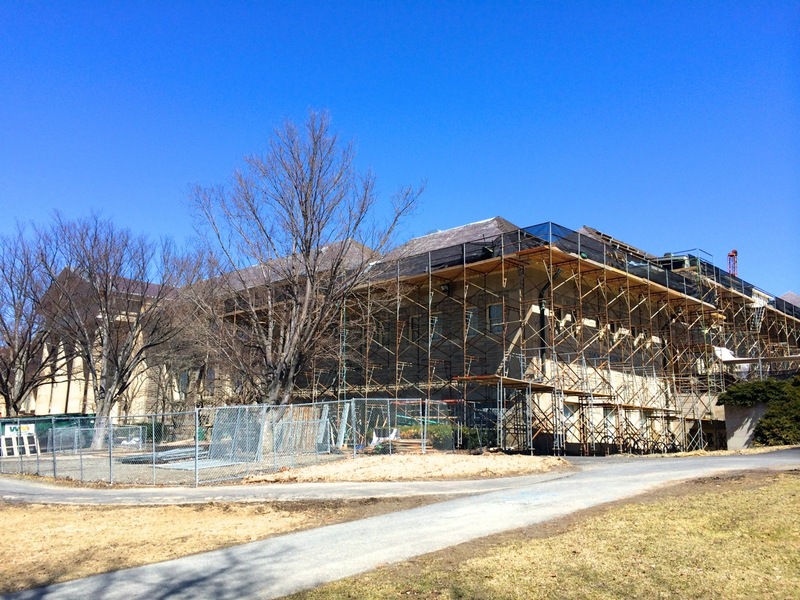 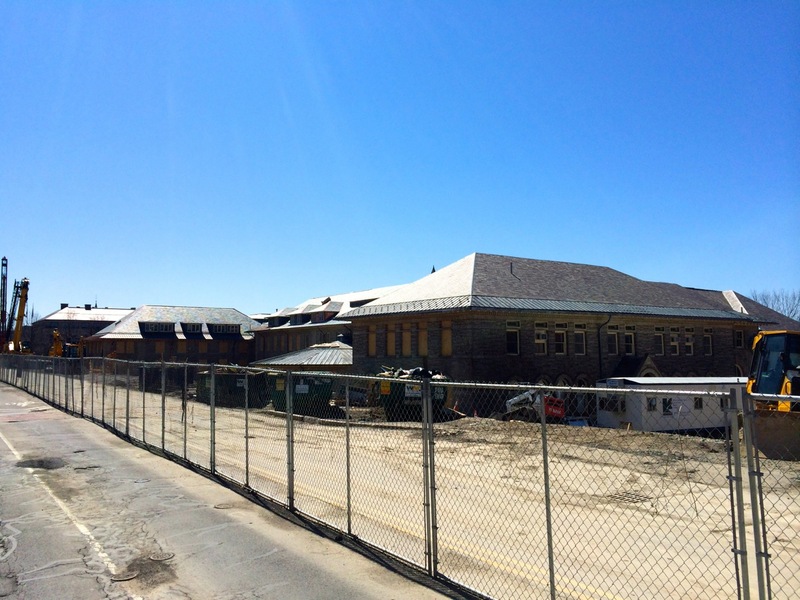 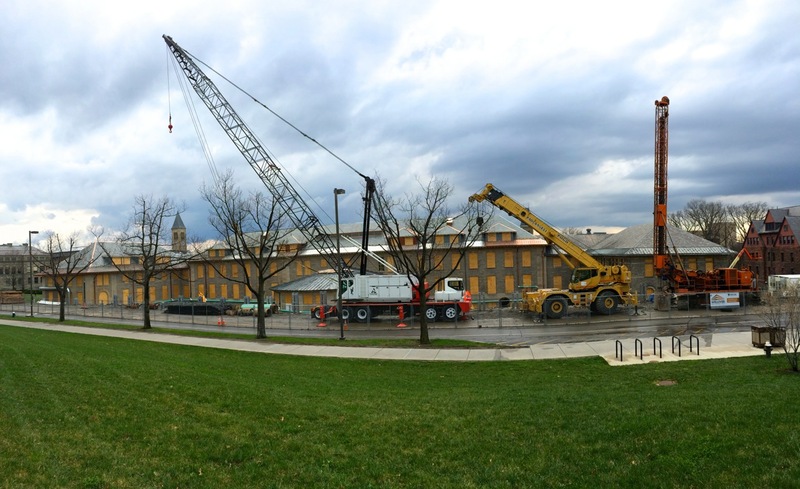 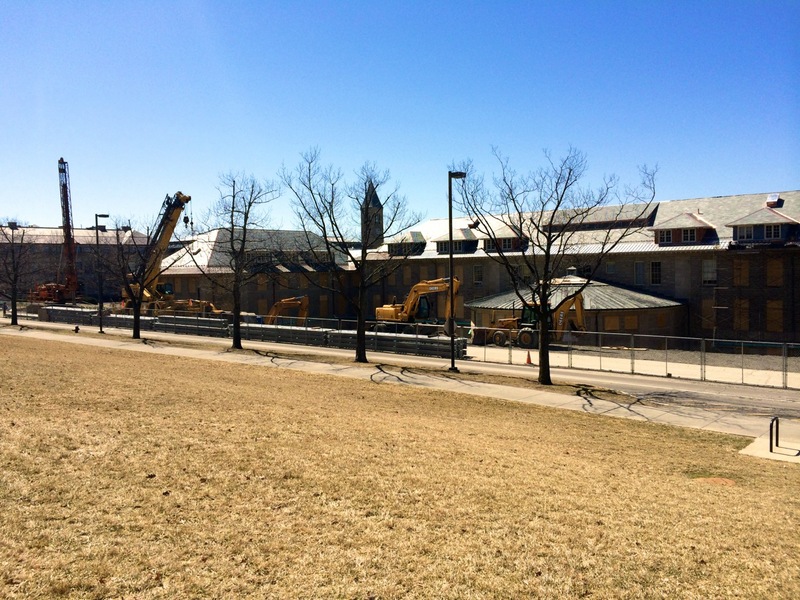 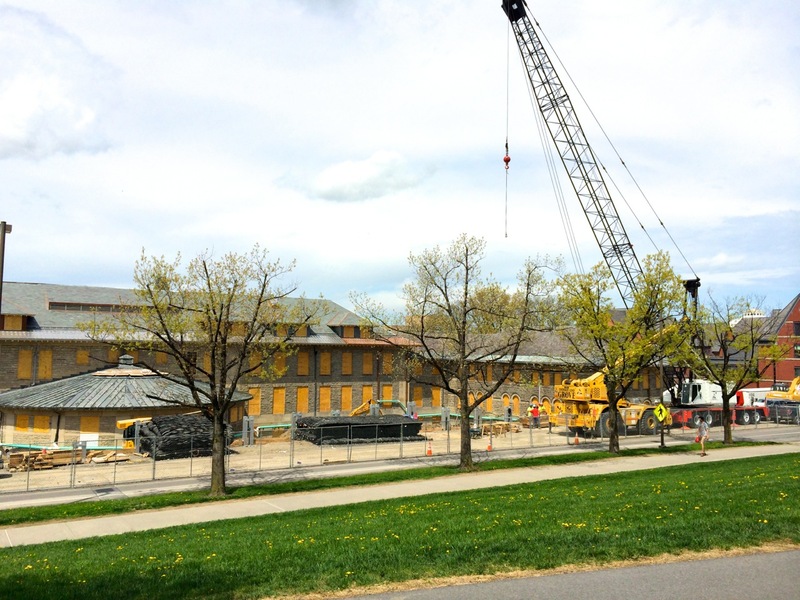 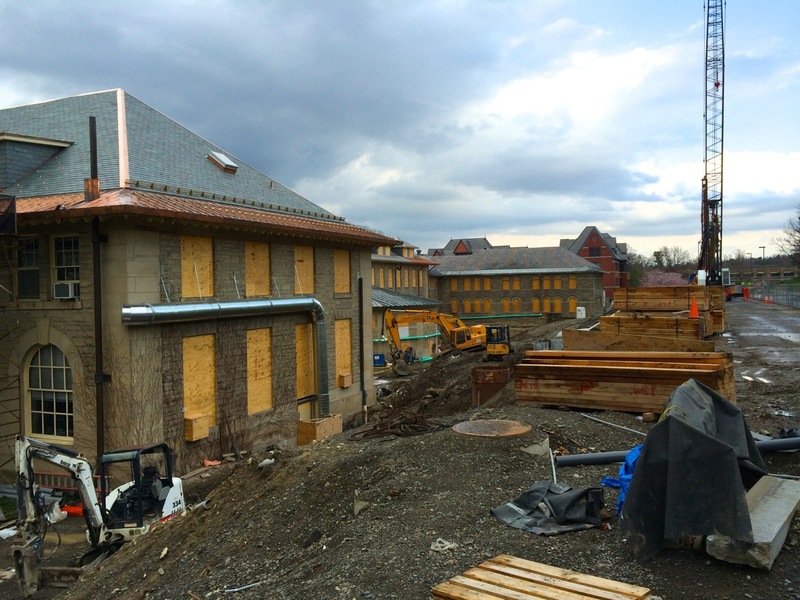 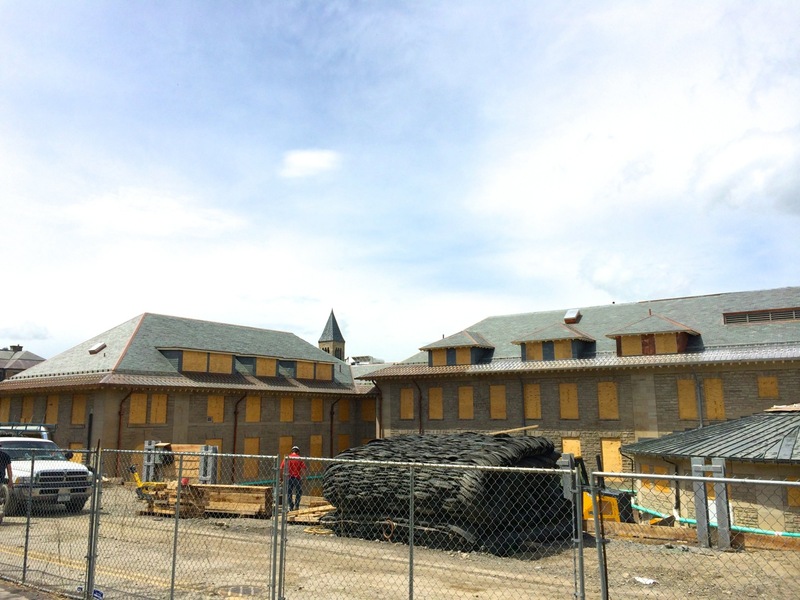 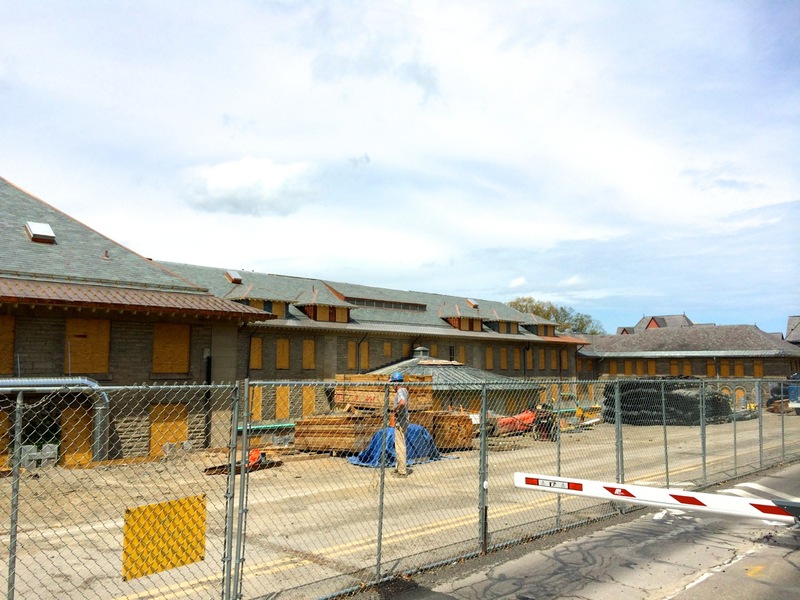 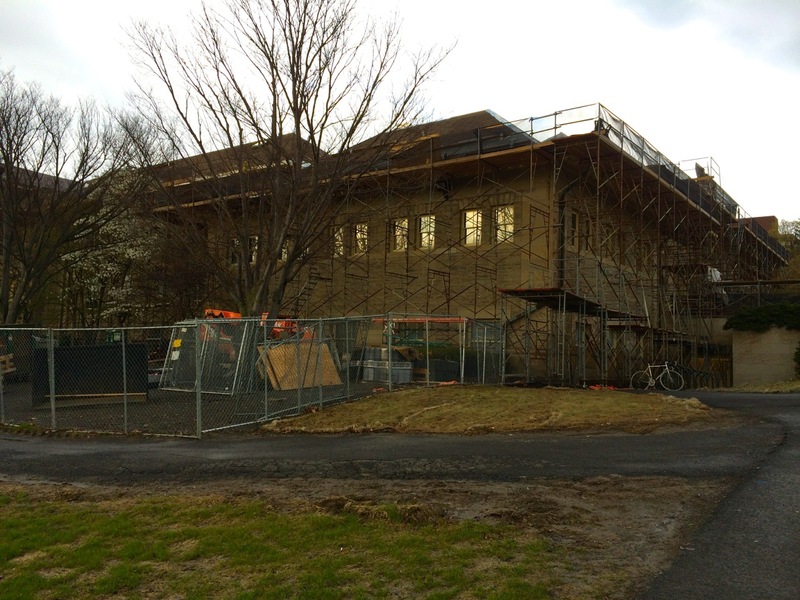 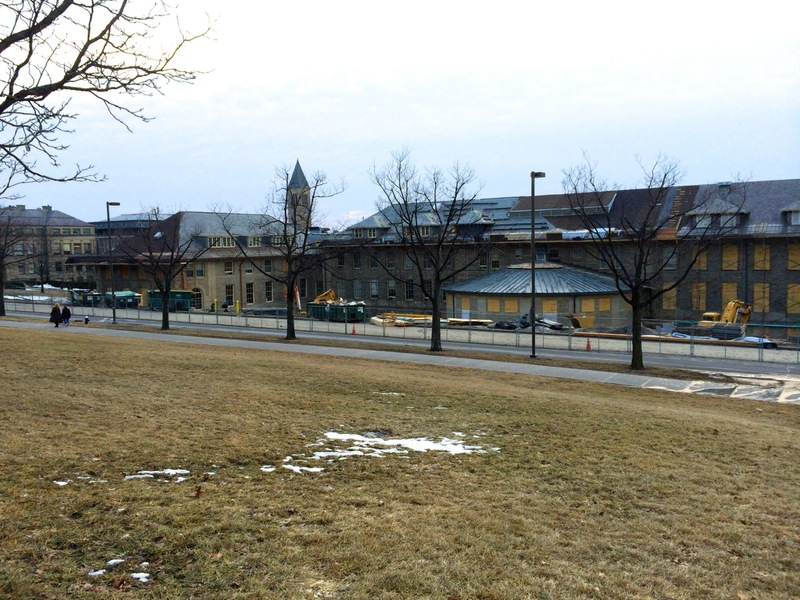 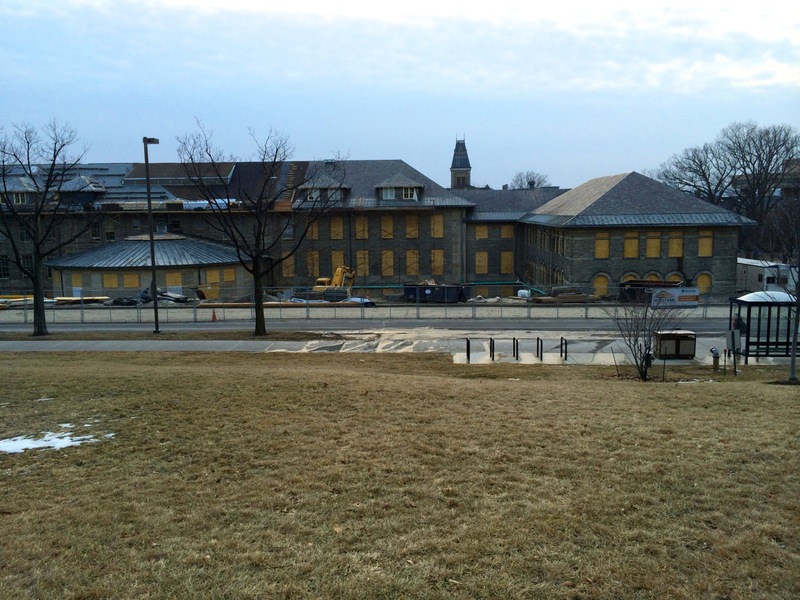 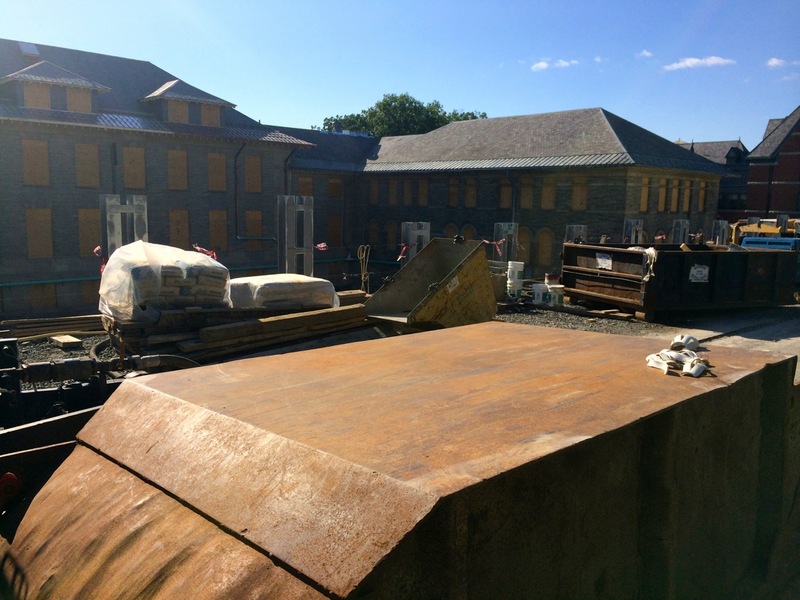 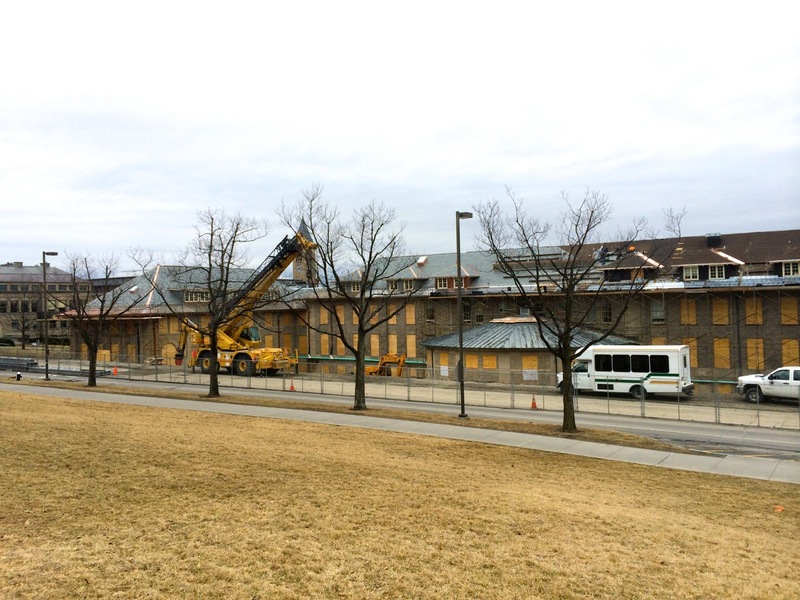 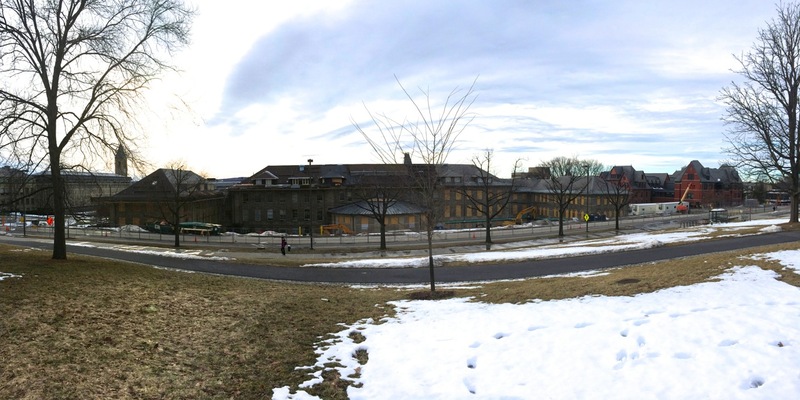 Goldwin Smith Hall’s central eastern-side roof has progressed with re-slating and new metal roofing installation, which will continue along that end, and also the south wing’s southern side. 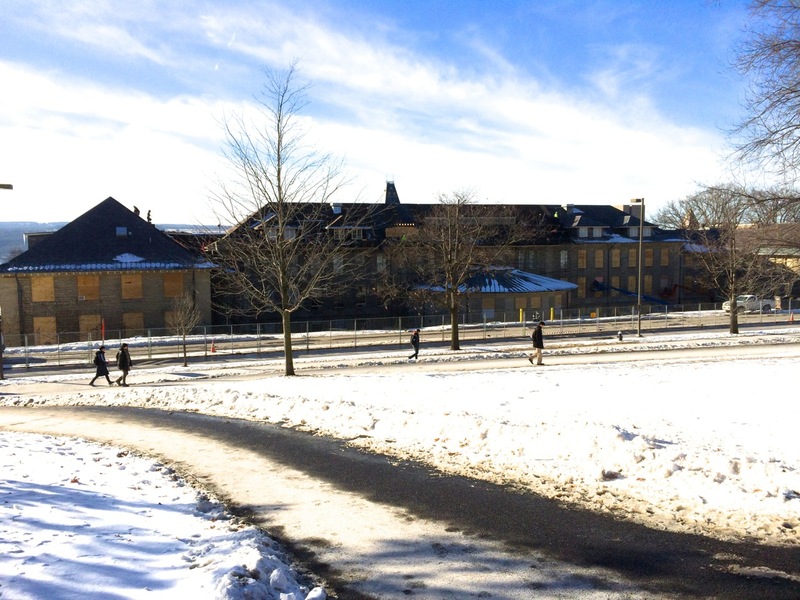 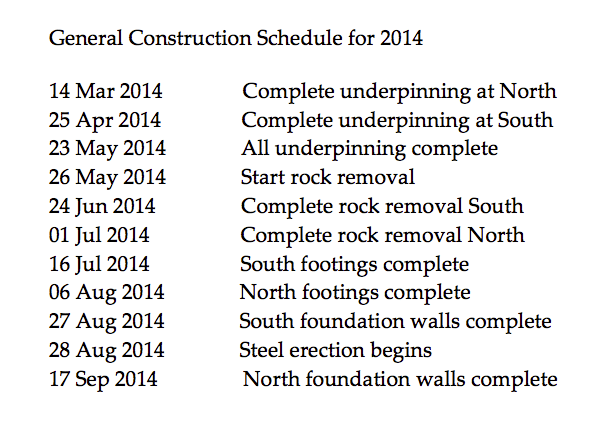 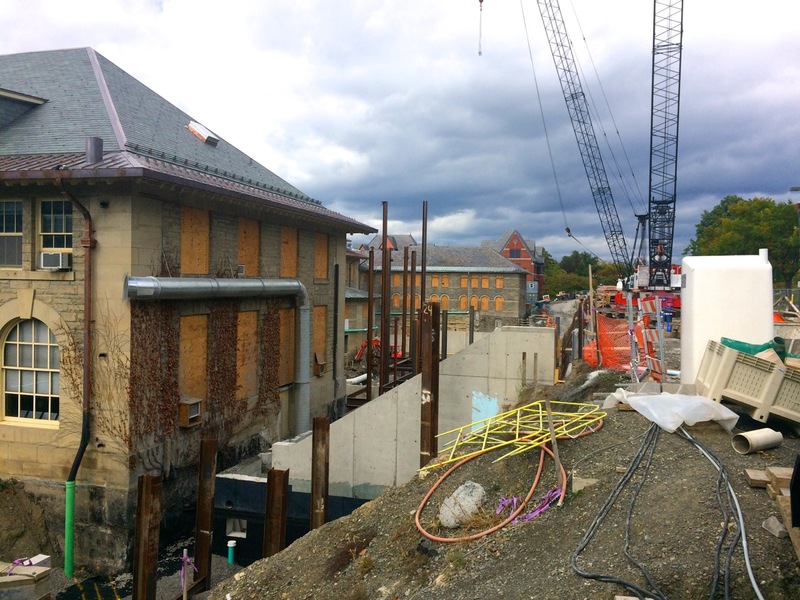 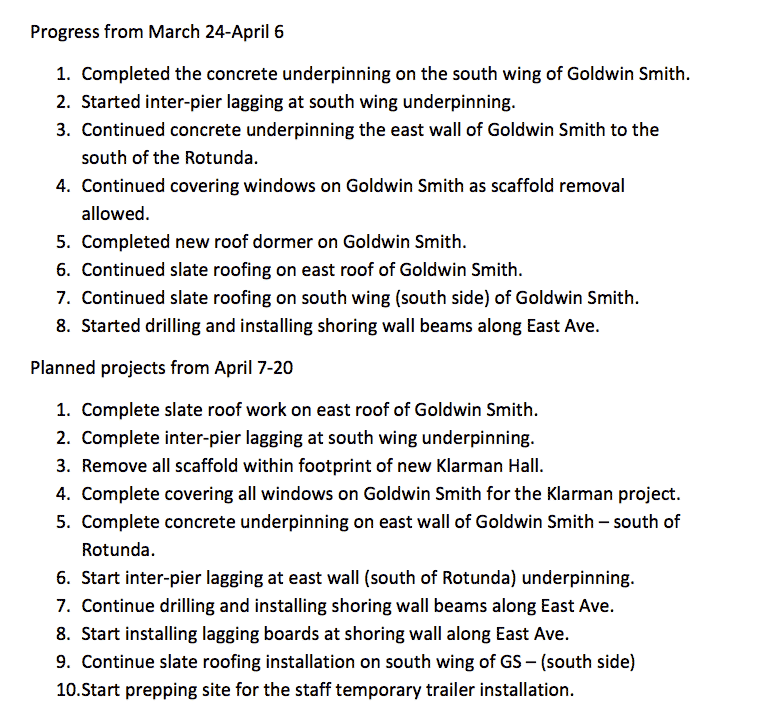 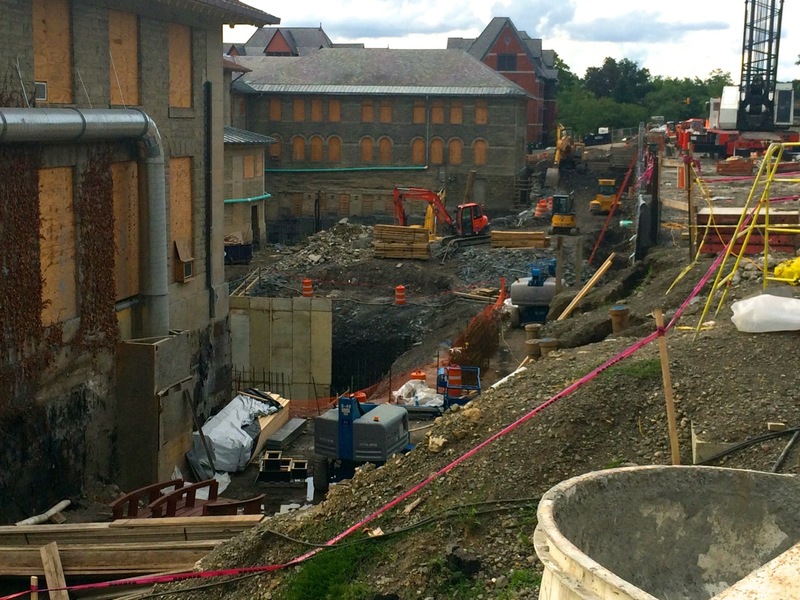 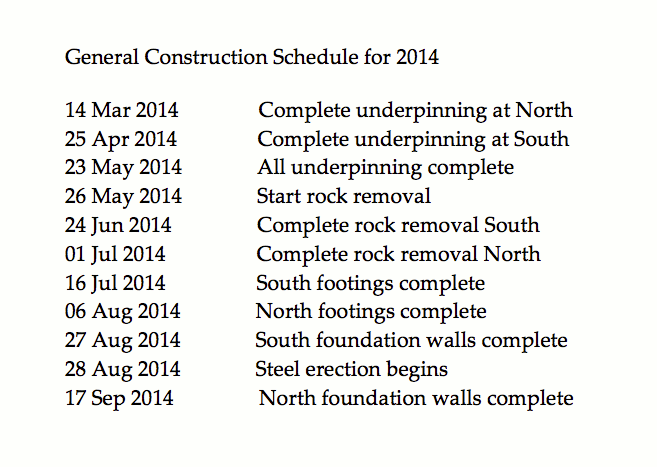 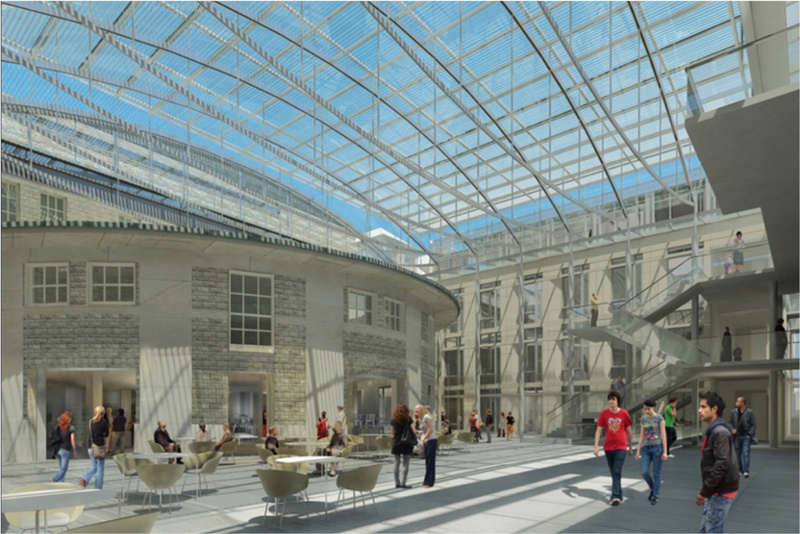 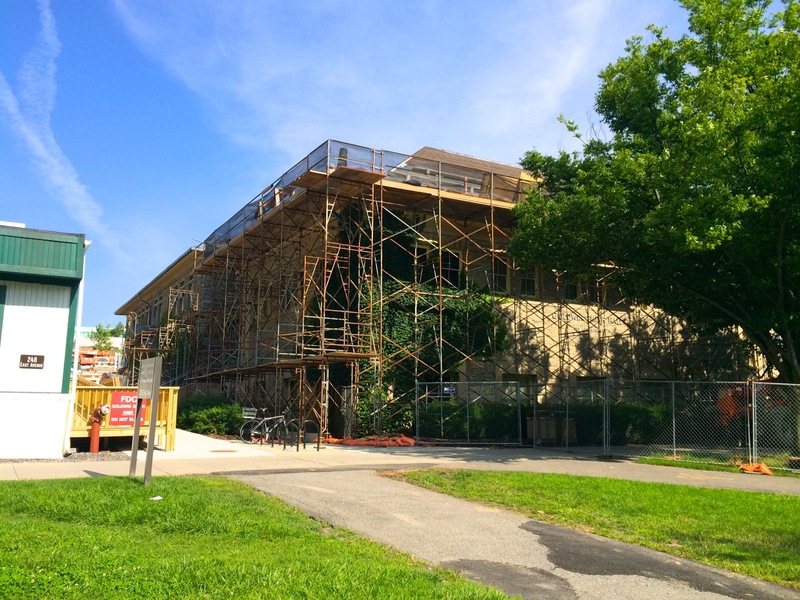 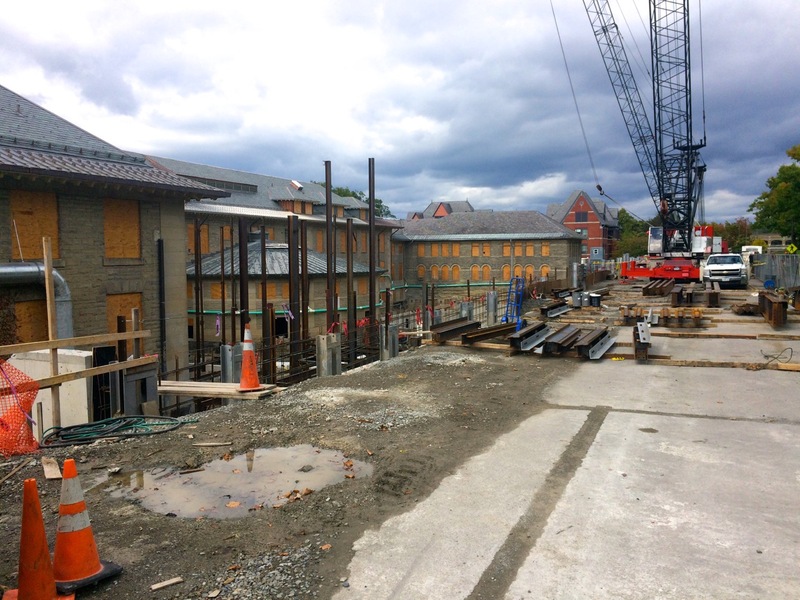 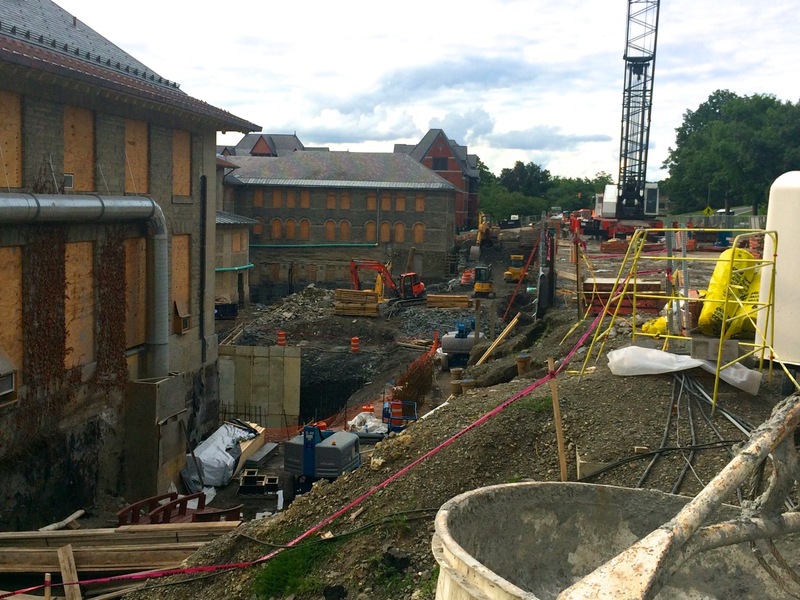 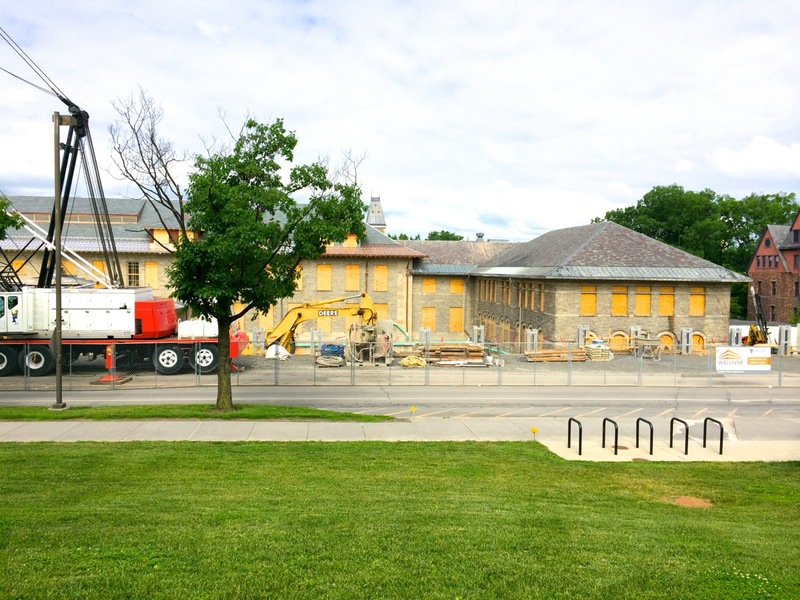 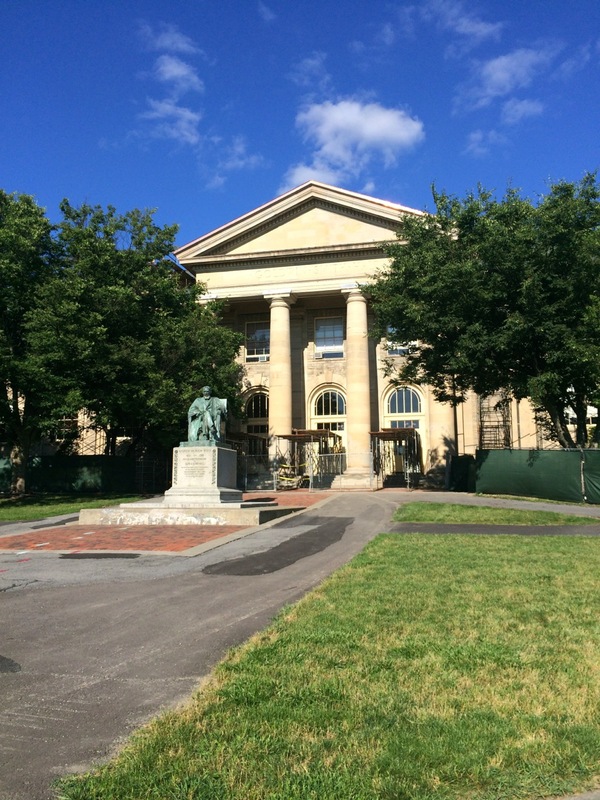 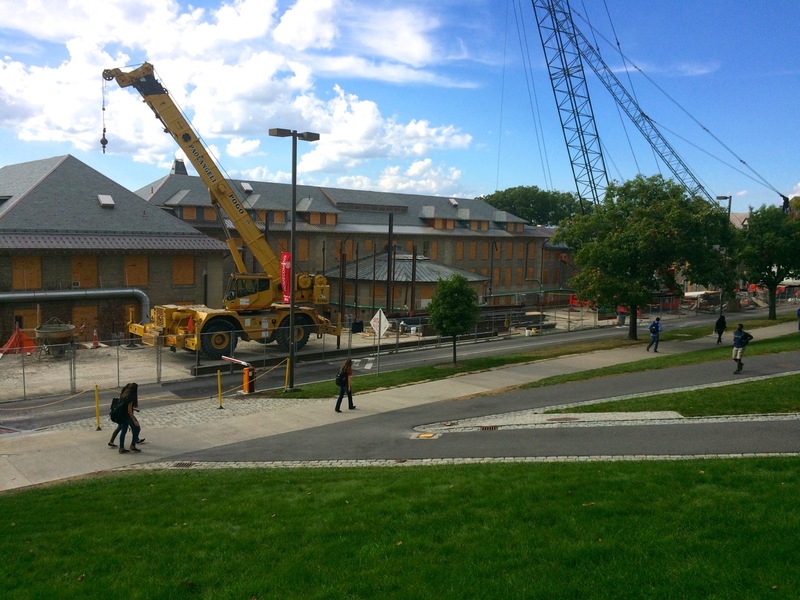 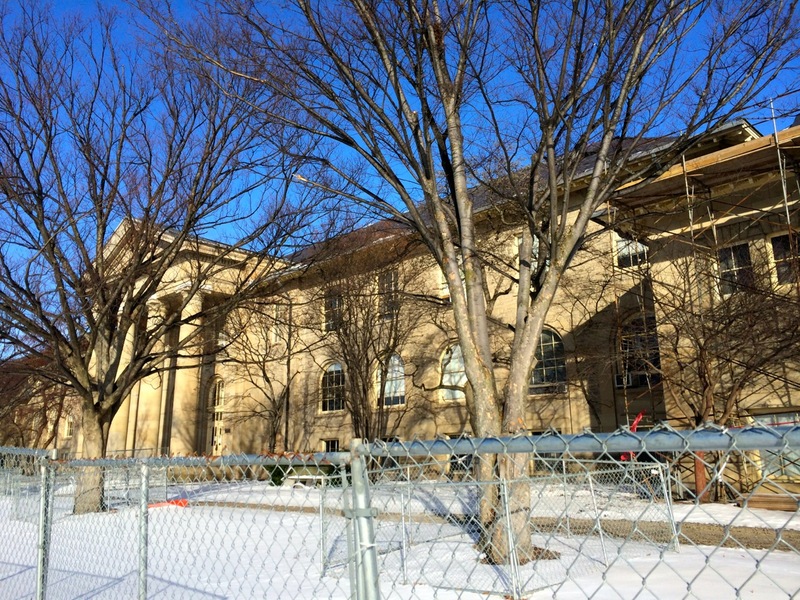 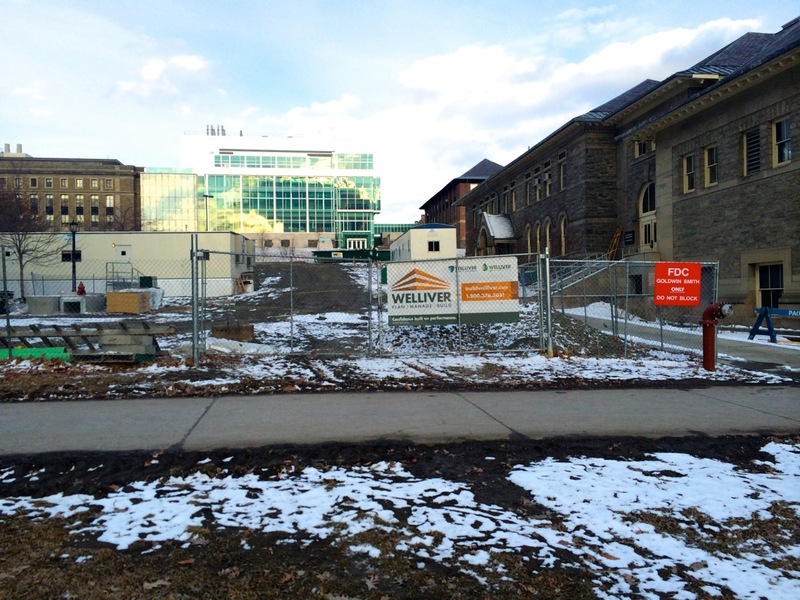 The schedule indicates that underpinnings on the south wing of Goldwin Smith Hall have been completed, and will continue along the rotunda area this month. 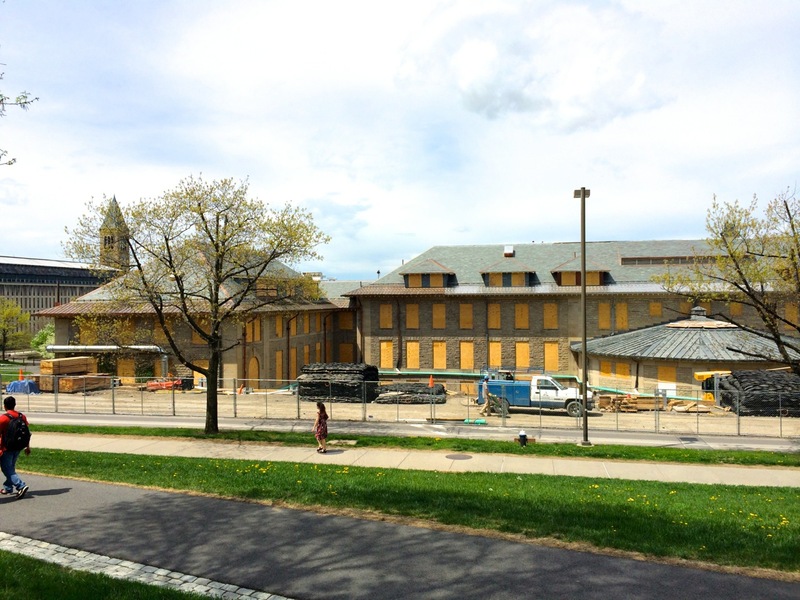 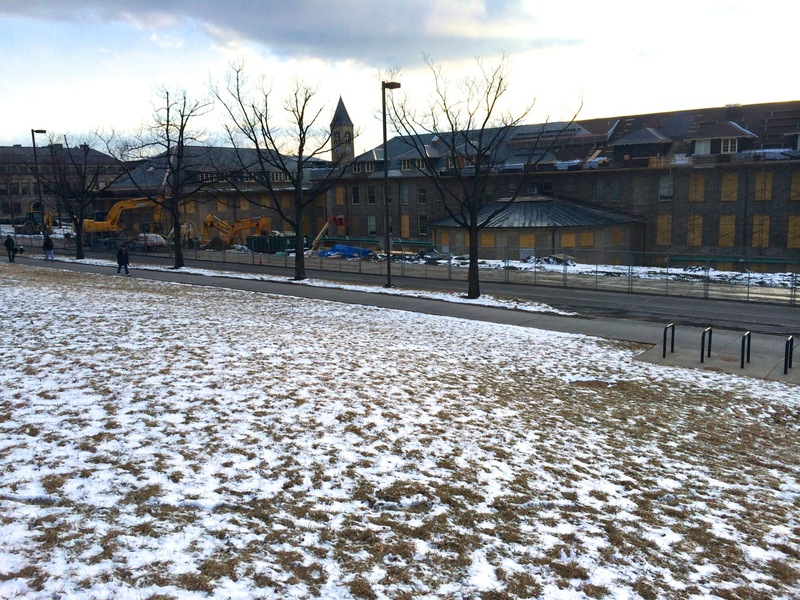 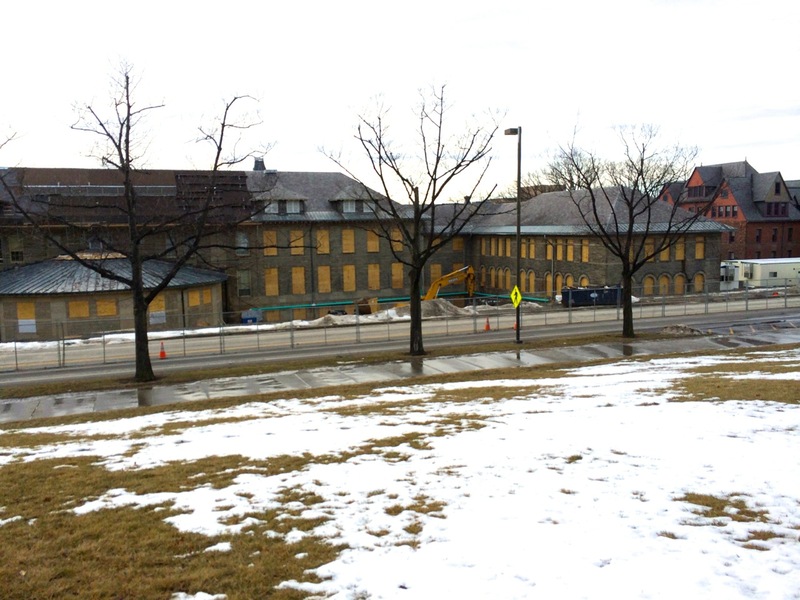 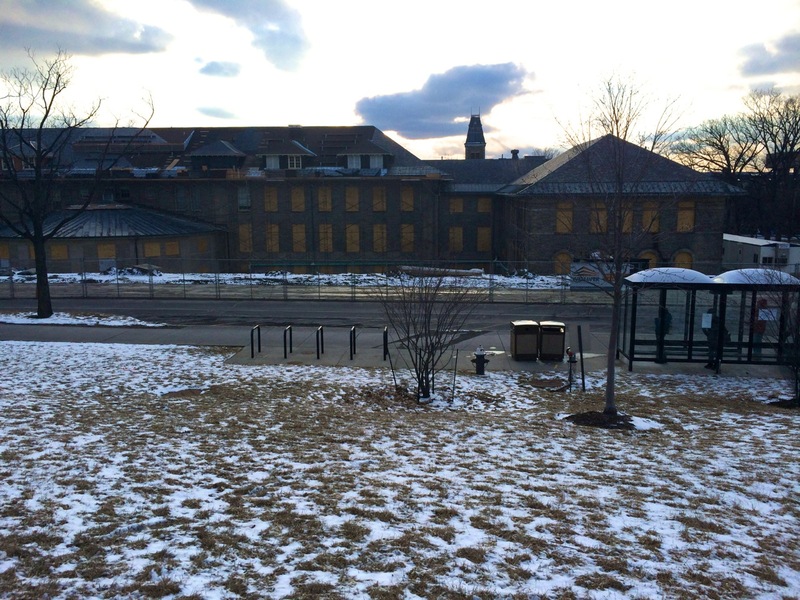 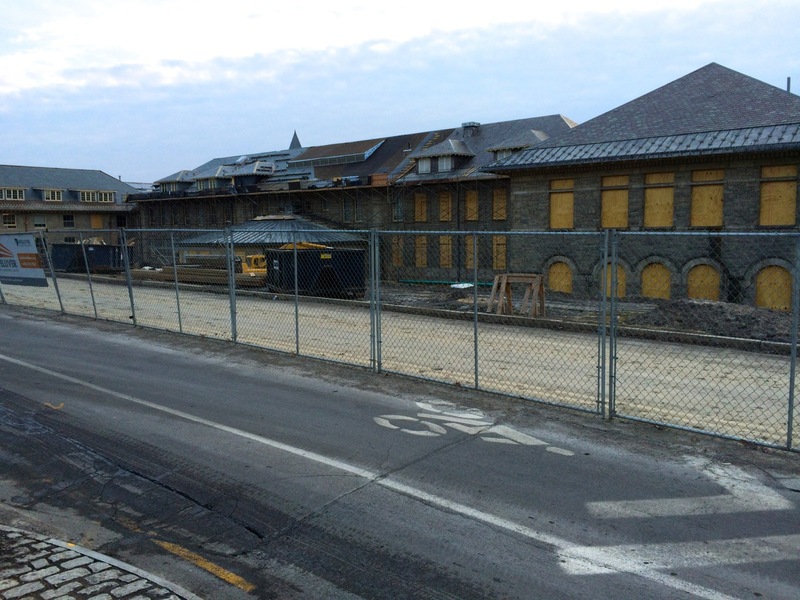 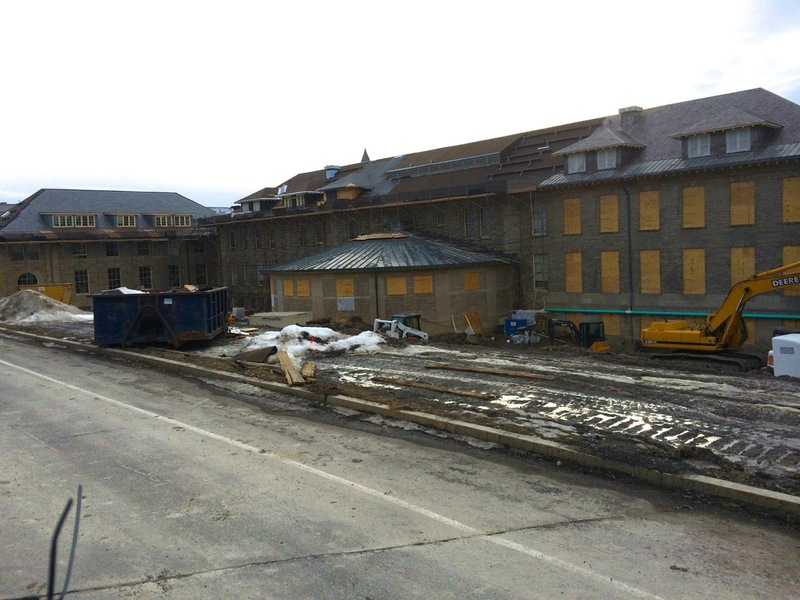 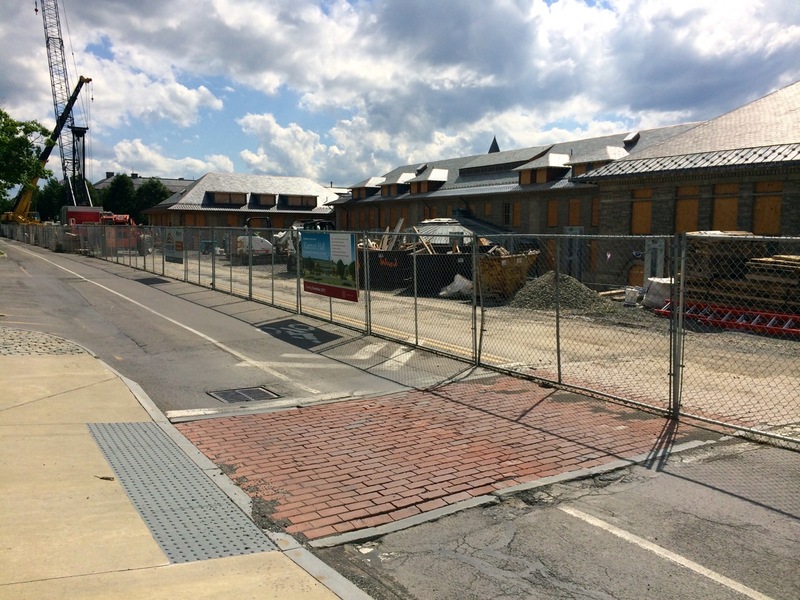 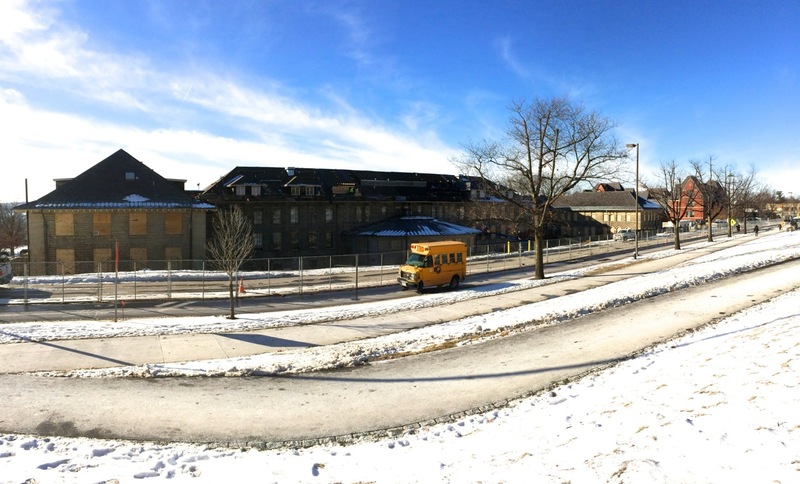 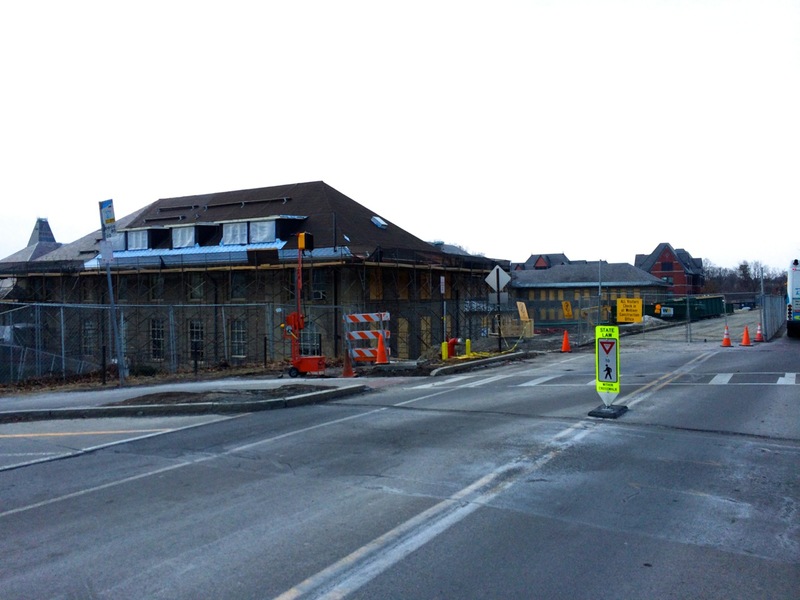 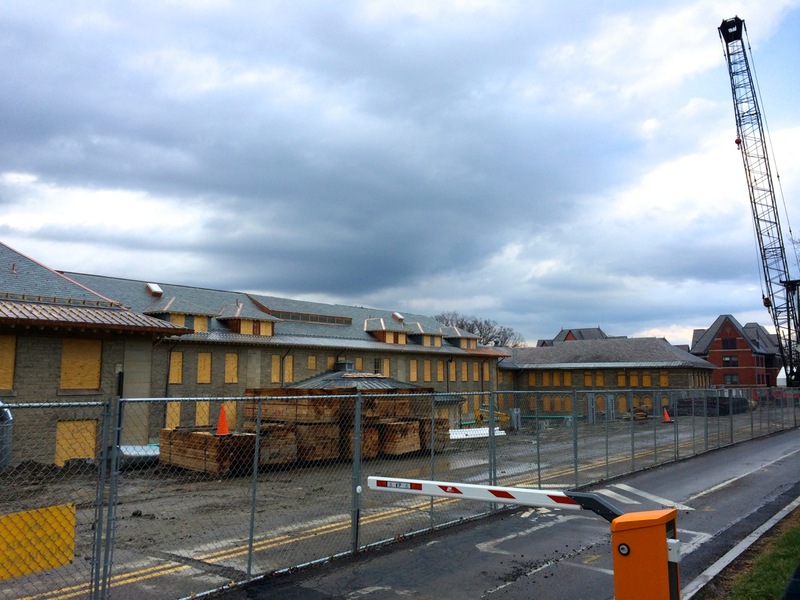 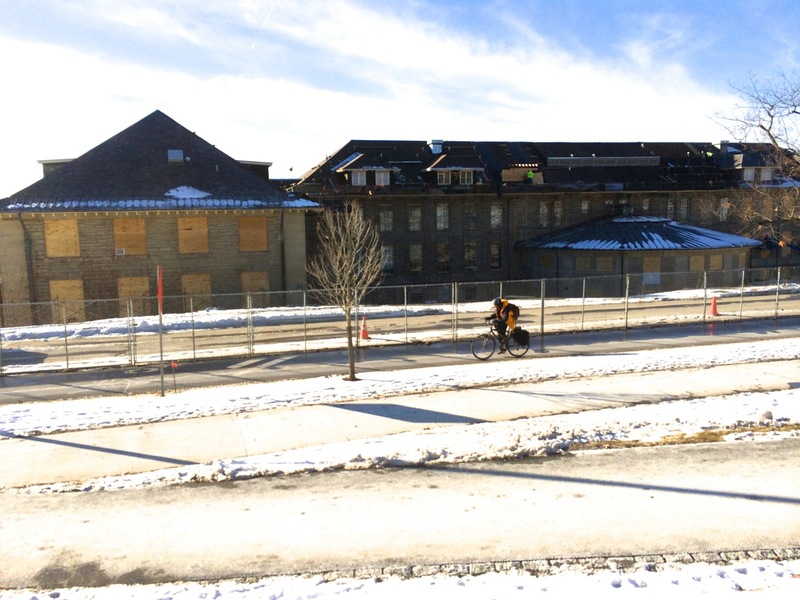 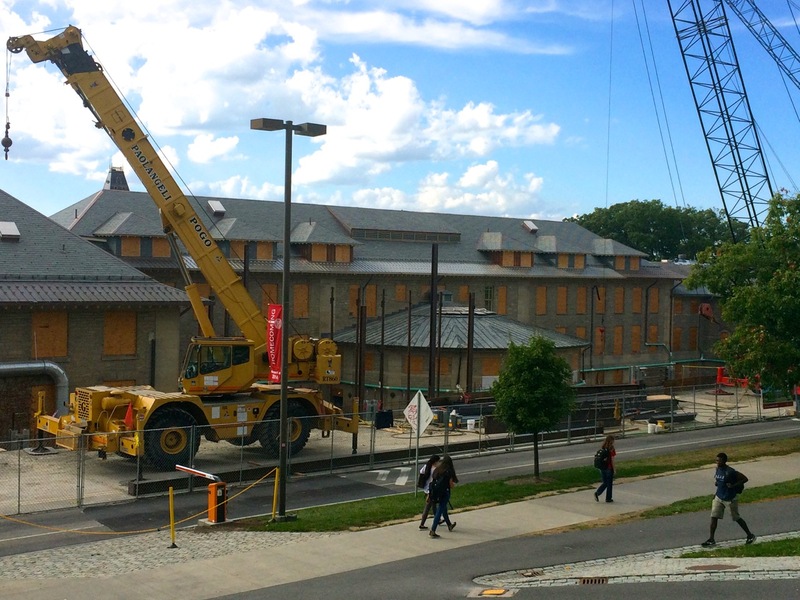 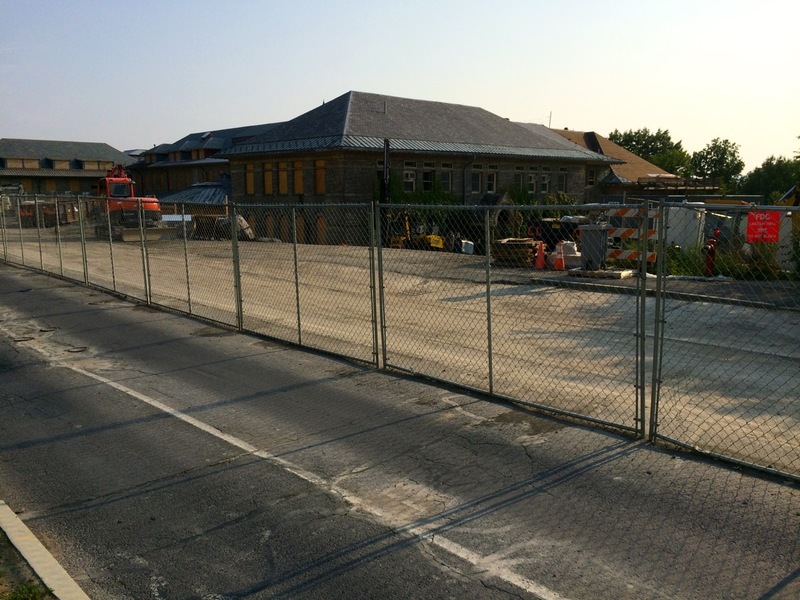 Goldwin Smith Hall’s windows are completely boarded-up on the east sides facing East Ave, which has been closed to vehicular traffic minus bikes and busses starting a couple weeks ago. 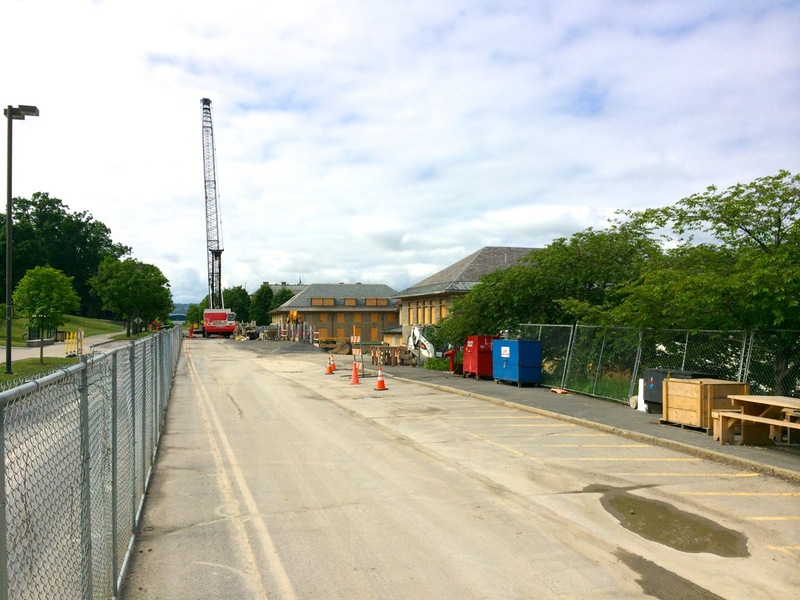 Construction fencing has been bumped-out into the western lane, and temporary lights have been installed to manage the traffic flow across the one lane. 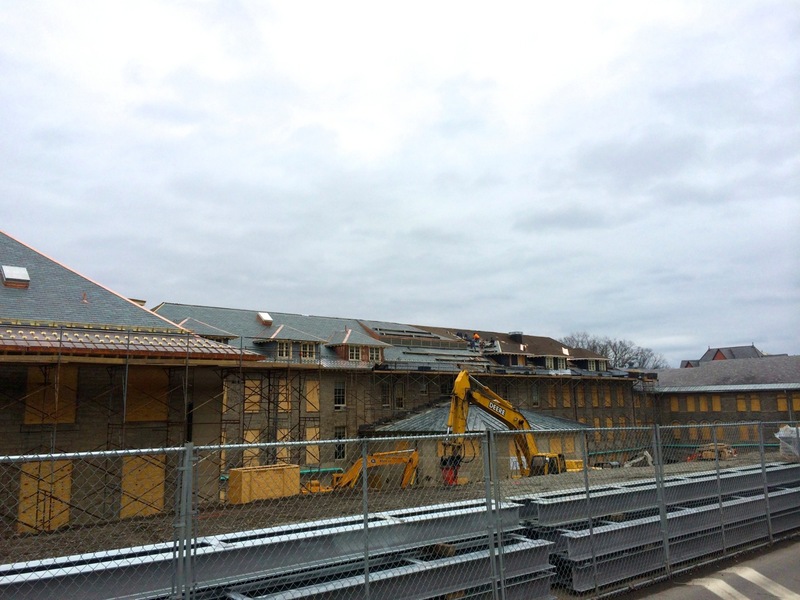 Roofing work on Goldwin as part of the enabling project is still progressing, but once that’s complete, we should see some further excavation work towards the very edge of East Ave, in order to install the retaining wall for the the eastern side of Klarman Hall that will be below ground level. 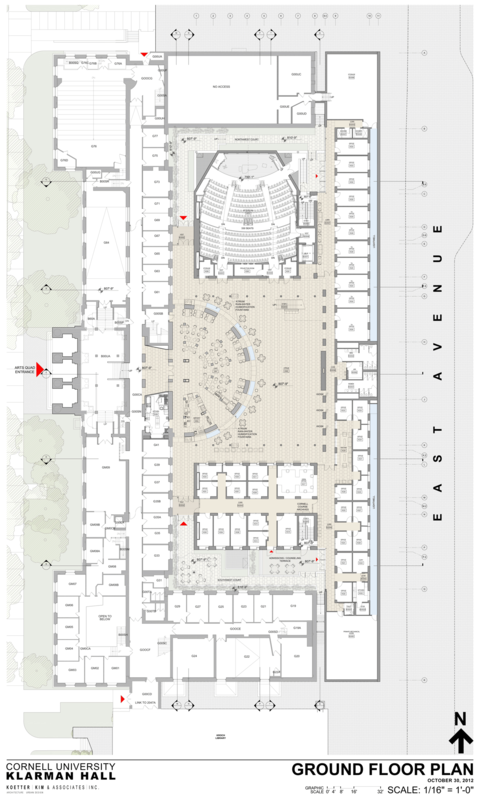 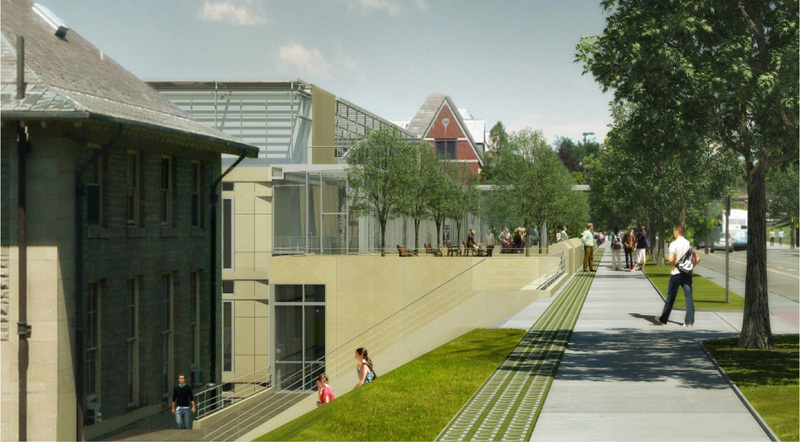 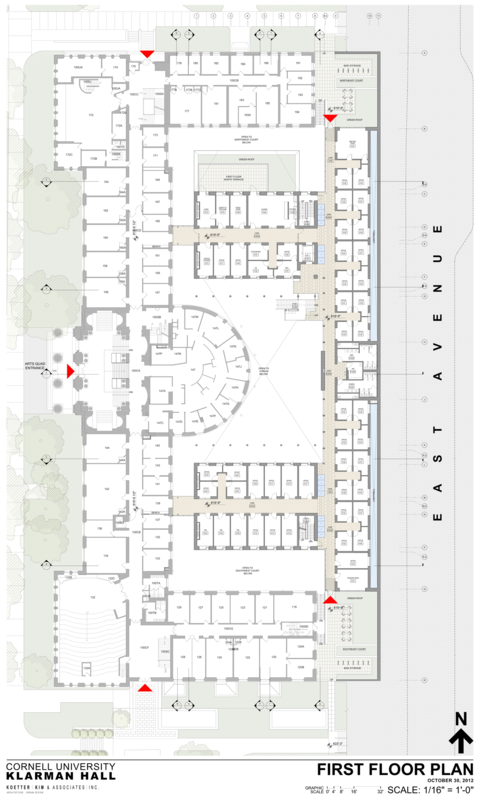 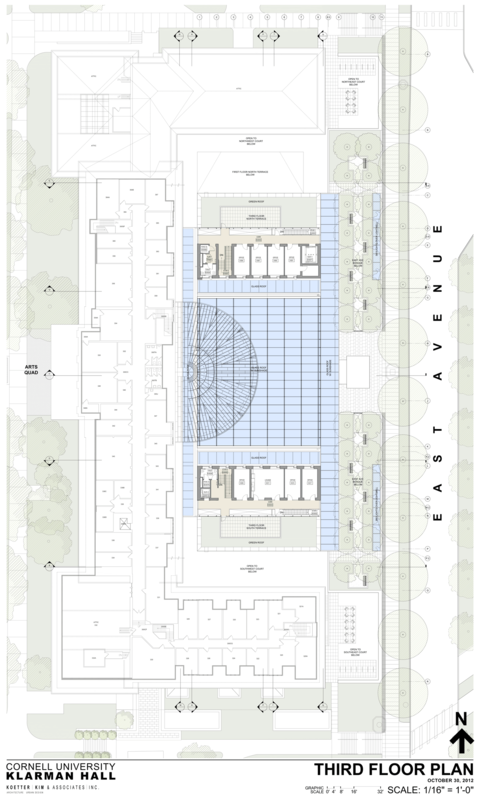 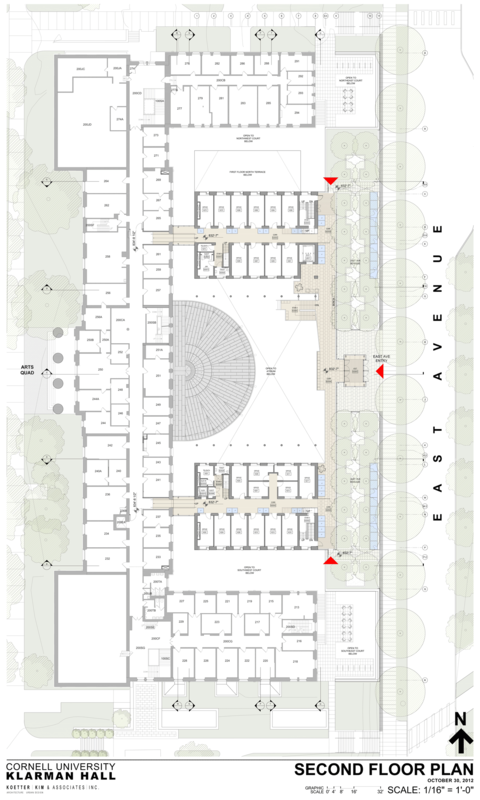 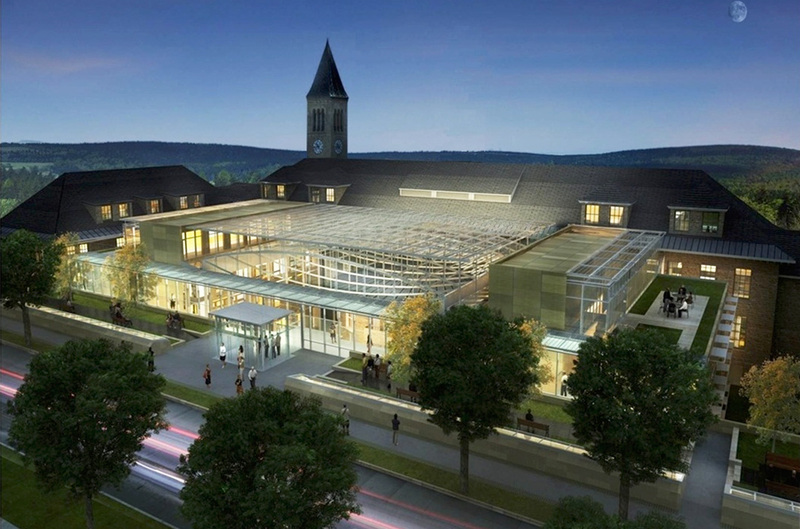 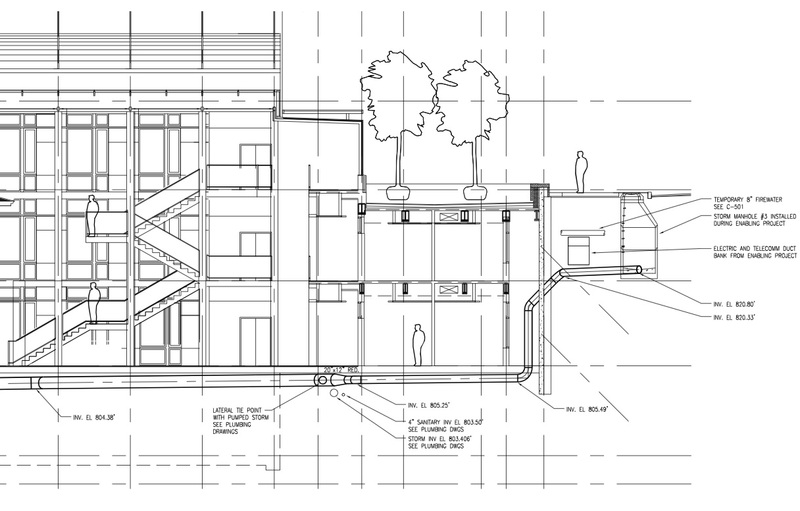 Cornell has setup a project page here with newly released floor plans, an FAQ section, and some additional information. 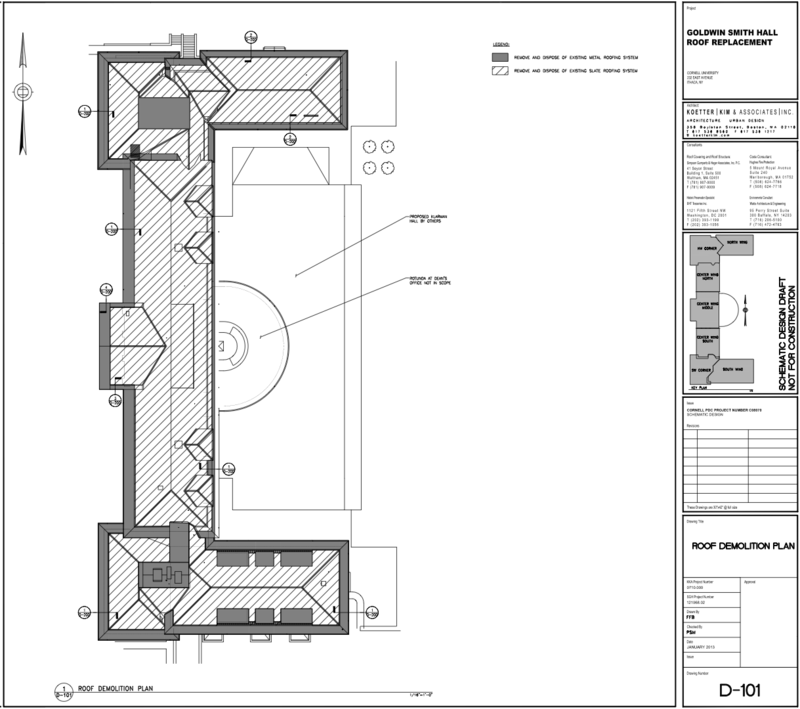 Floor plan images posted below.